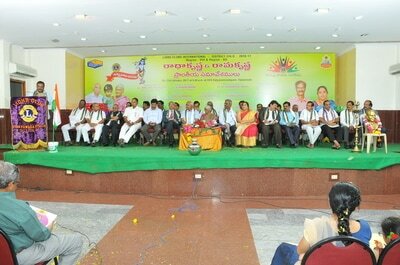 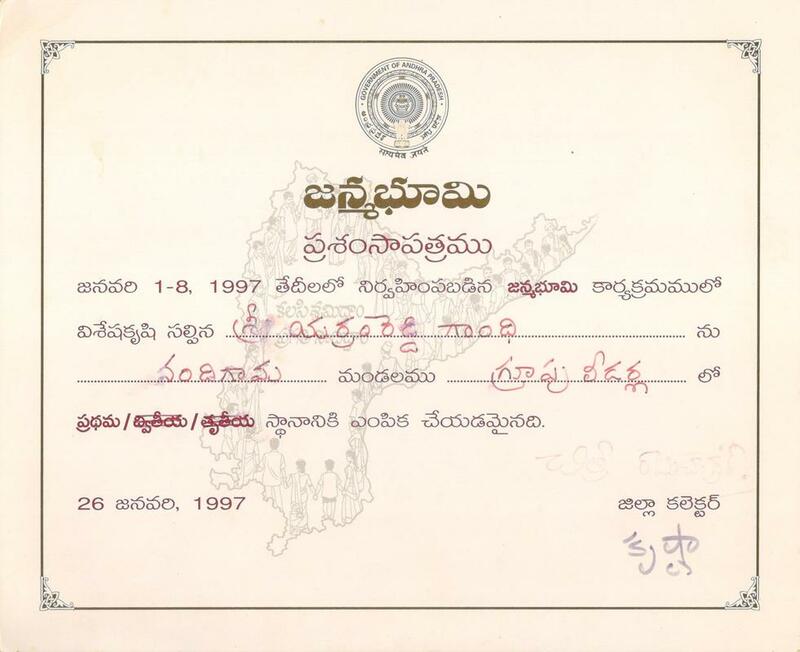 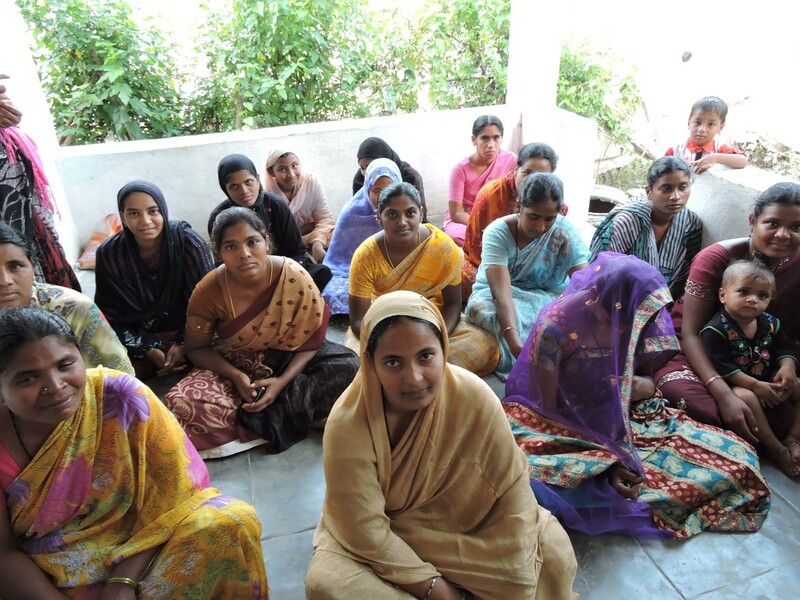 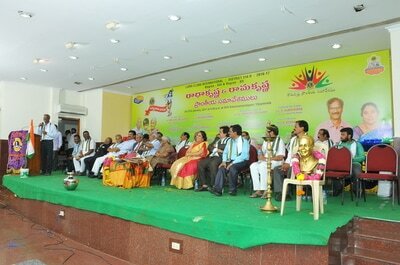 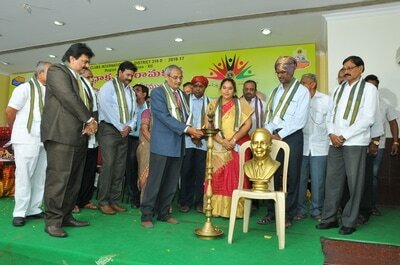 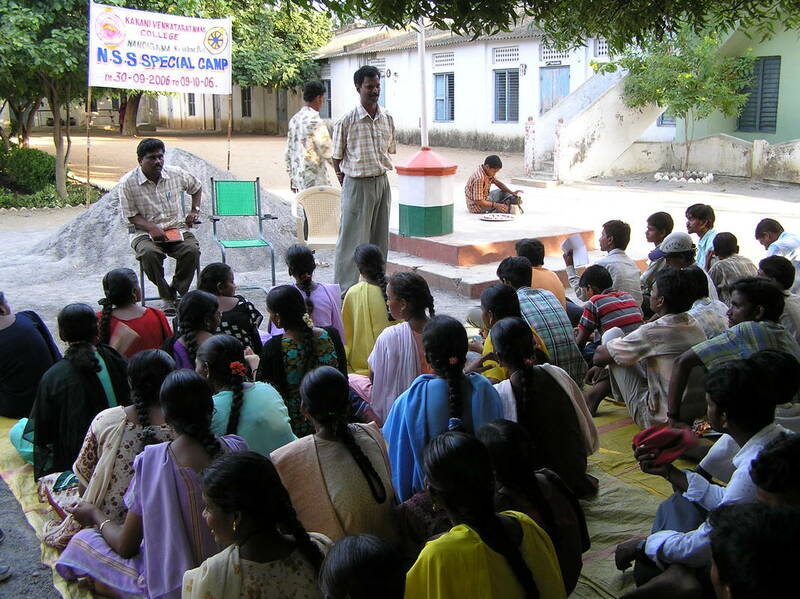 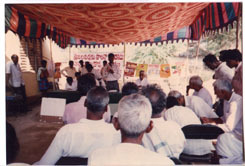 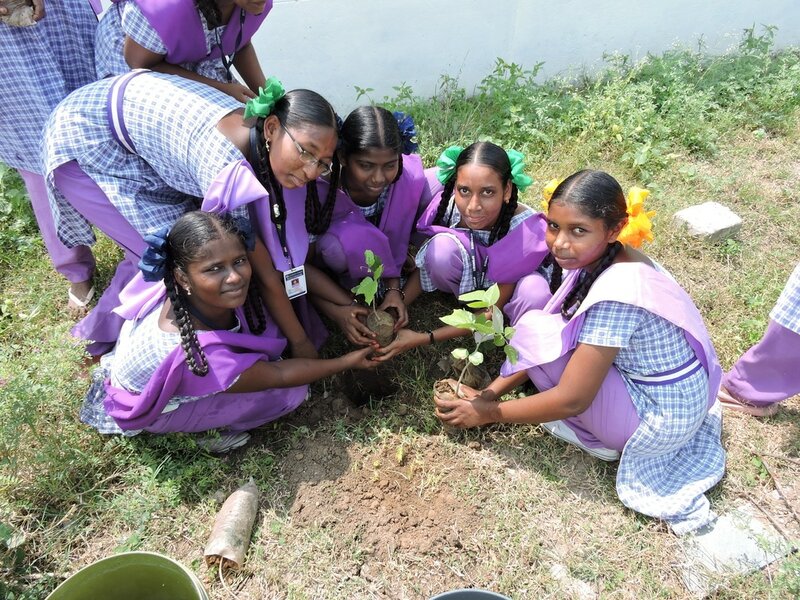 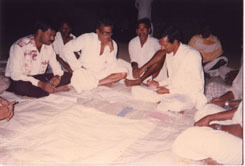 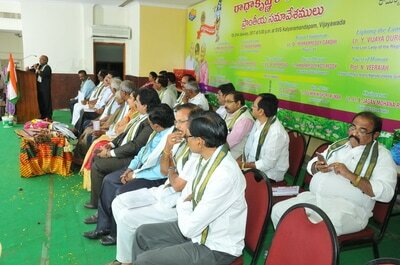 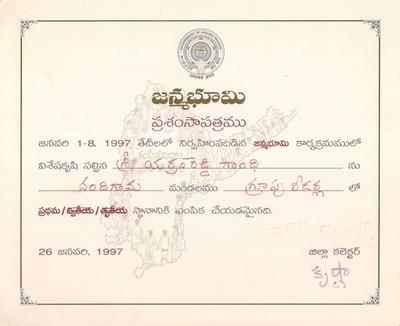 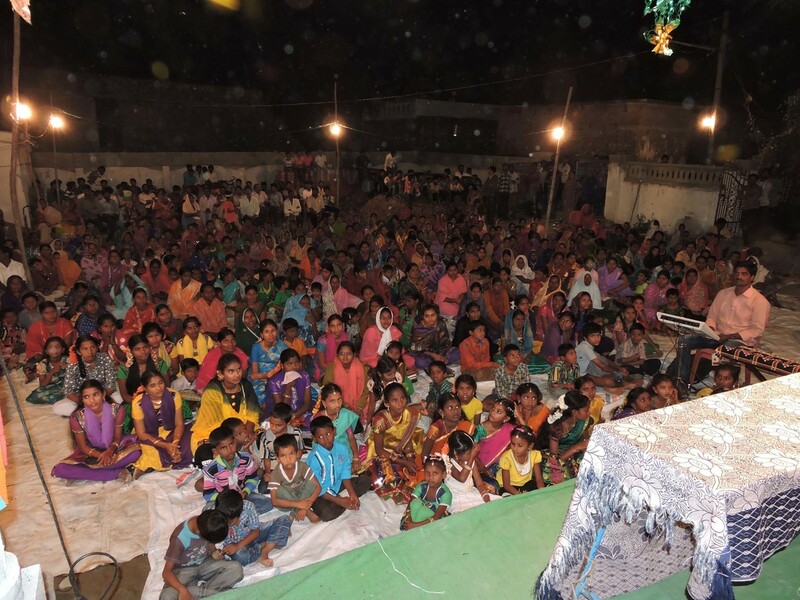 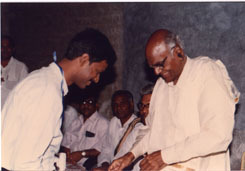 Government of Andhra Pradesh launched Janmabhoomi programme in 1997. 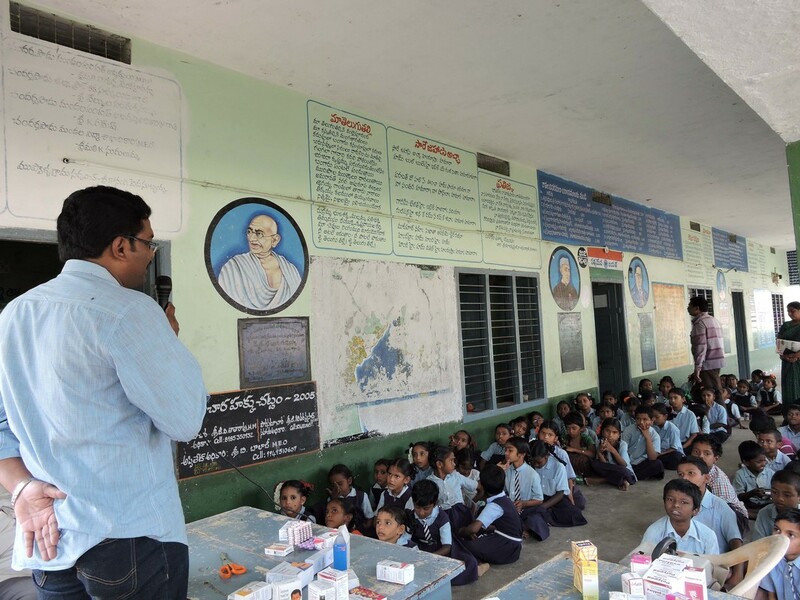 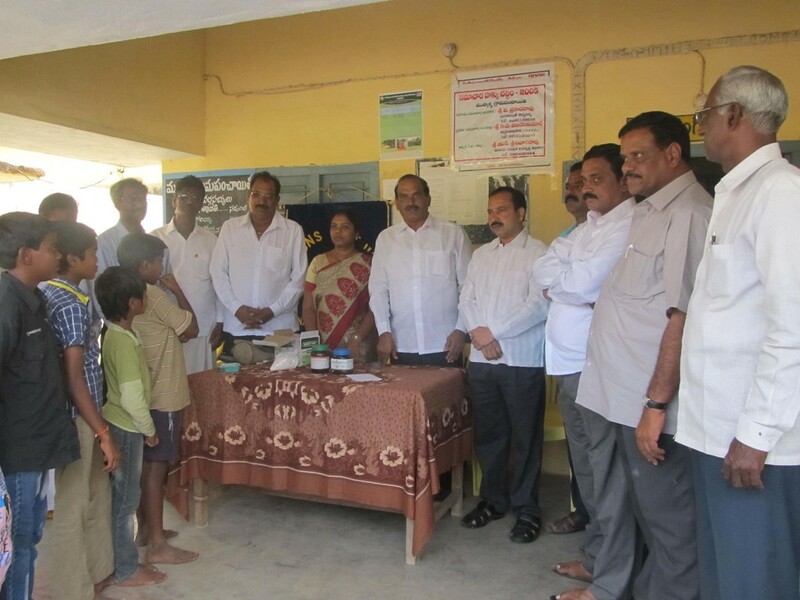 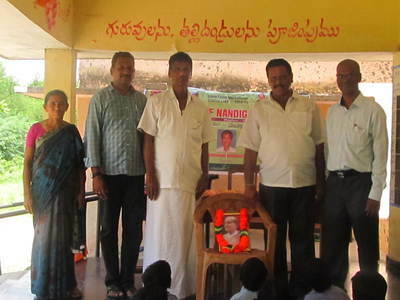 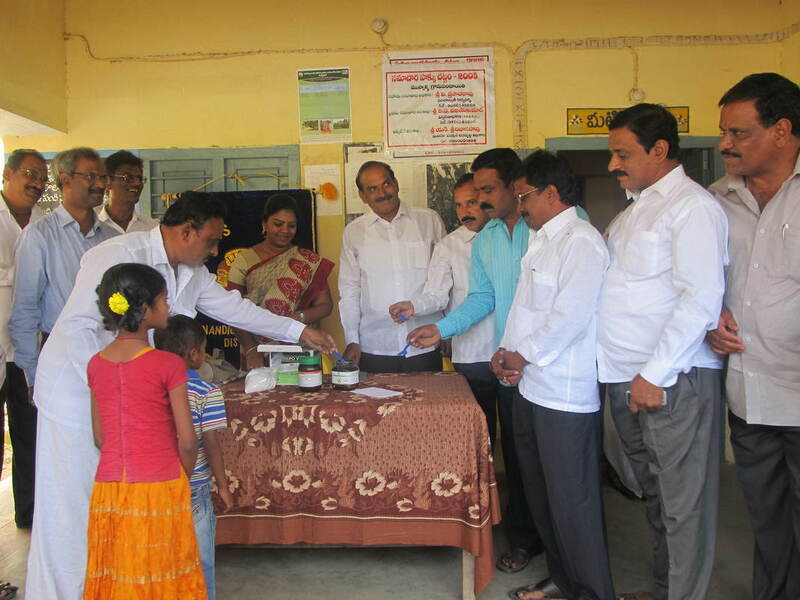 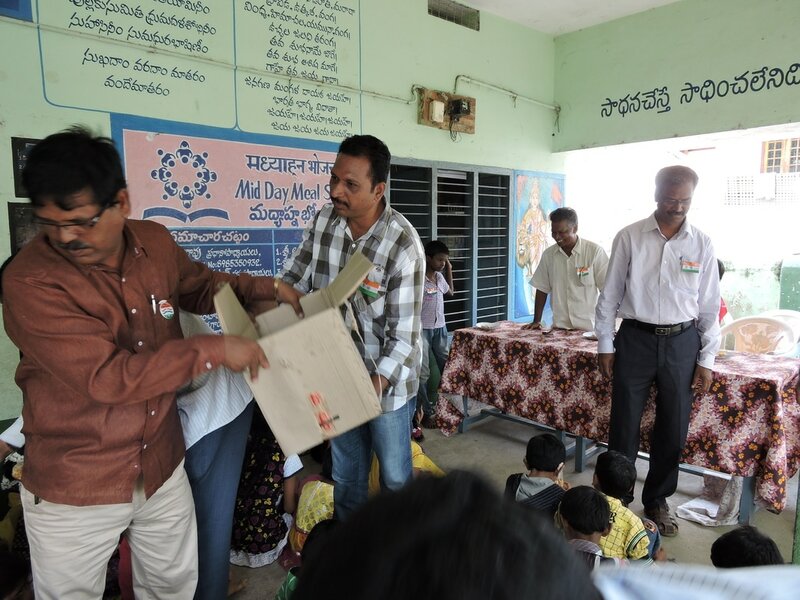 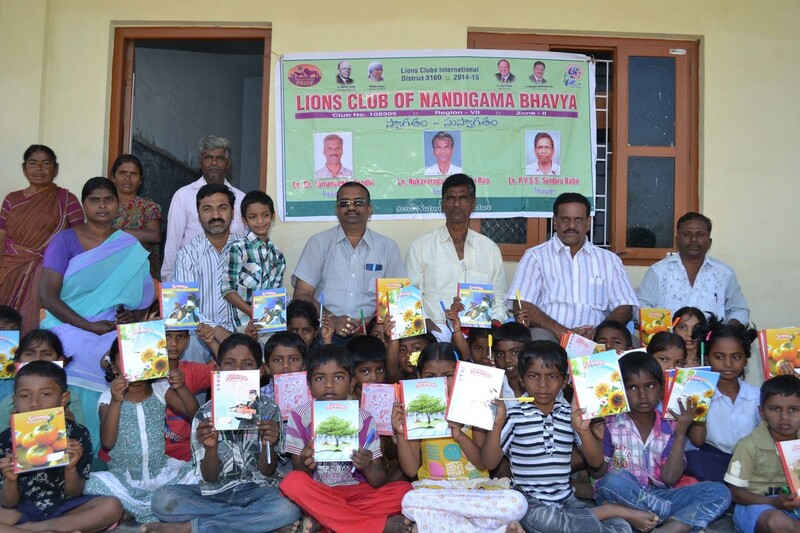 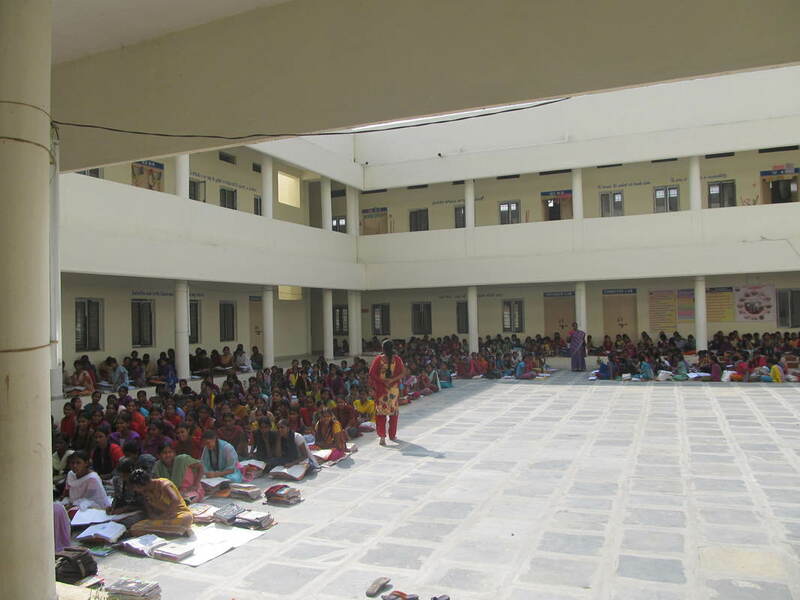 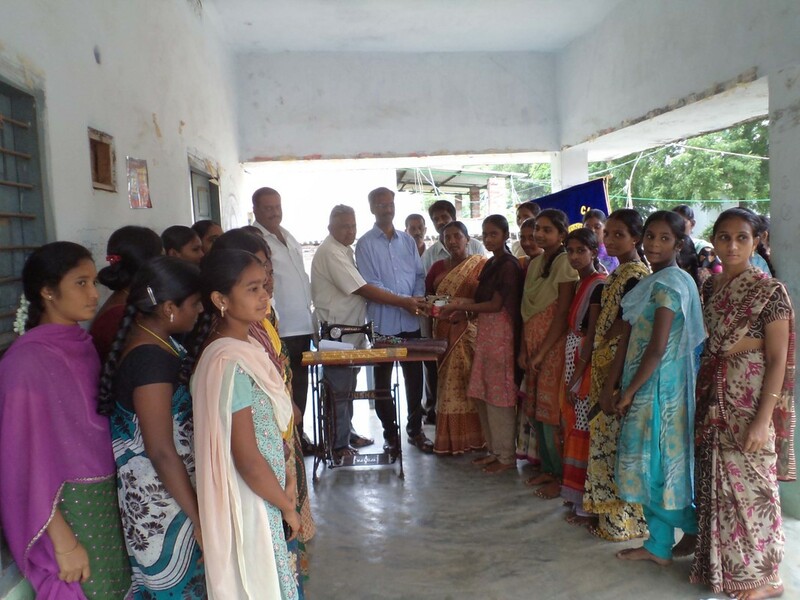 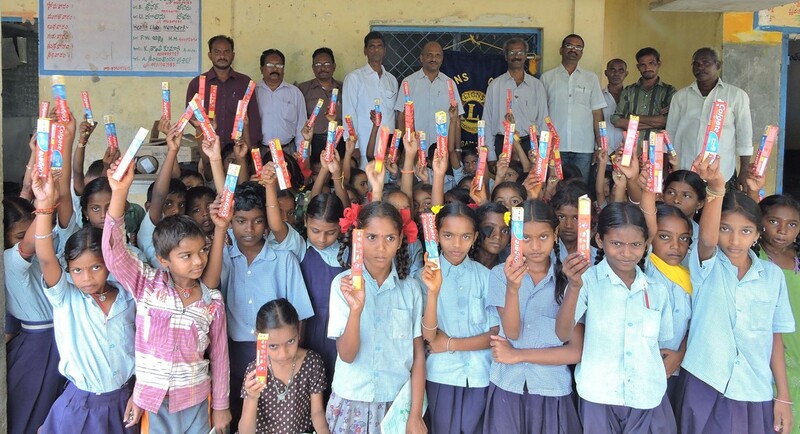 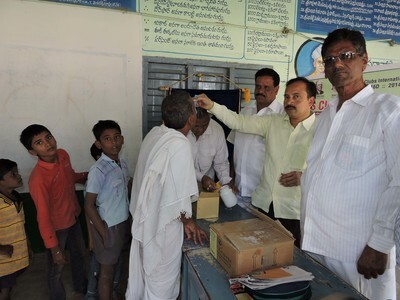 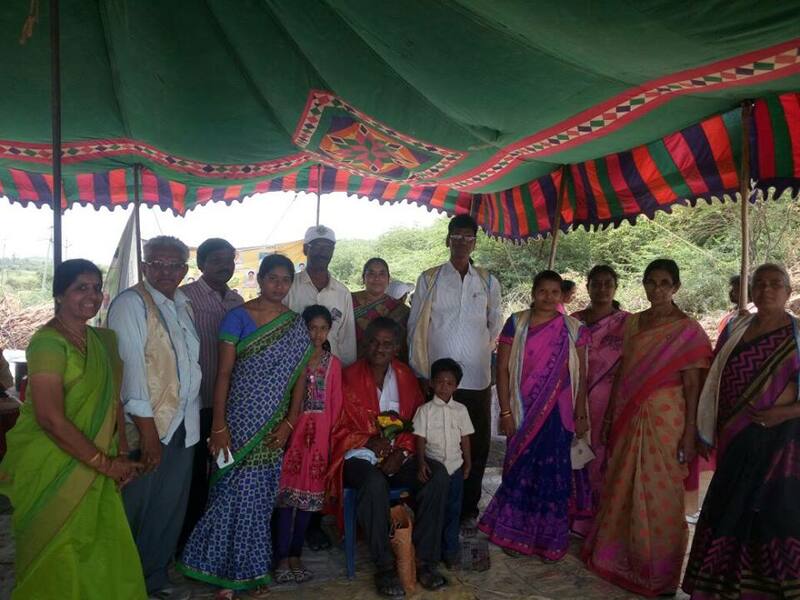 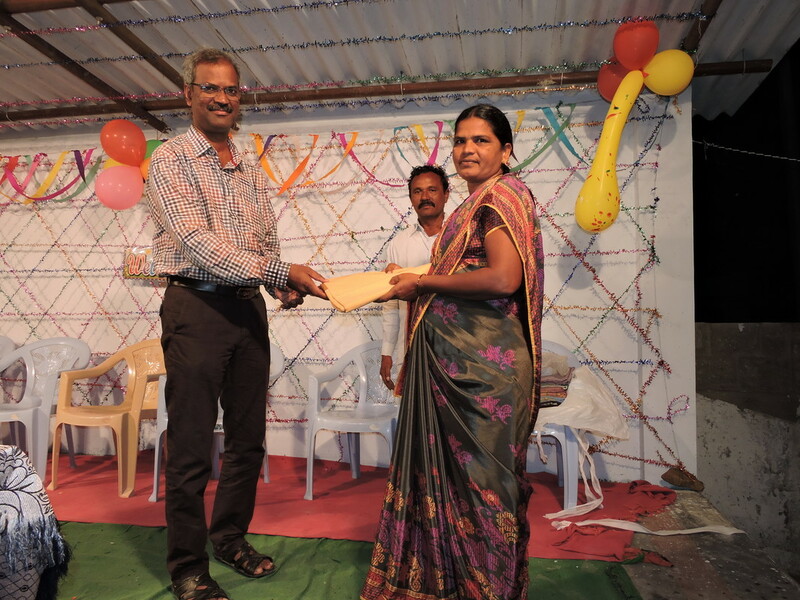 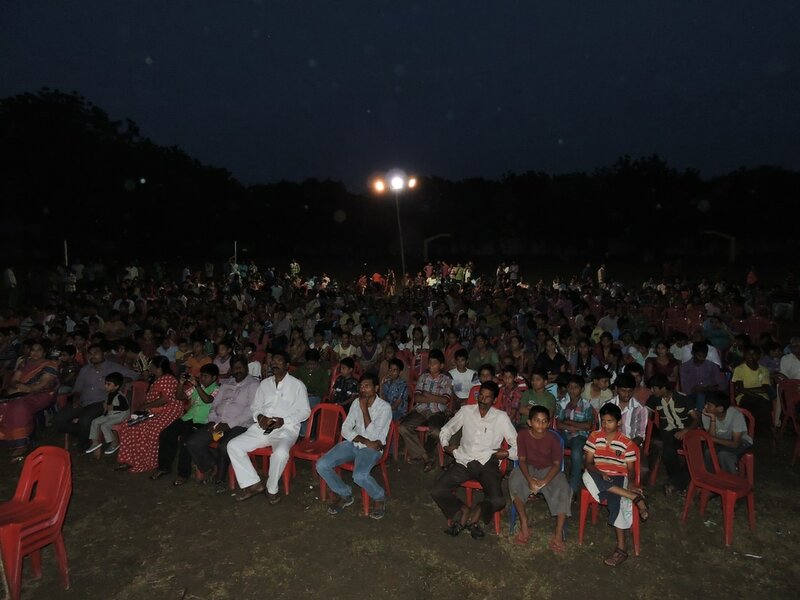 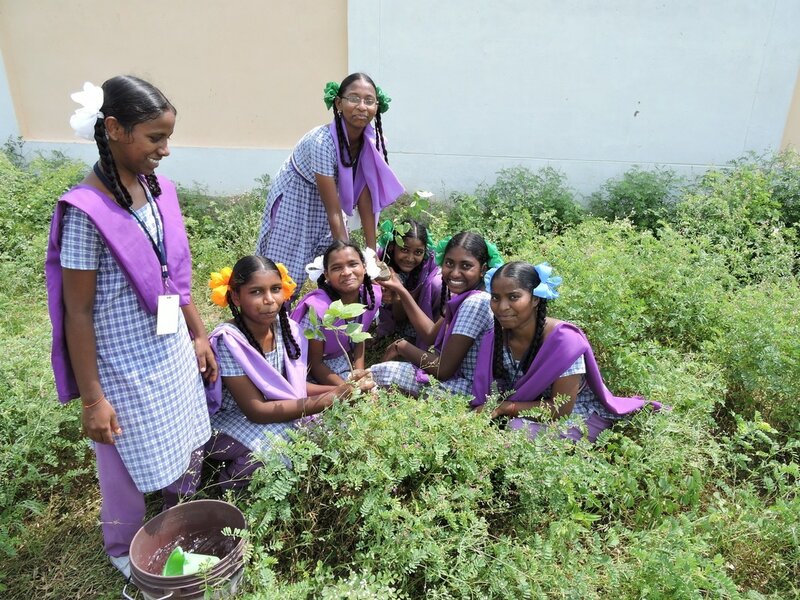 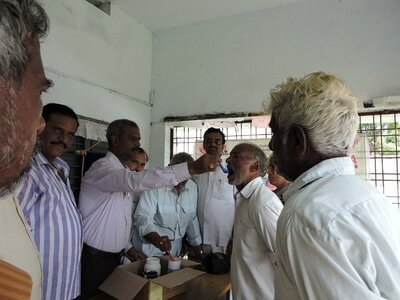 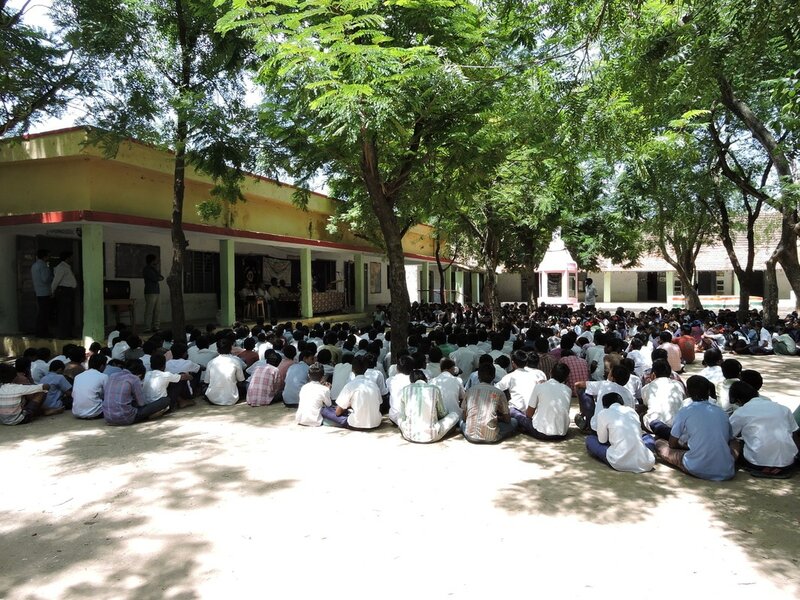 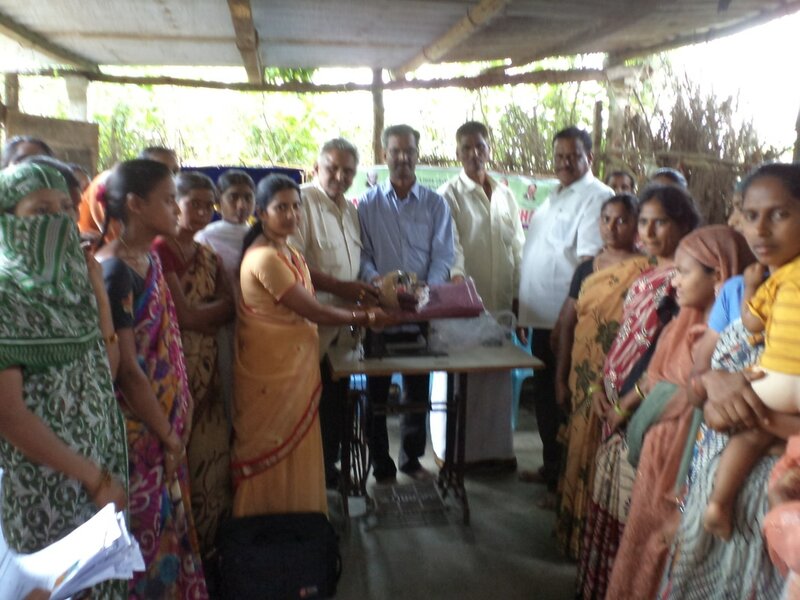 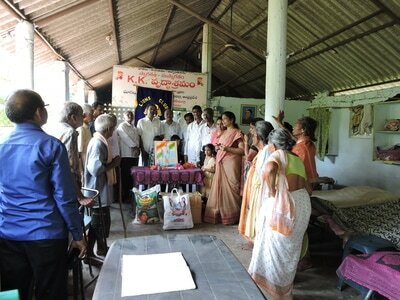 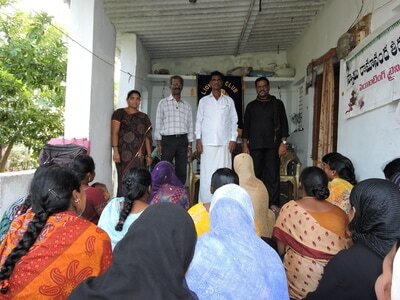 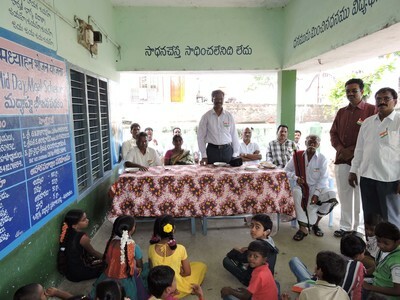 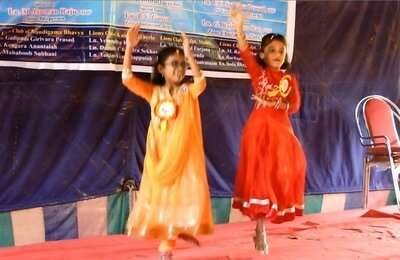 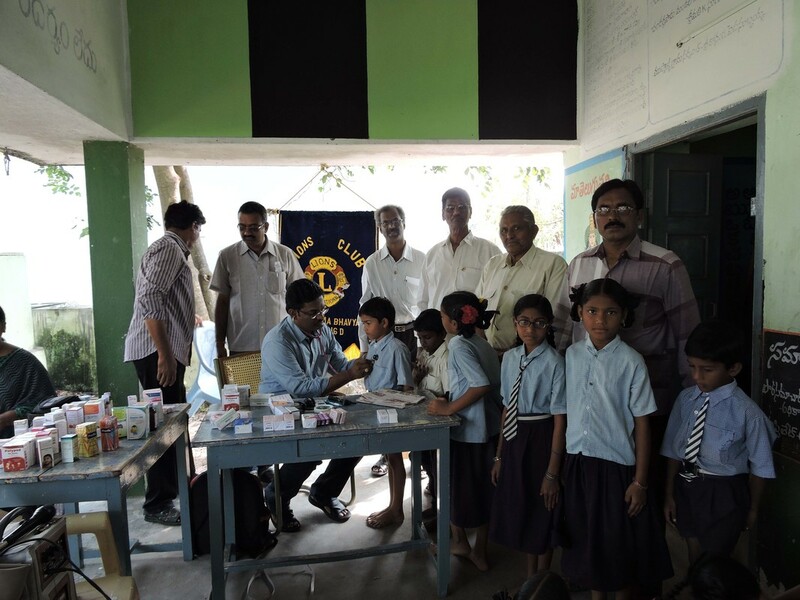 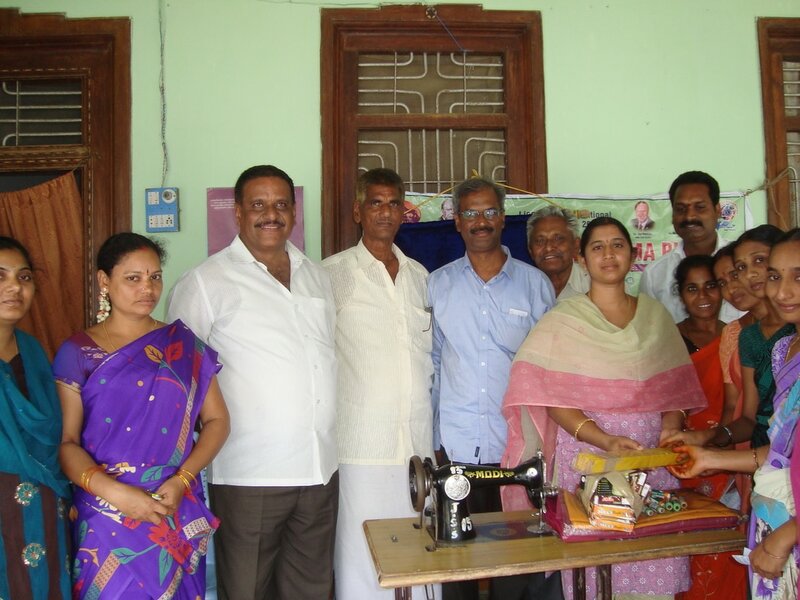 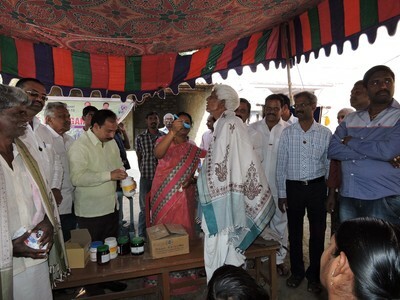 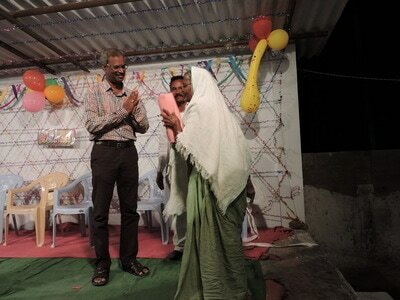 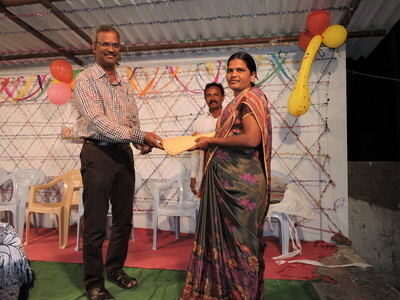 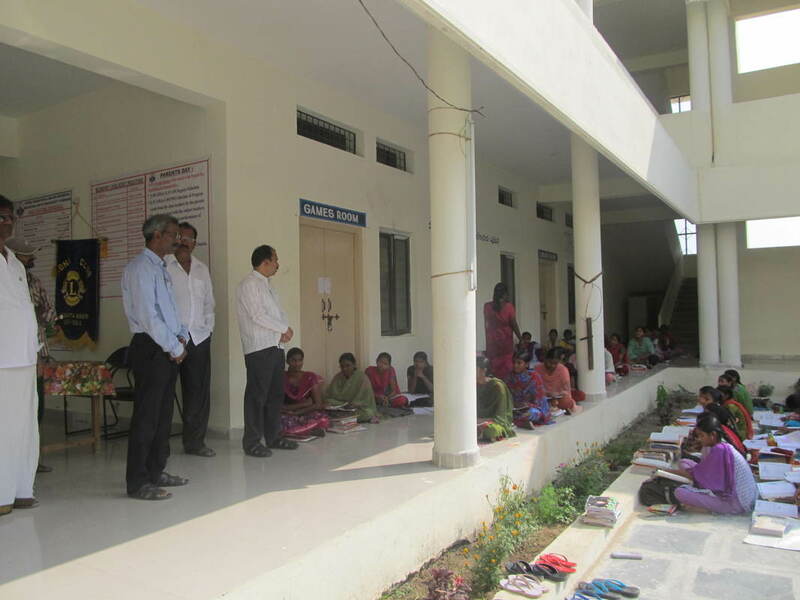 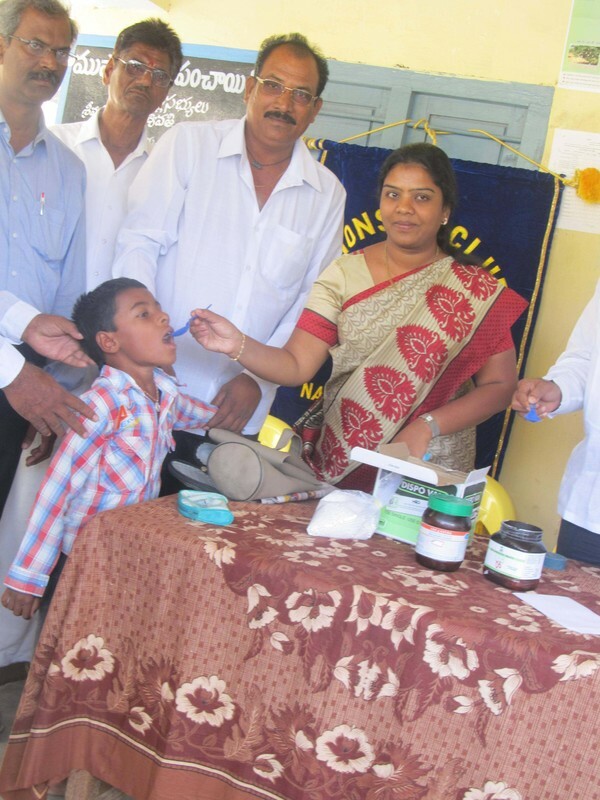 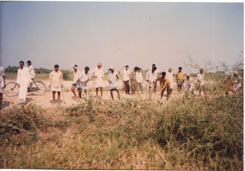 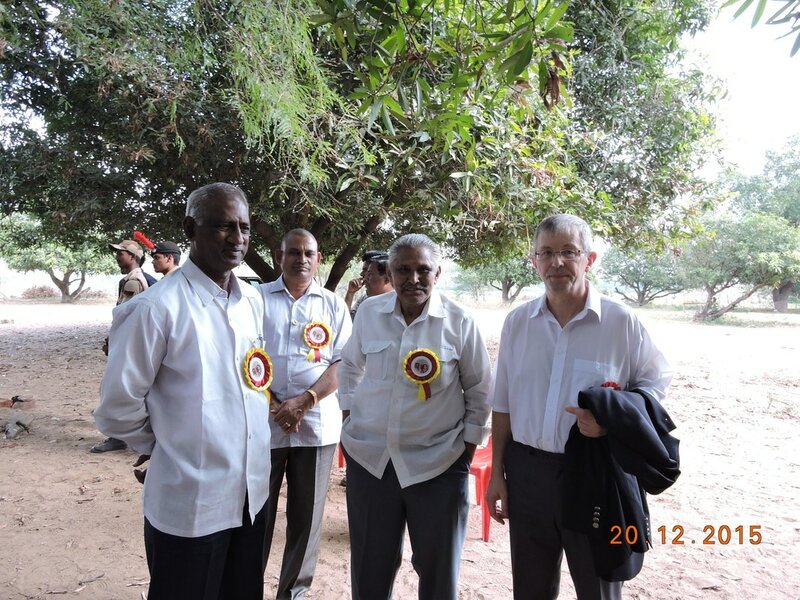 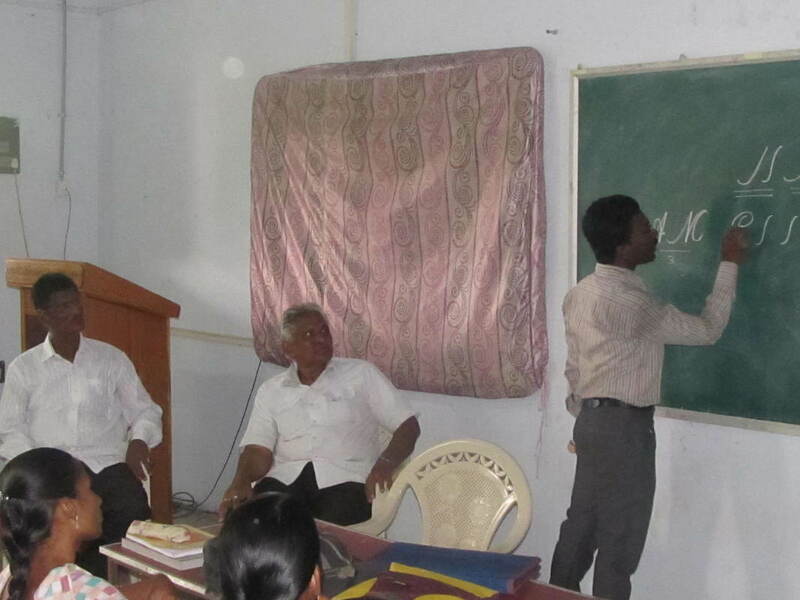 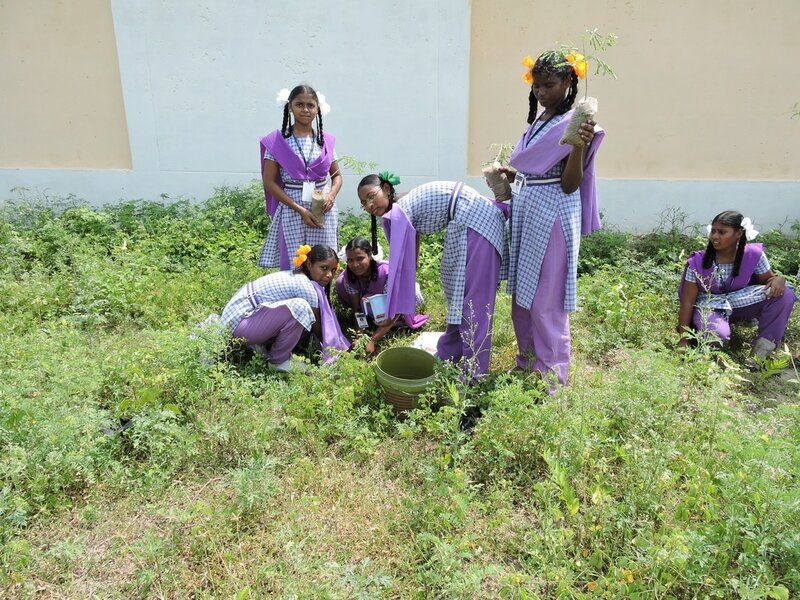 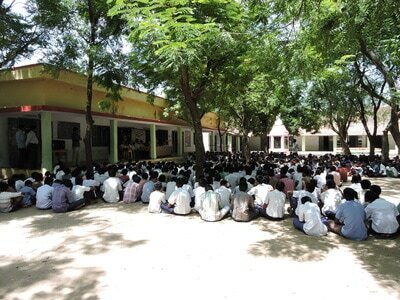 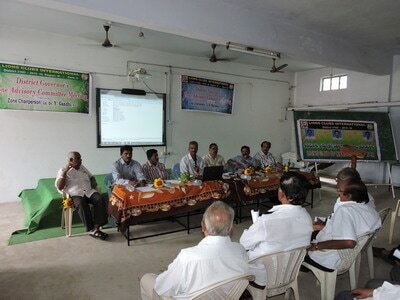 From 1st to 8th January, 1997 along with ten students served at Konatamatmakuru village of Nandigama mandal. 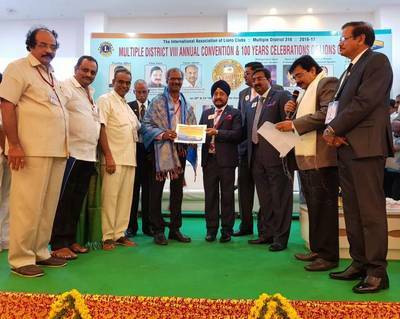 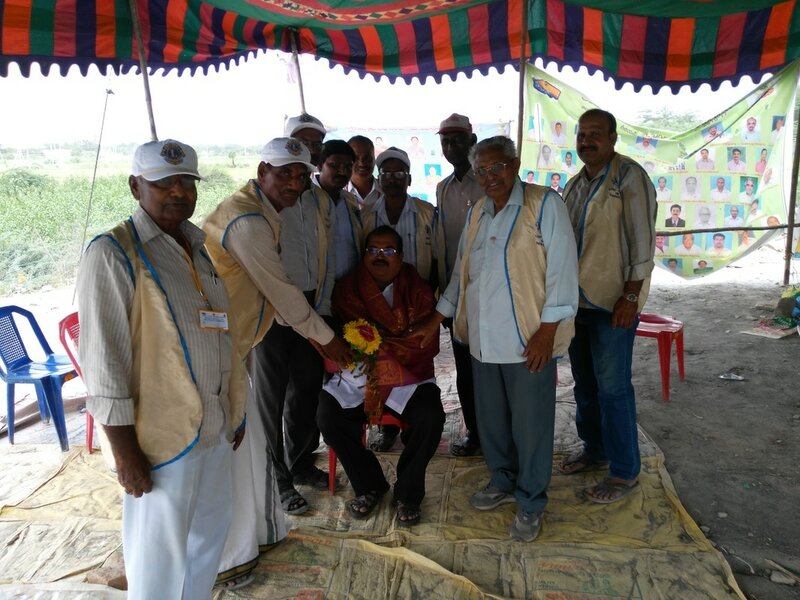 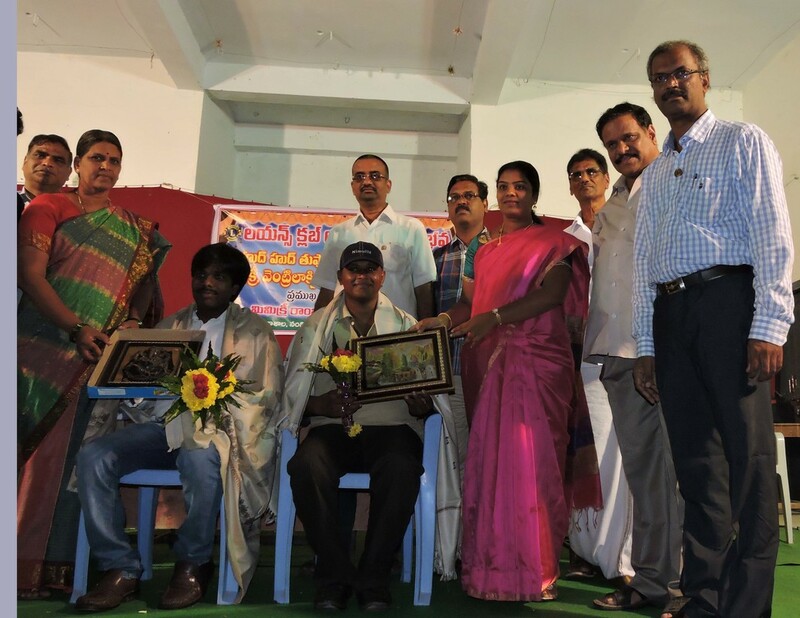 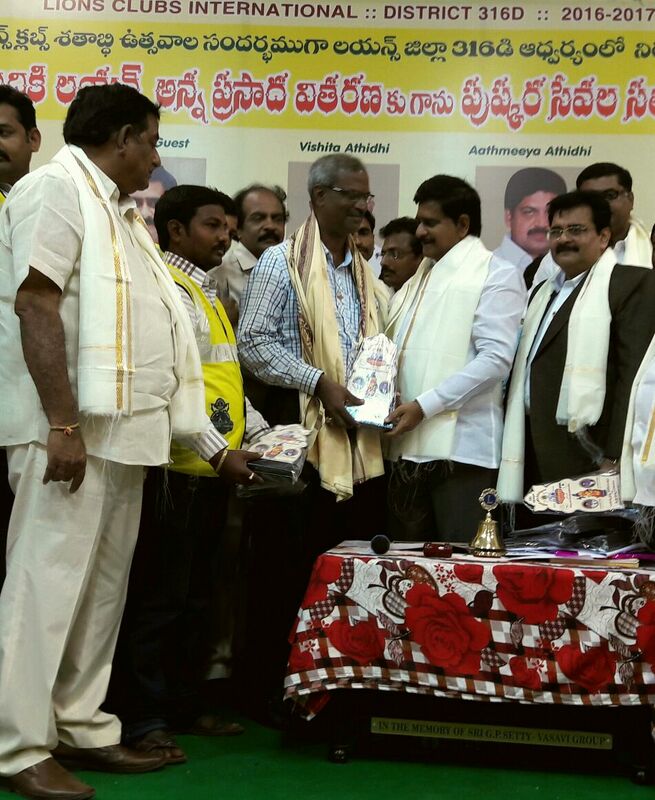 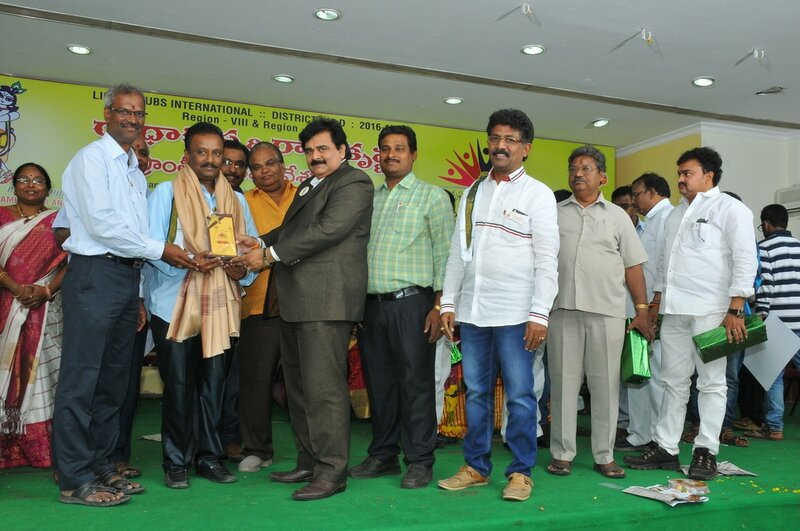 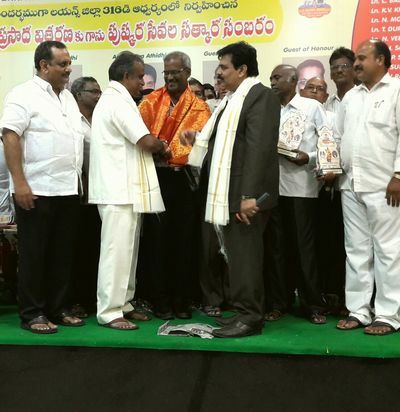 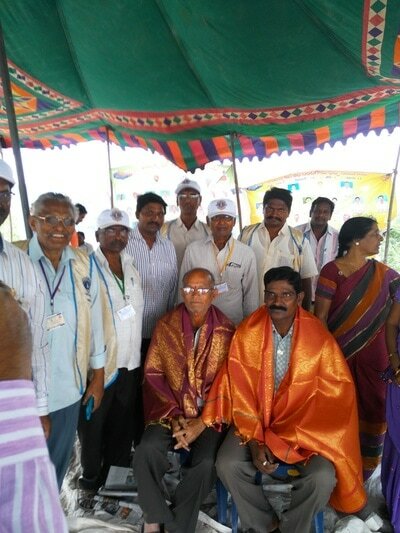 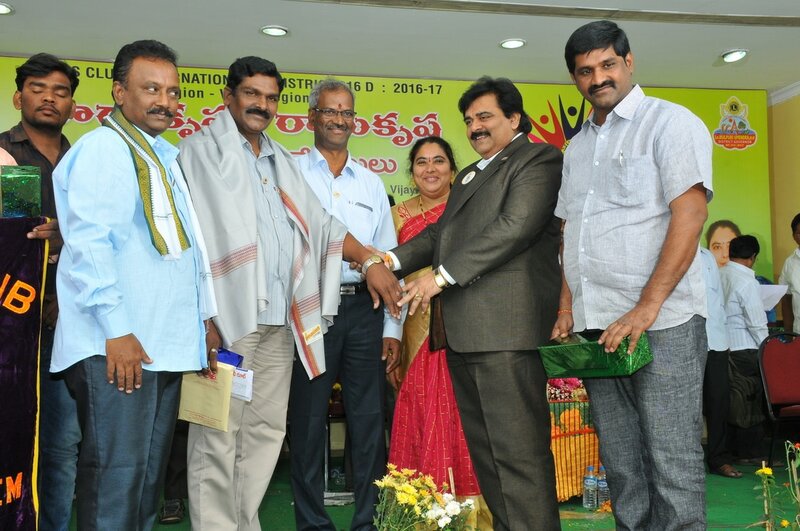 For the 'Srama danam' and 'Micro Level Planning' activities during these eight days received "Gold Medal" as "Best Team Leader" from Government of Andhra Pradesh. 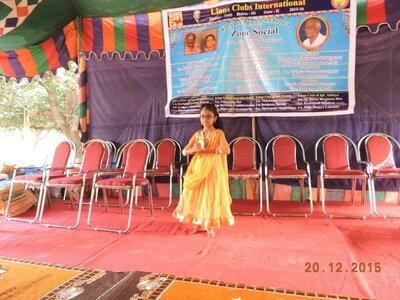 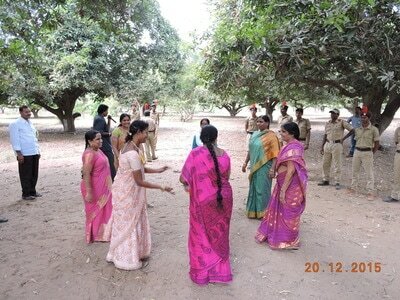 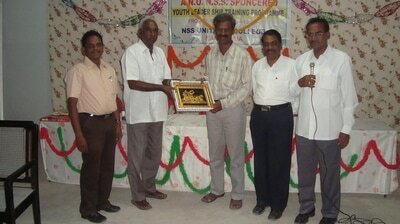 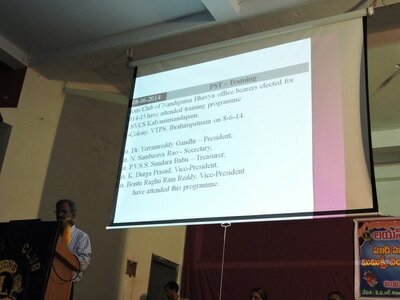 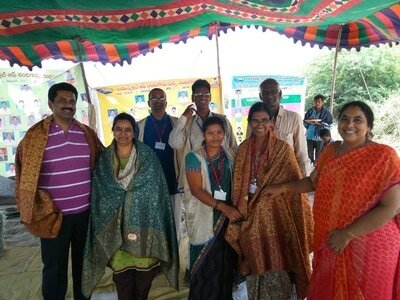 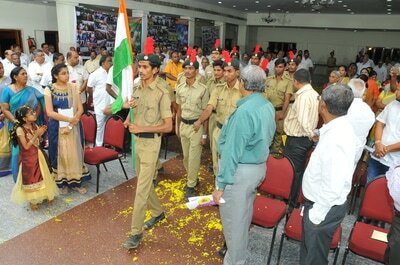 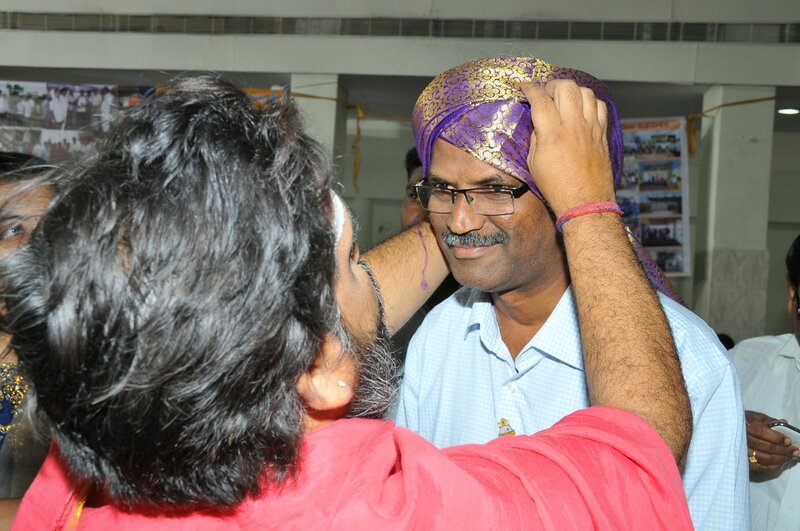 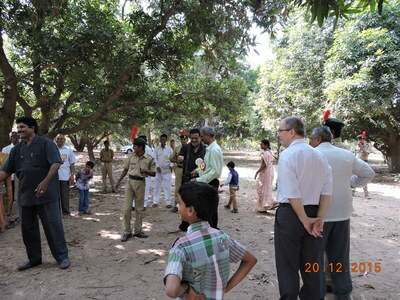 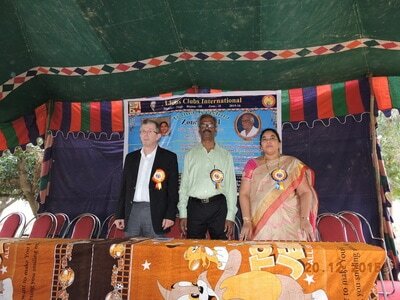 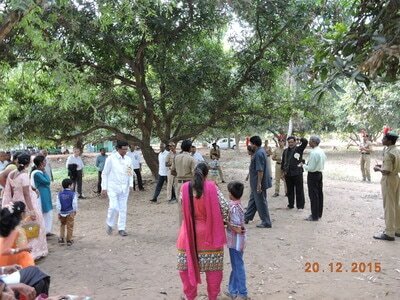 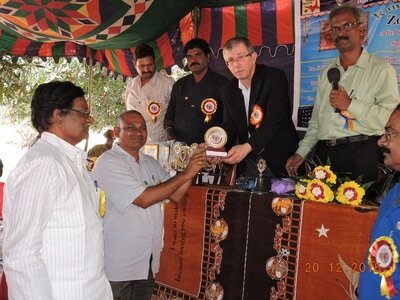 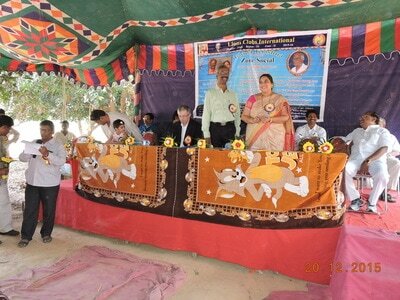 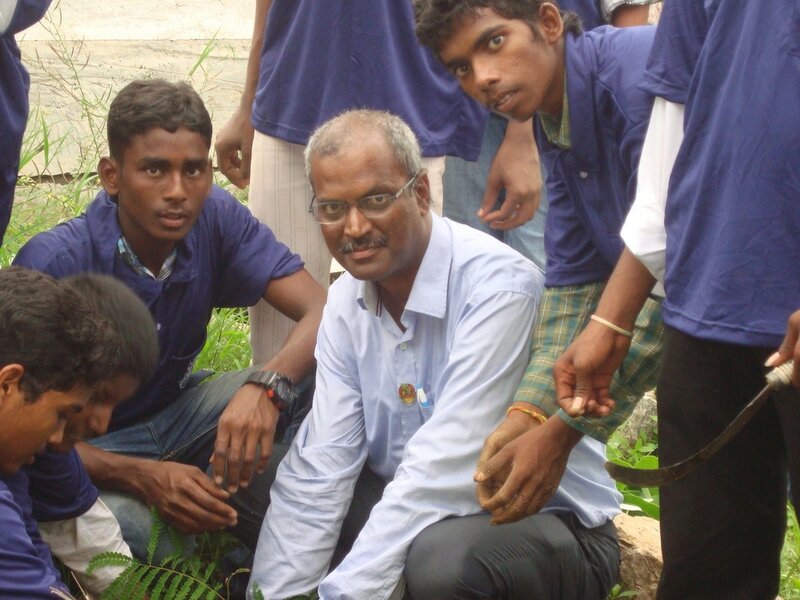 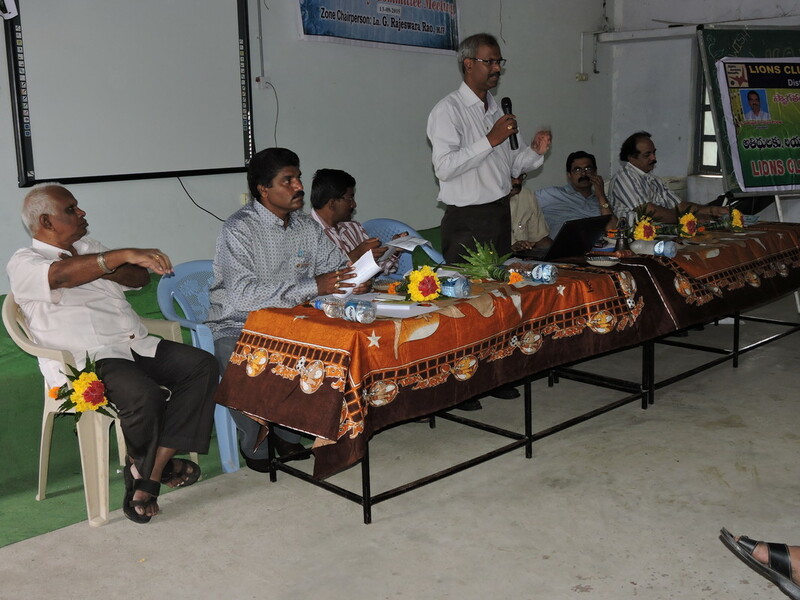 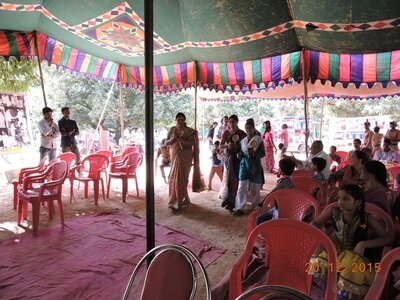 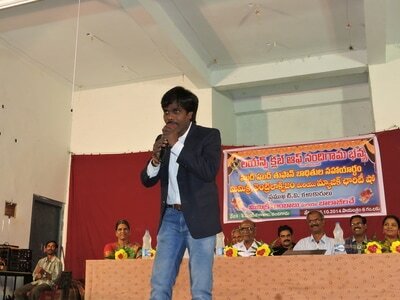 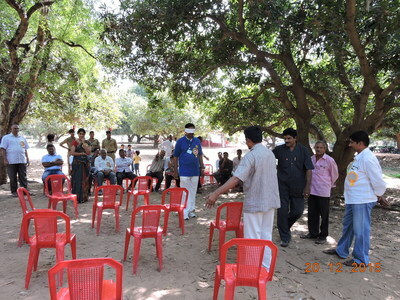 Participated in several NSS camps organized by our college. 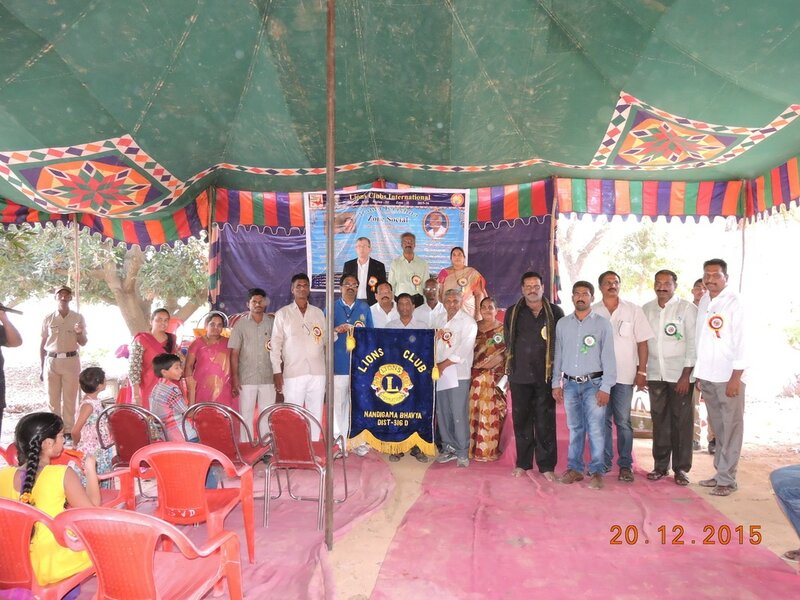 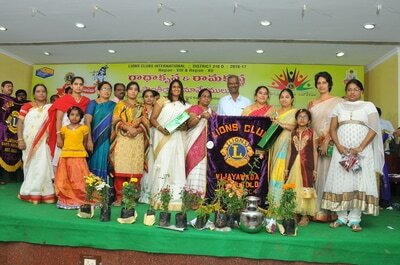 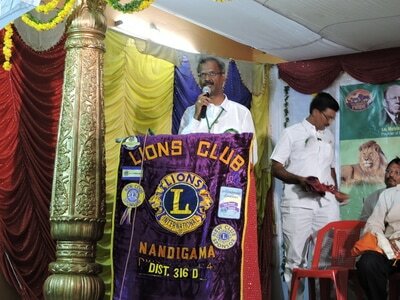 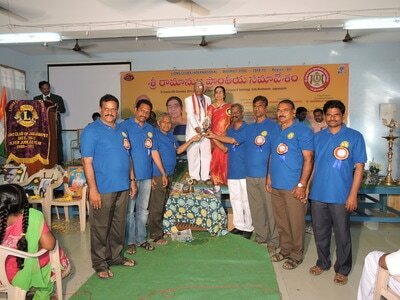 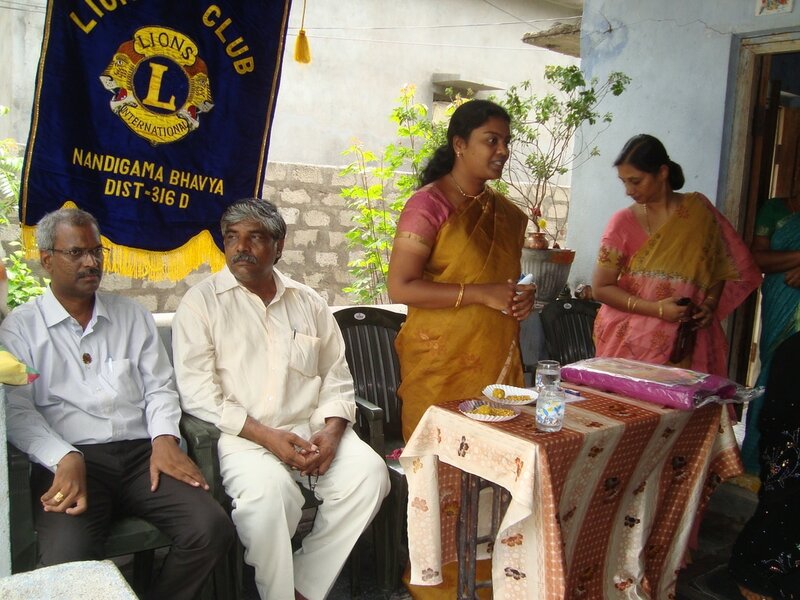 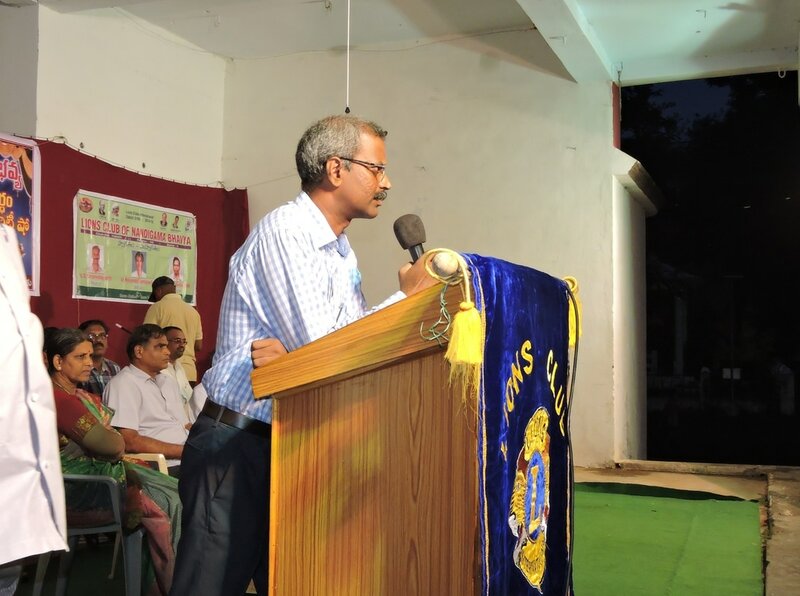 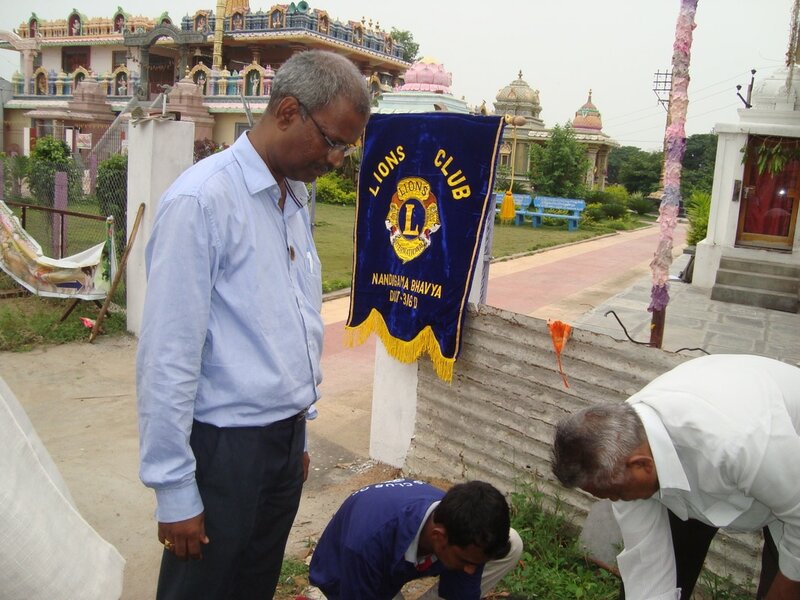 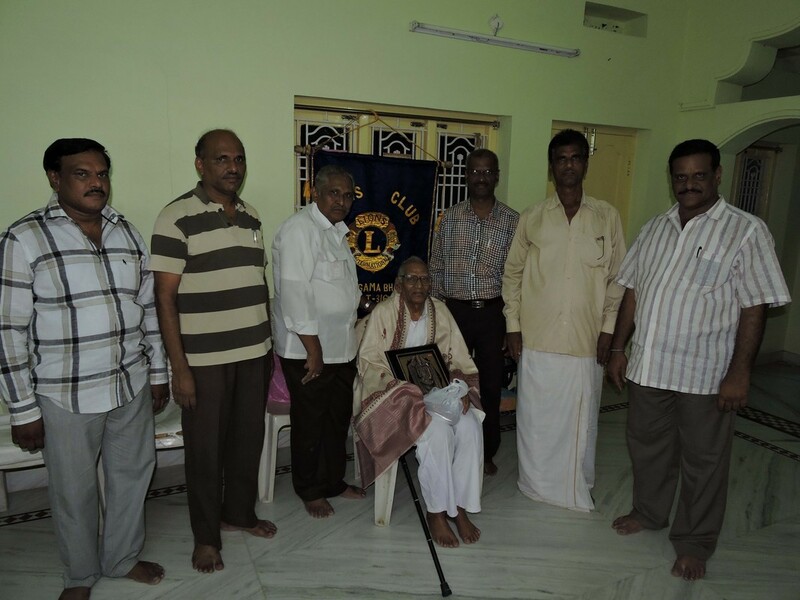 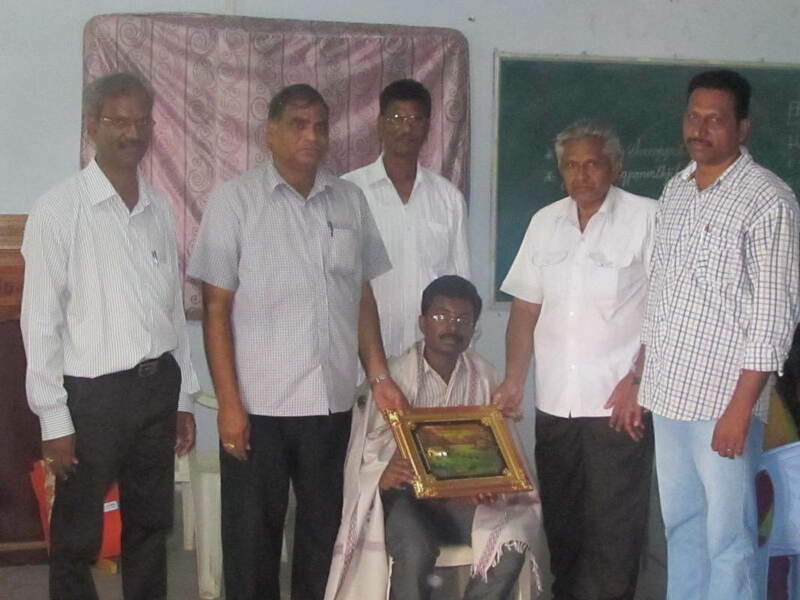 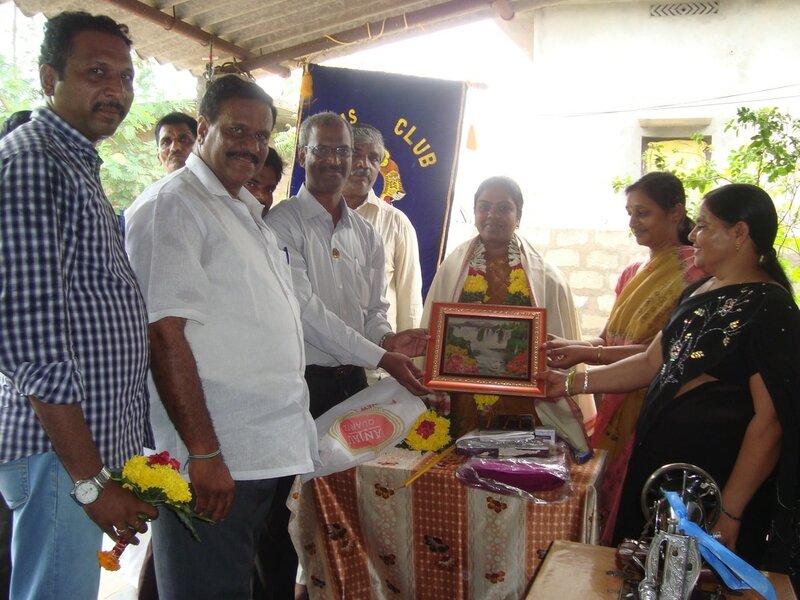 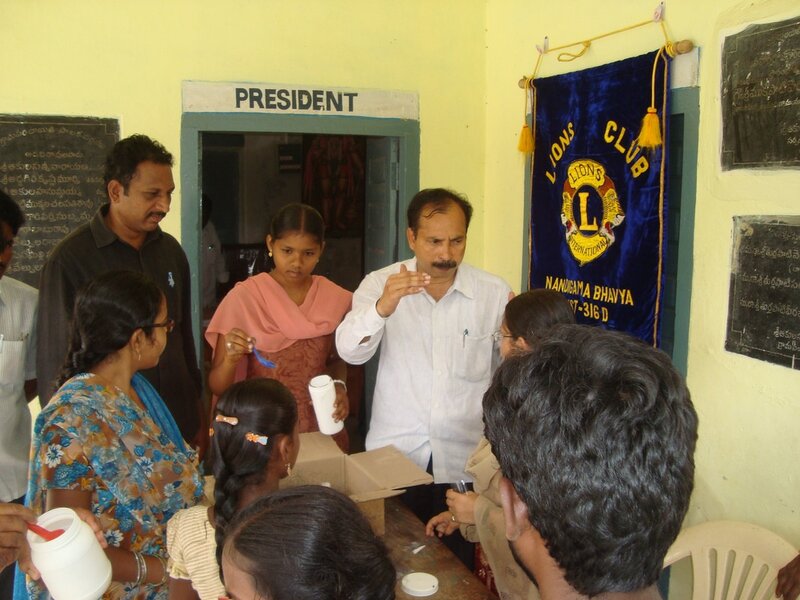 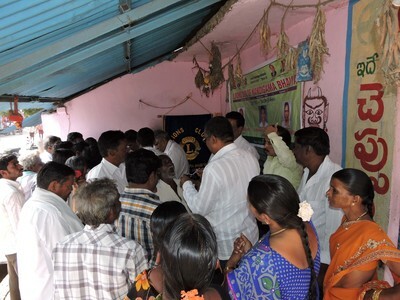 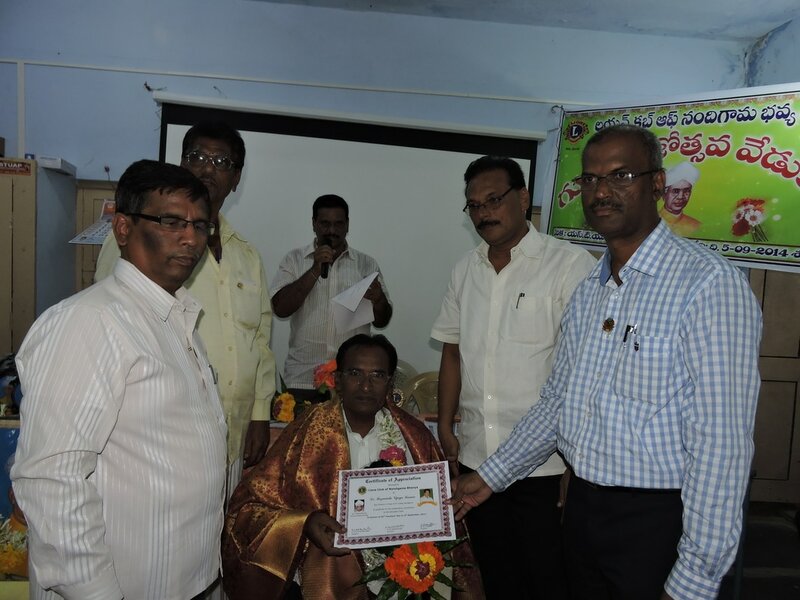 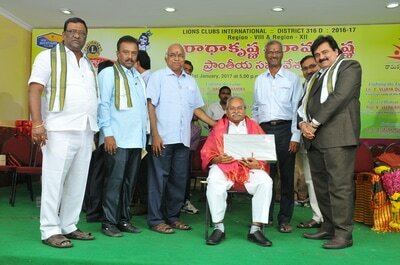 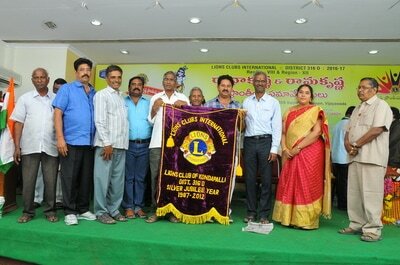 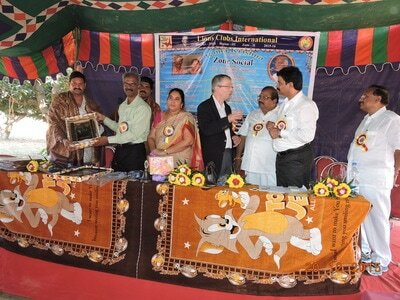 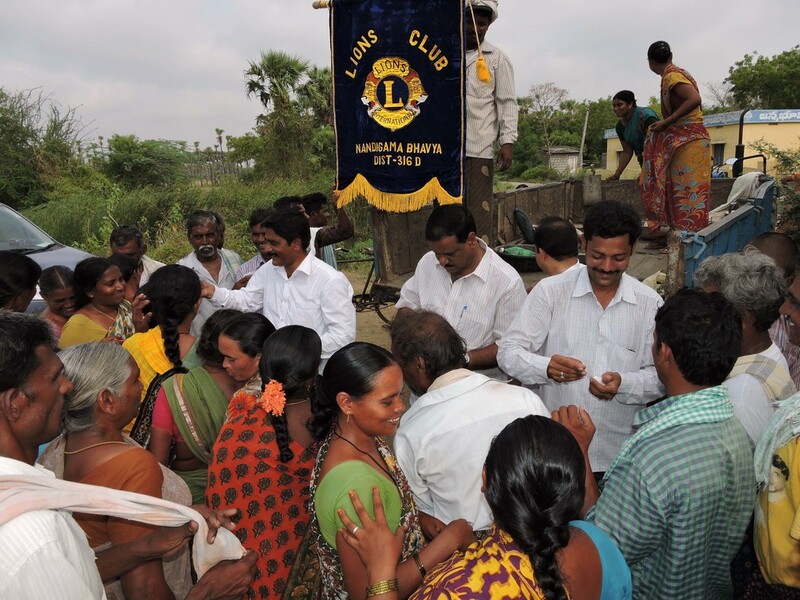 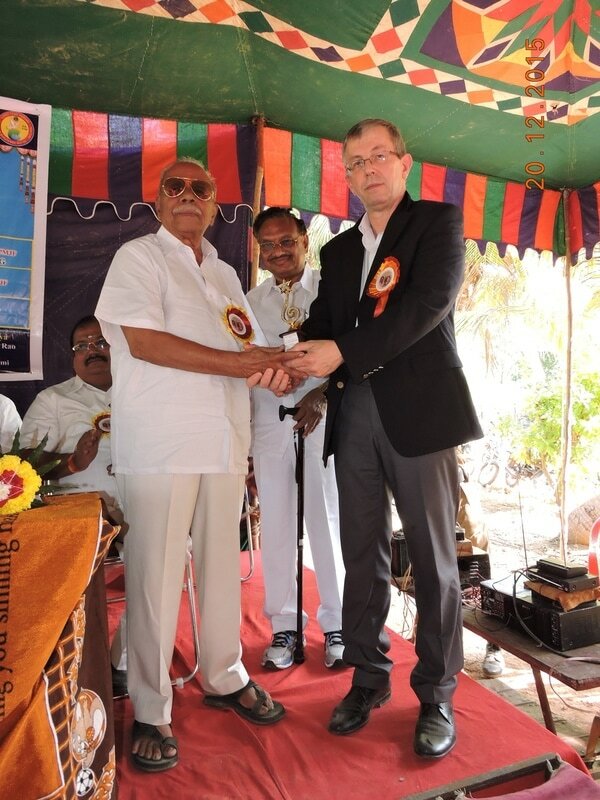 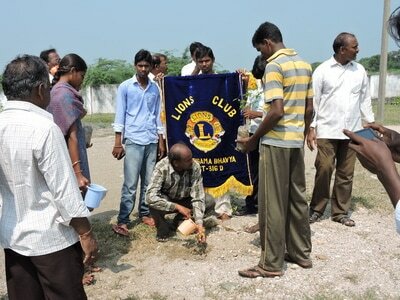 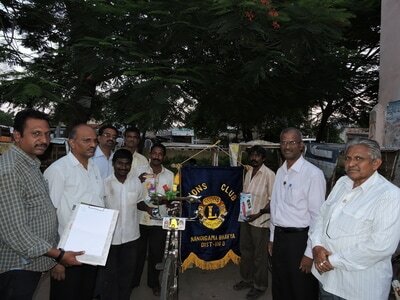 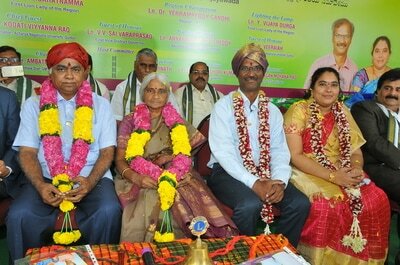 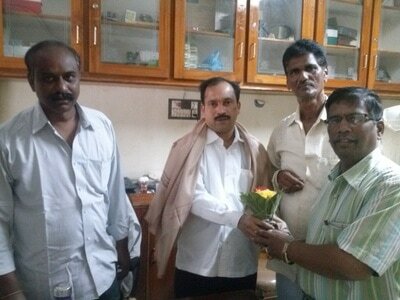 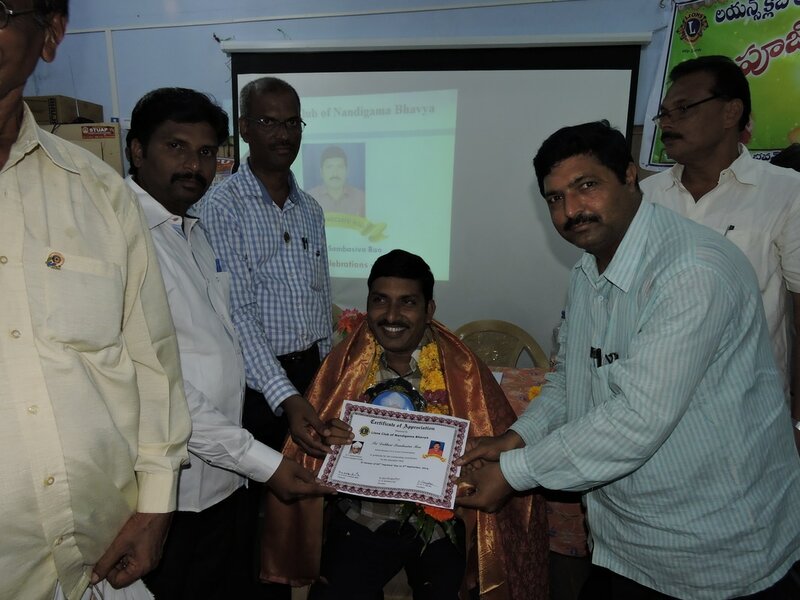 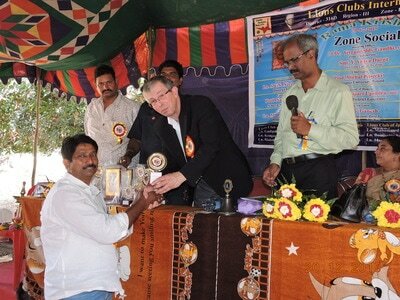 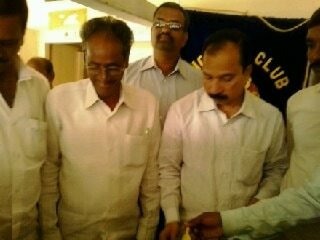 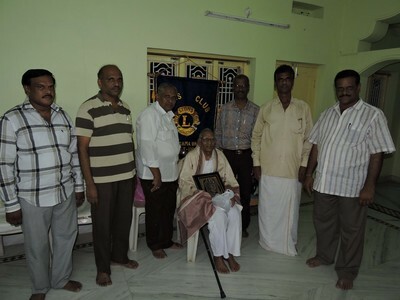 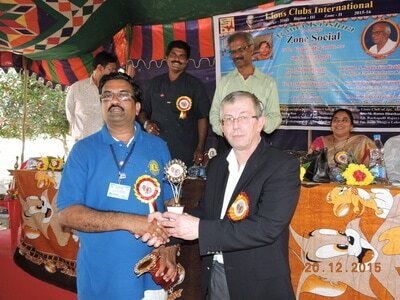 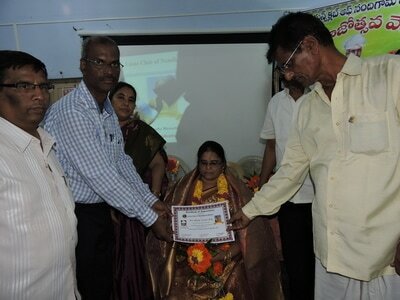 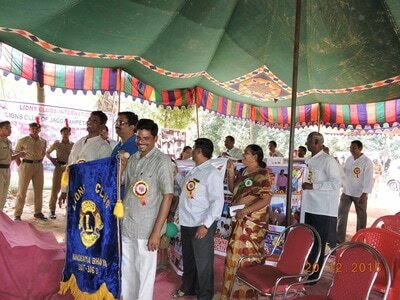 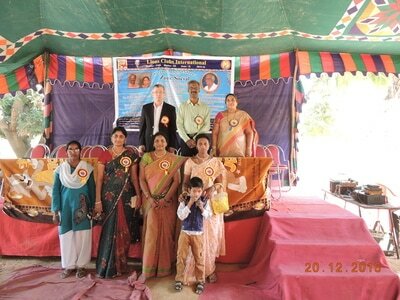 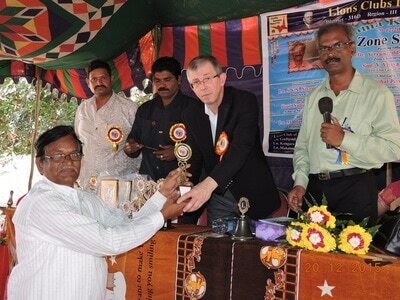 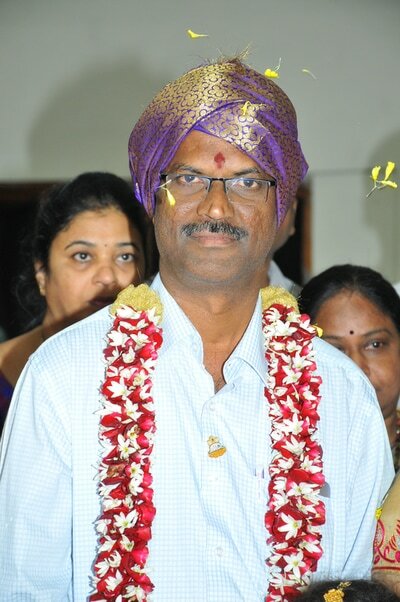 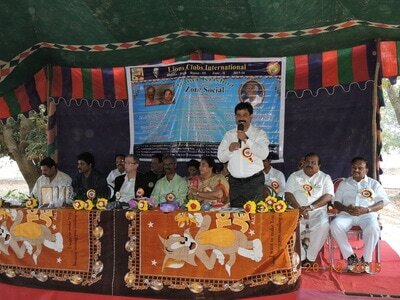 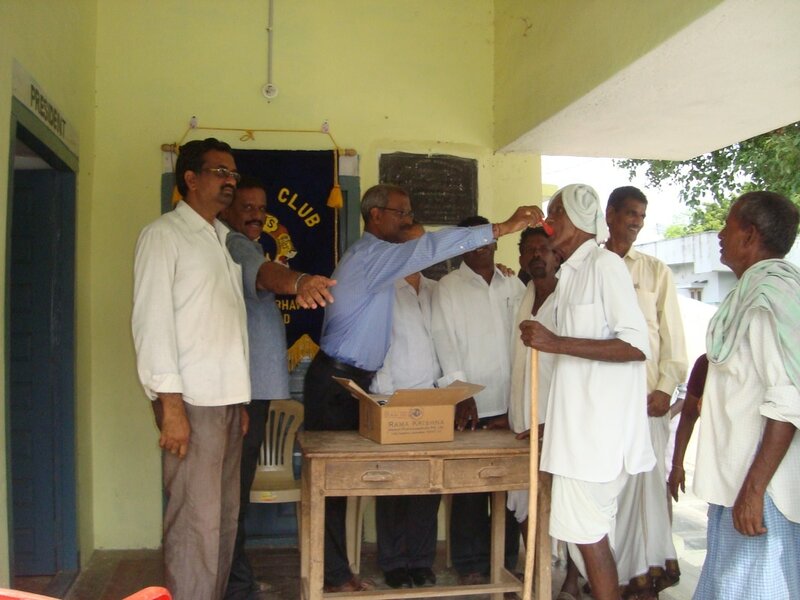 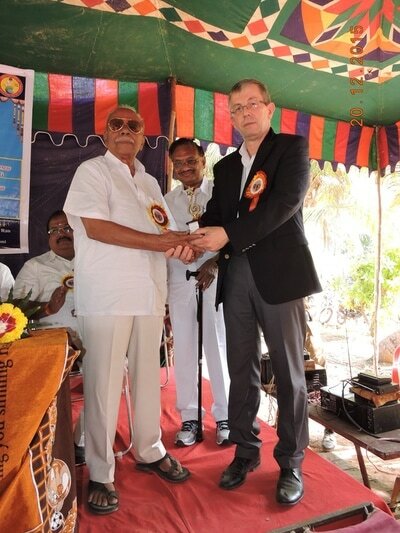 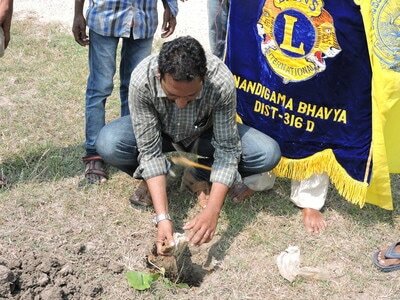 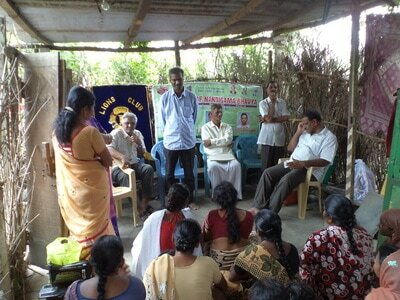 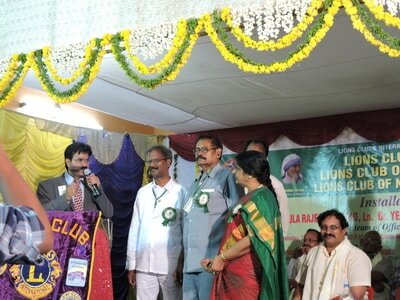 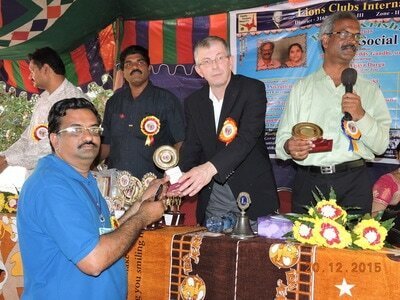 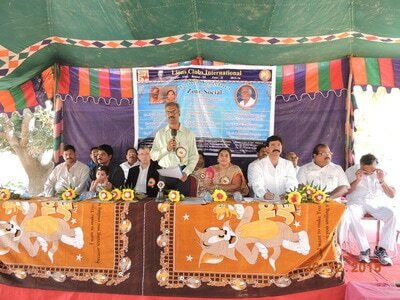 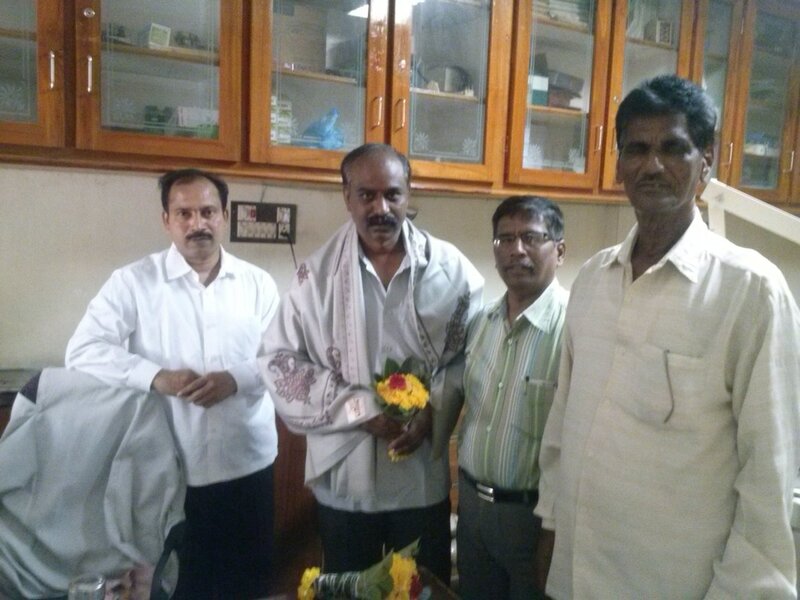 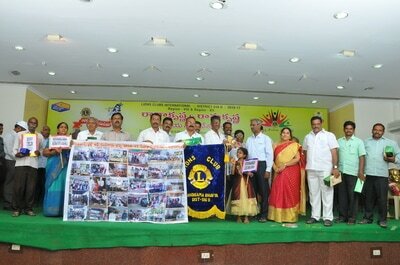 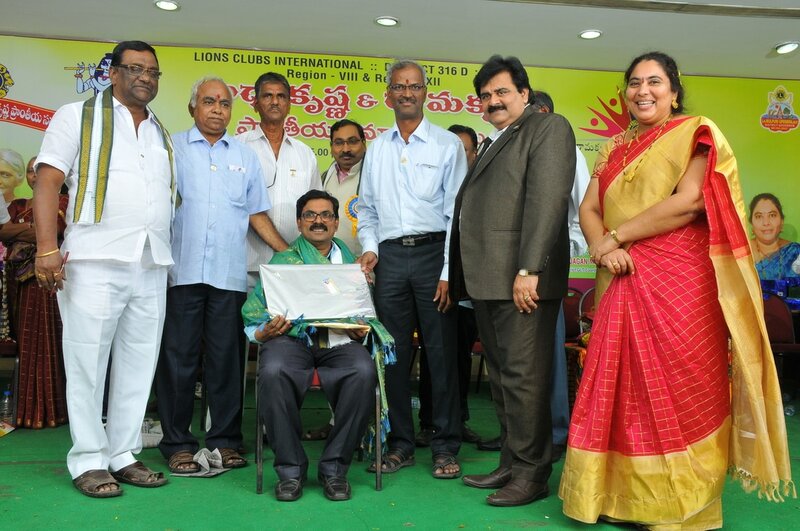 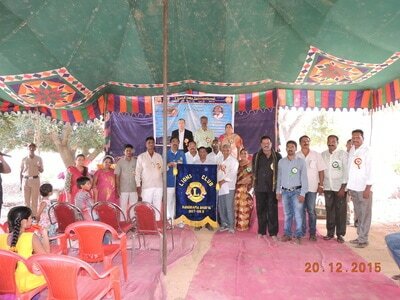 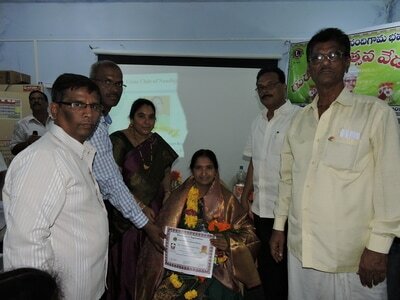 Joined Lions Club of Nandigama Bhavya as Charter Member in the year 2010. 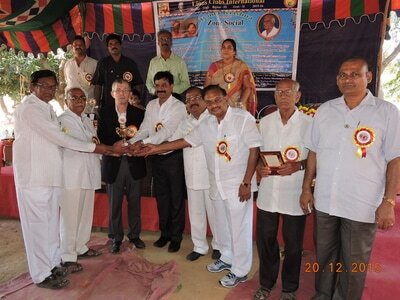 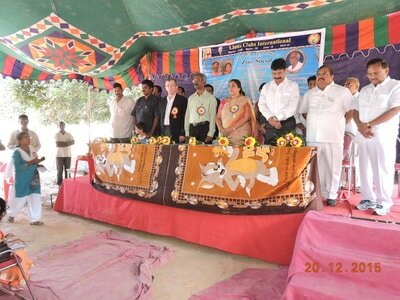 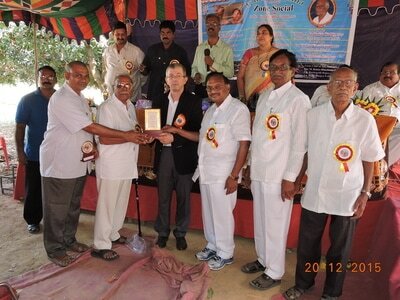 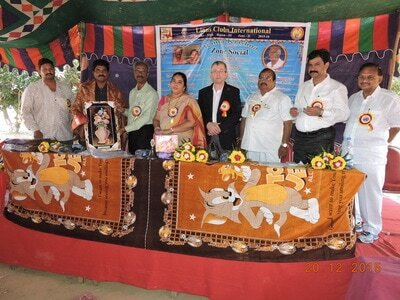 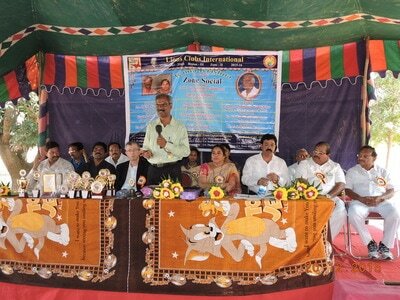 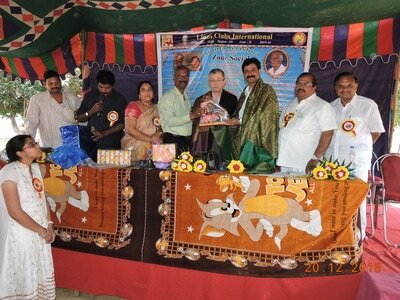 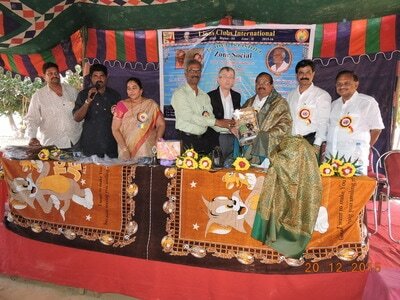 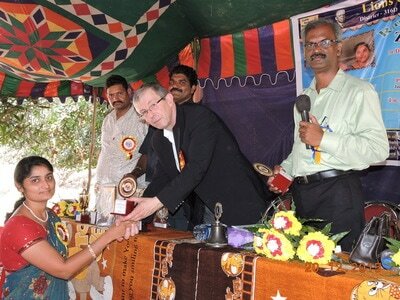 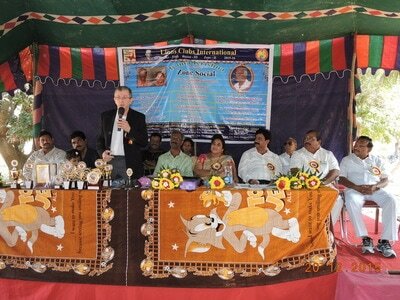 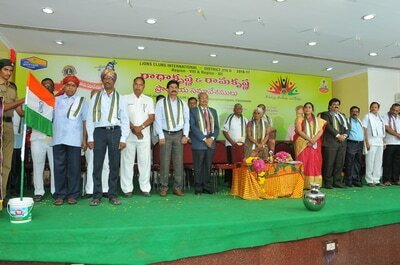 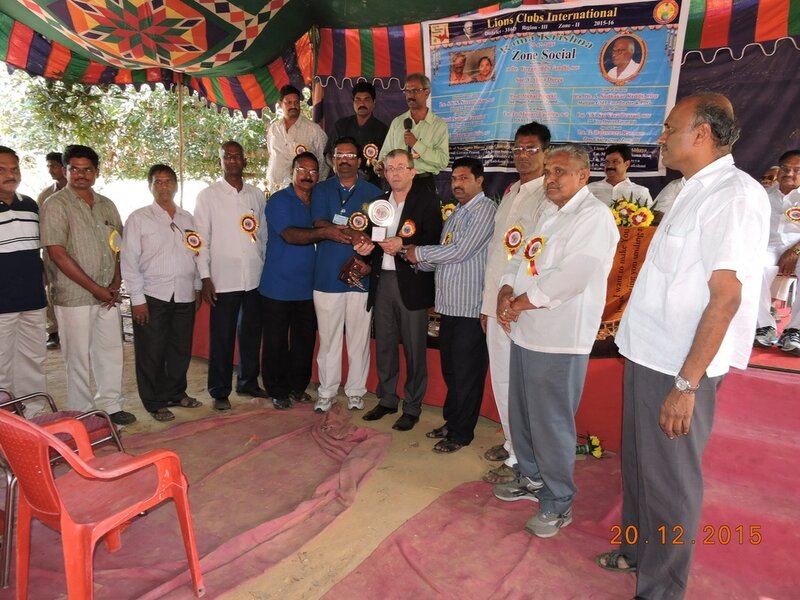 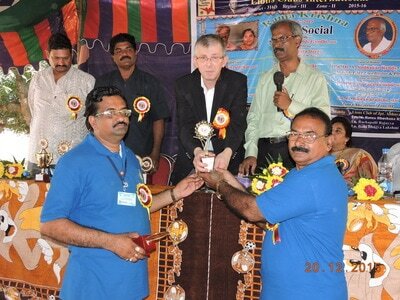 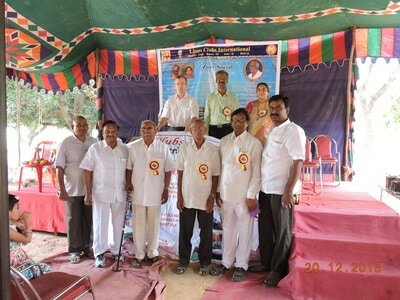 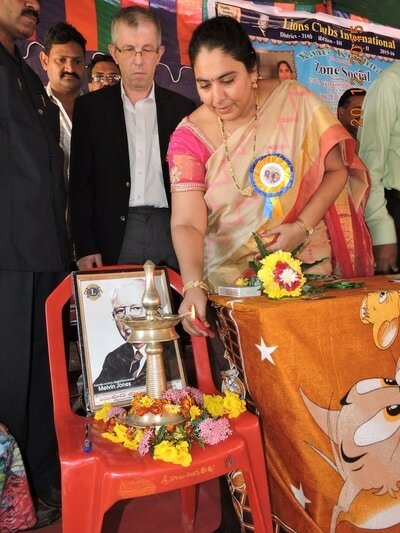 Honouring of Doctors, Teachers, Engineers etc. 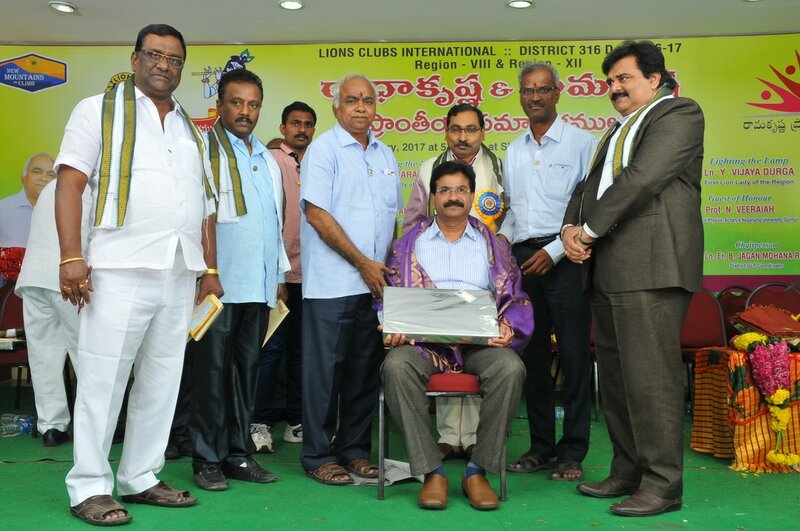 Received Best President at Zone Level, Best President at Regional Level, Lion of the Zone, Best Club at Zone Level, Best Club at Region Level and several service awards. 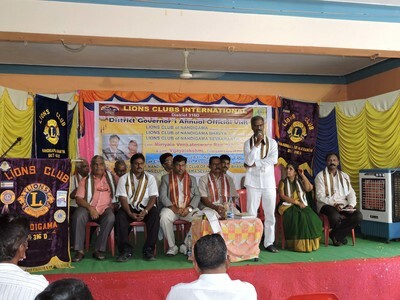 Lions Clubs International District 316D Governor Ln. 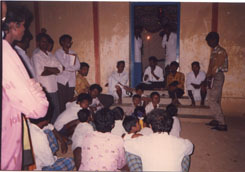 S.V. 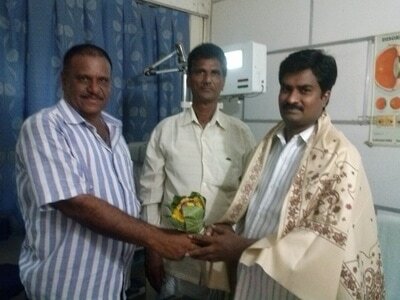 Nivruth Rao nominated me as Zone Chairperson for the year 2014-15. 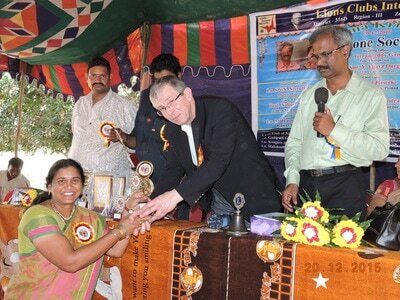 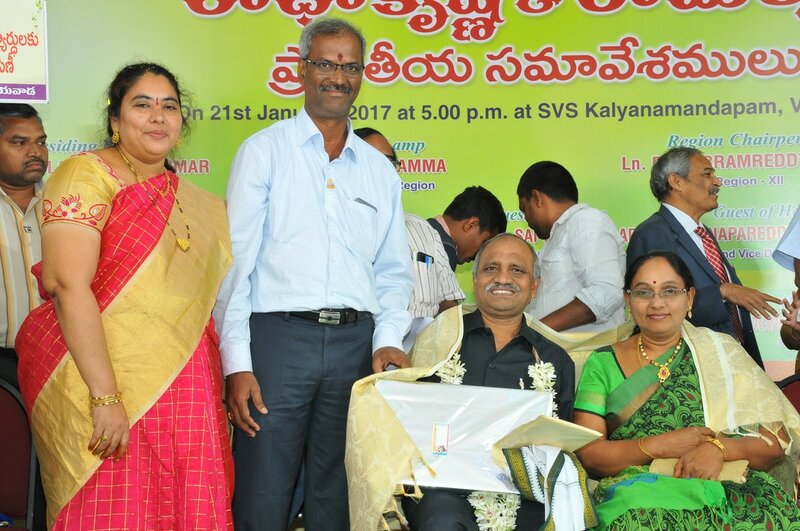 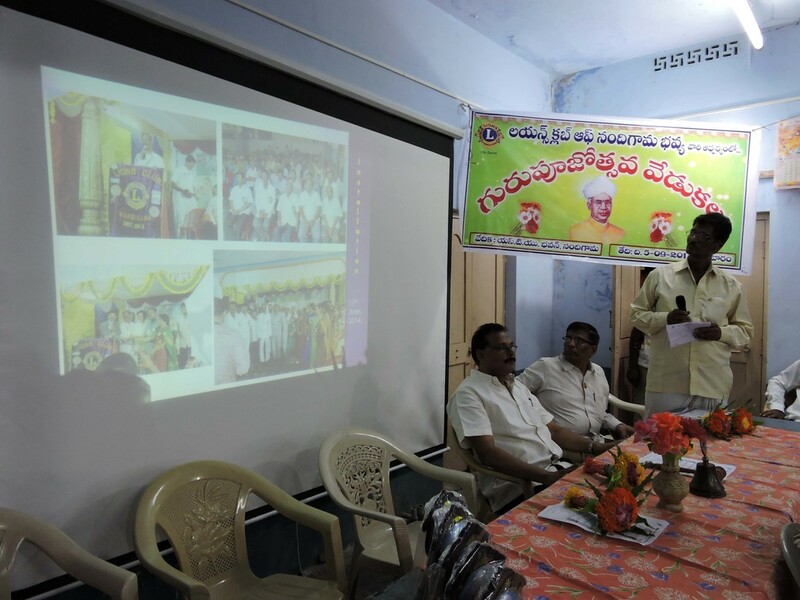 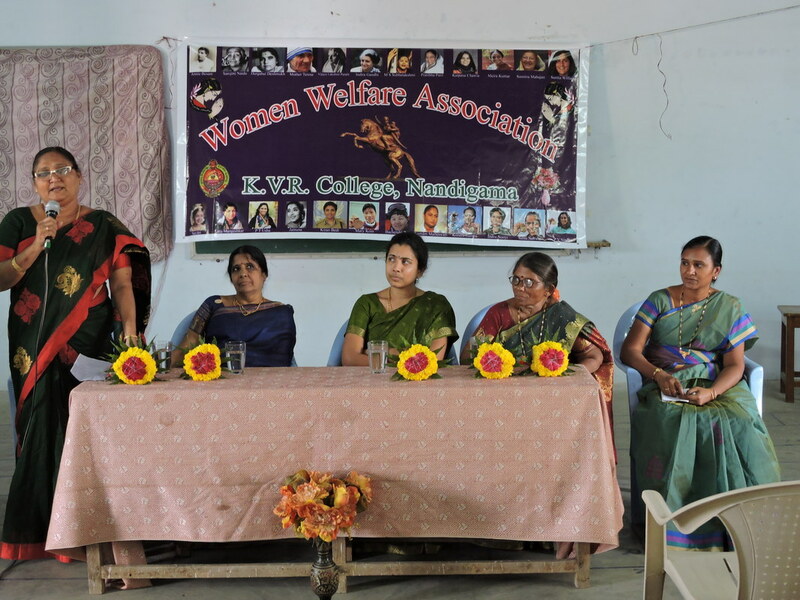 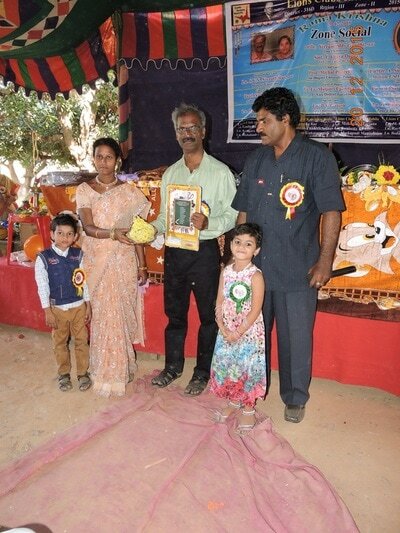 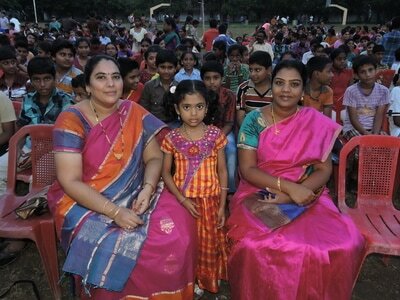 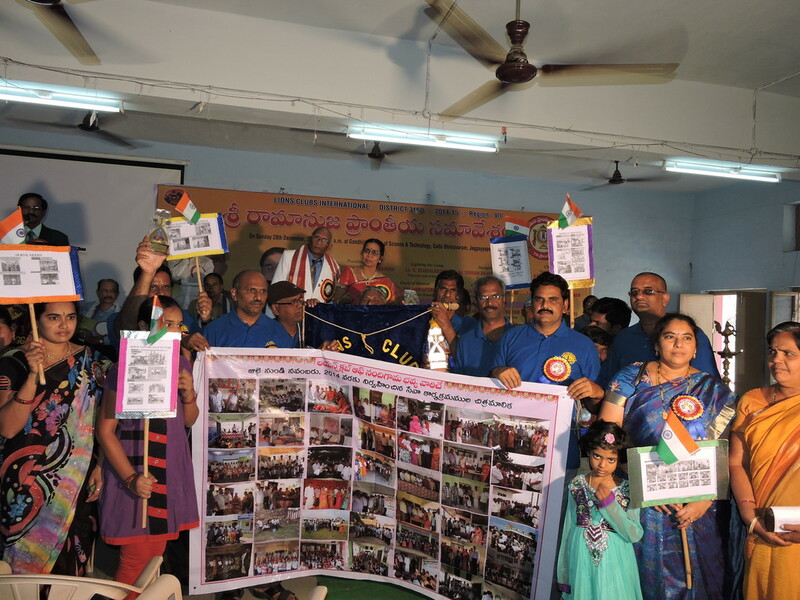 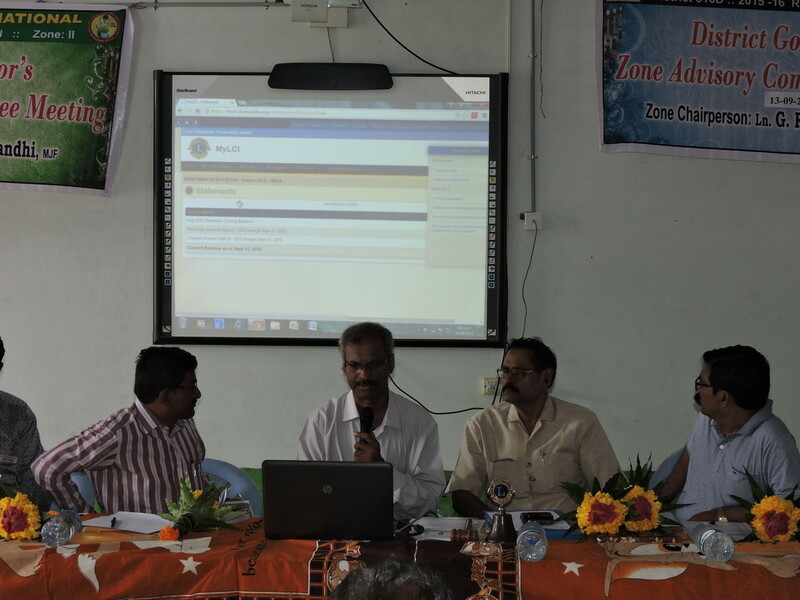 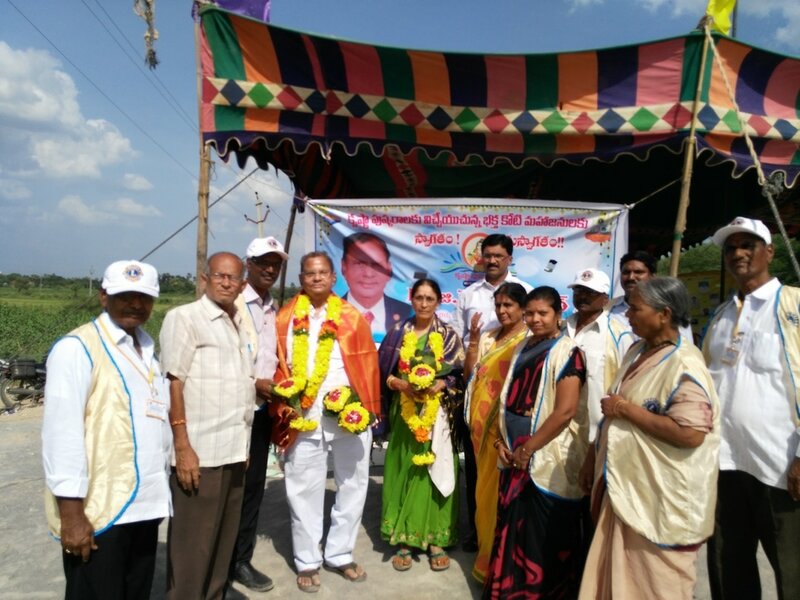 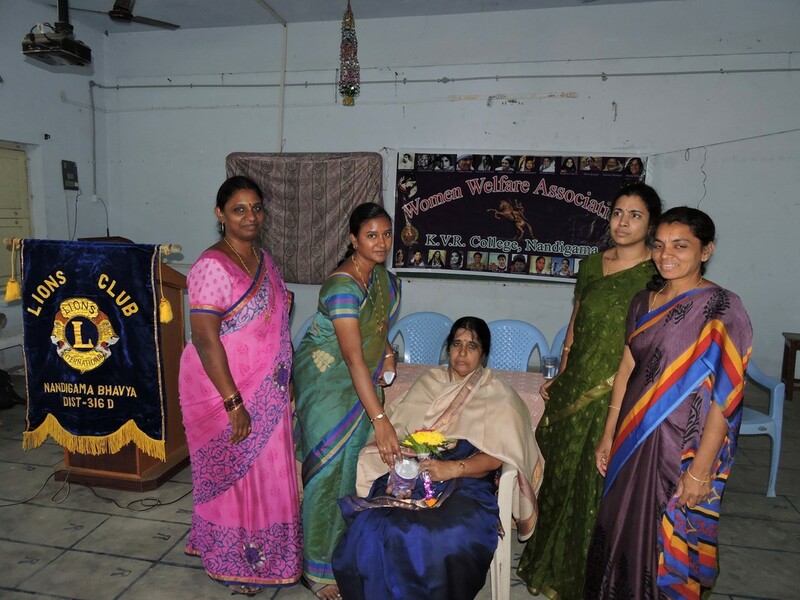 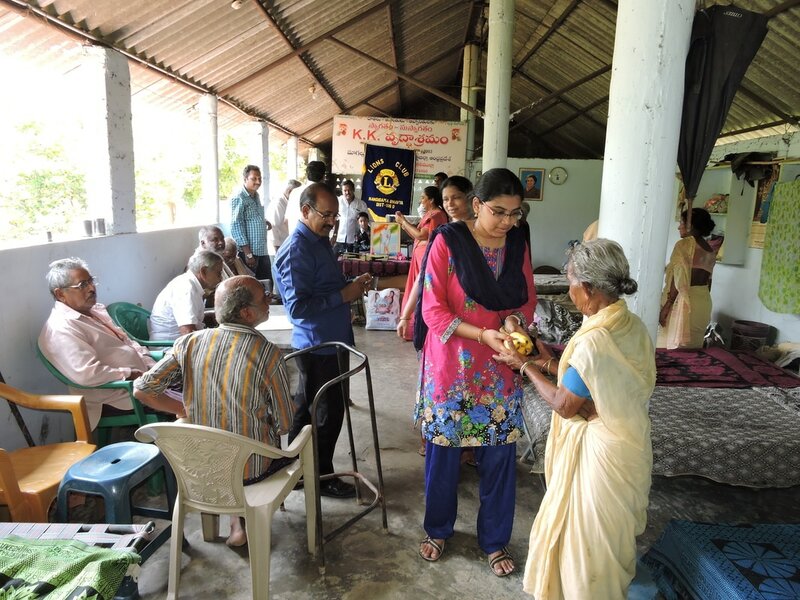 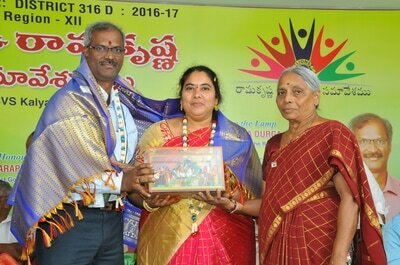 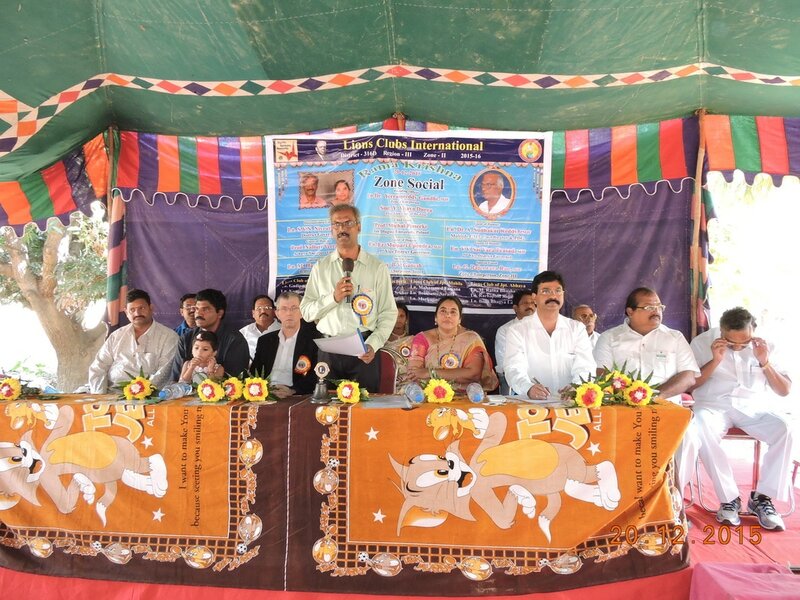 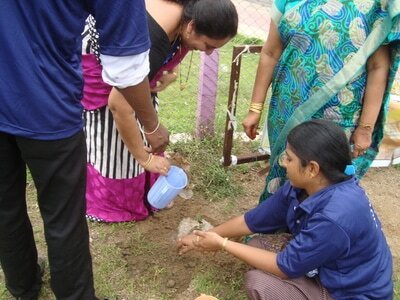 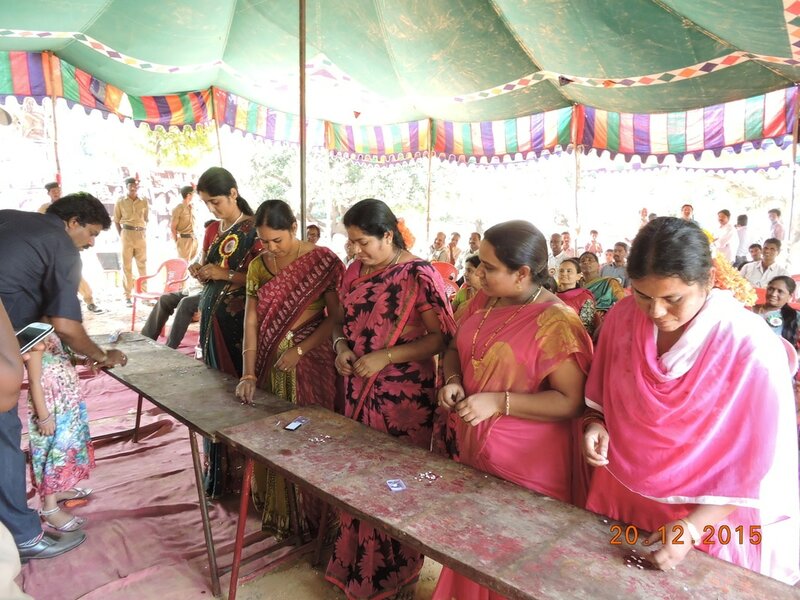 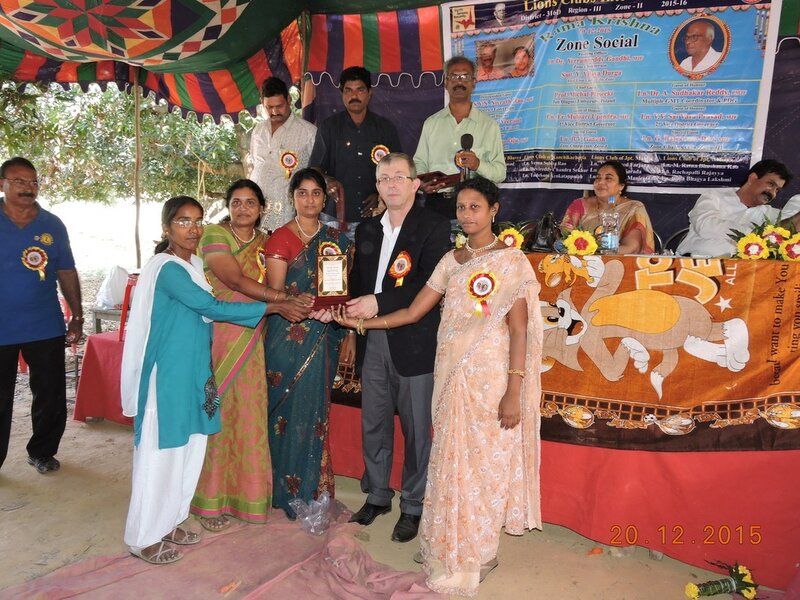 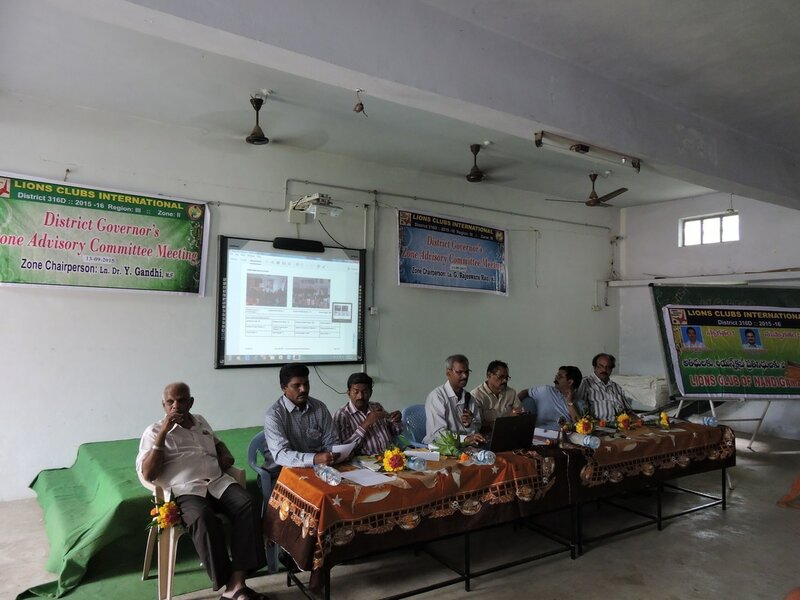 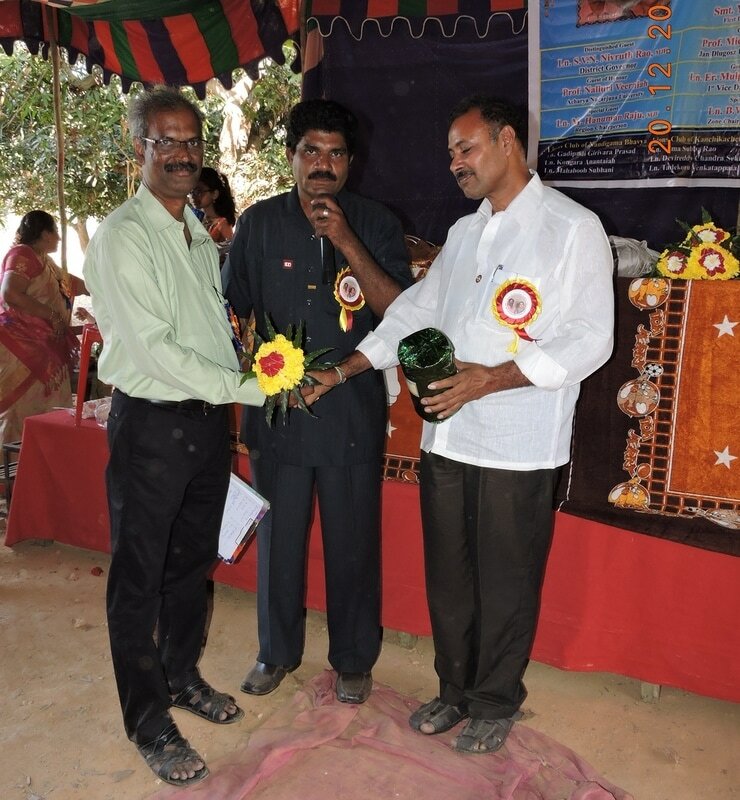 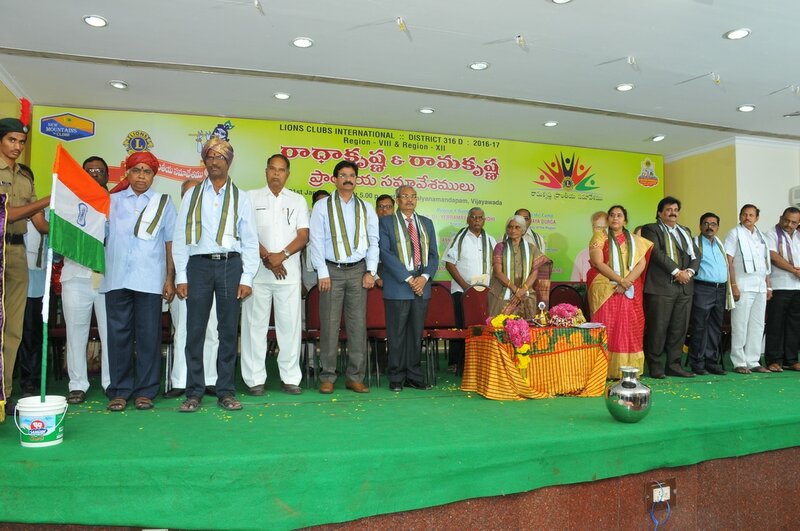 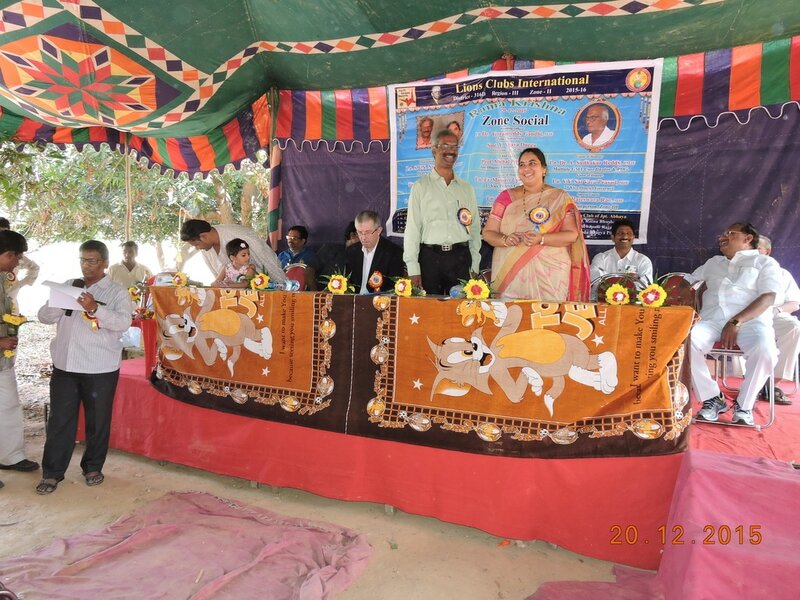 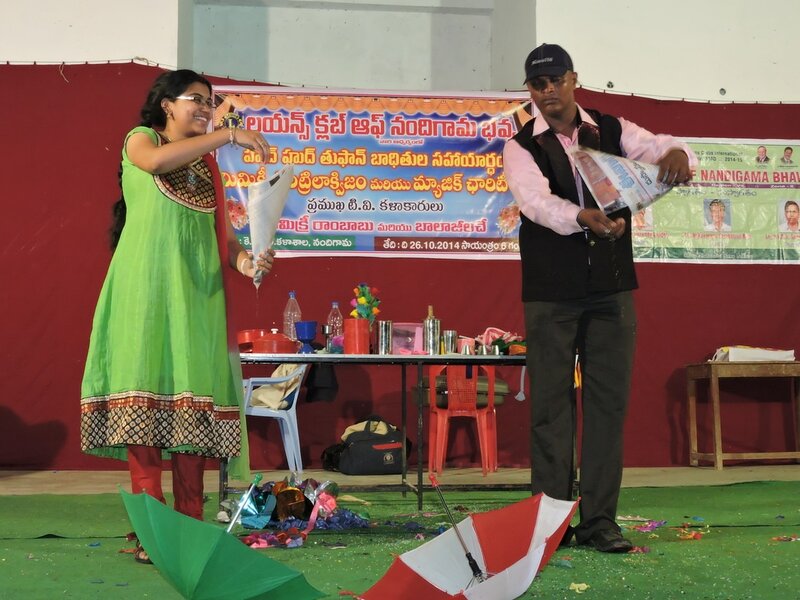 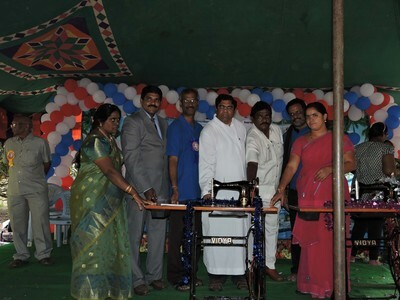 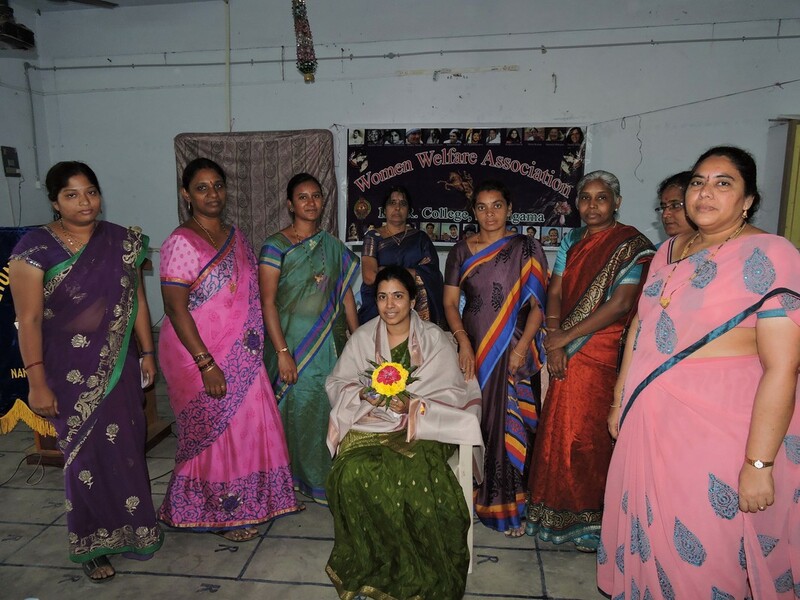 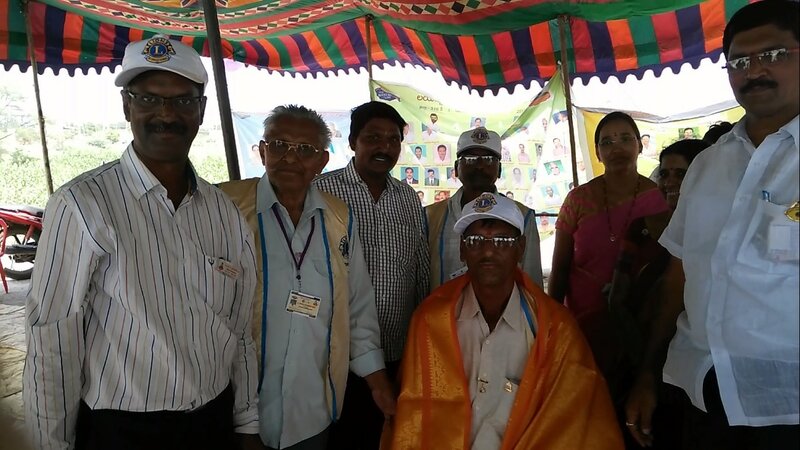 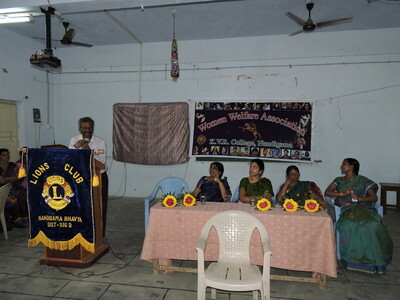 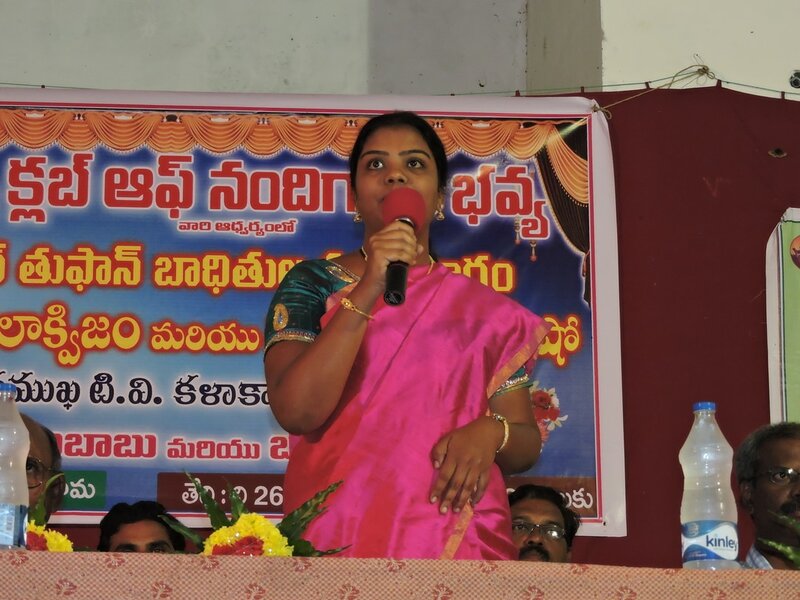 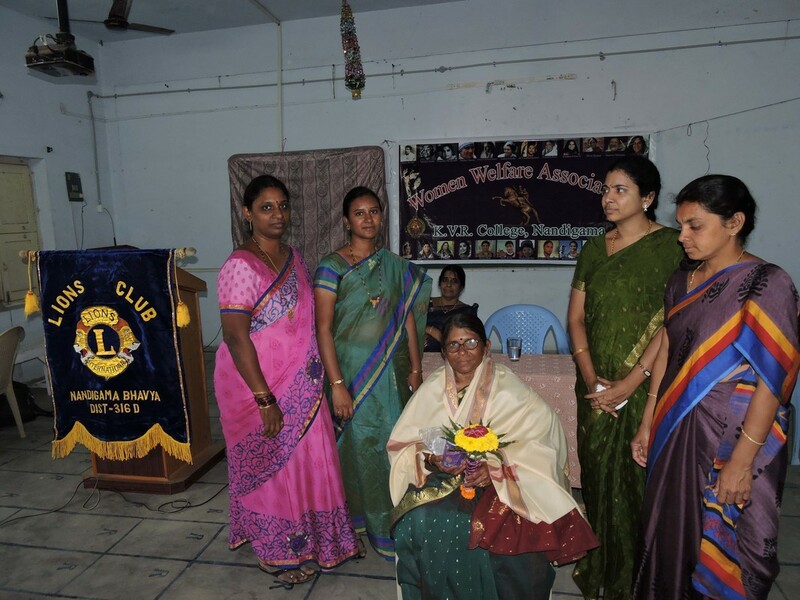 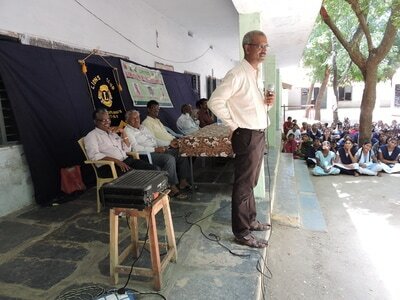 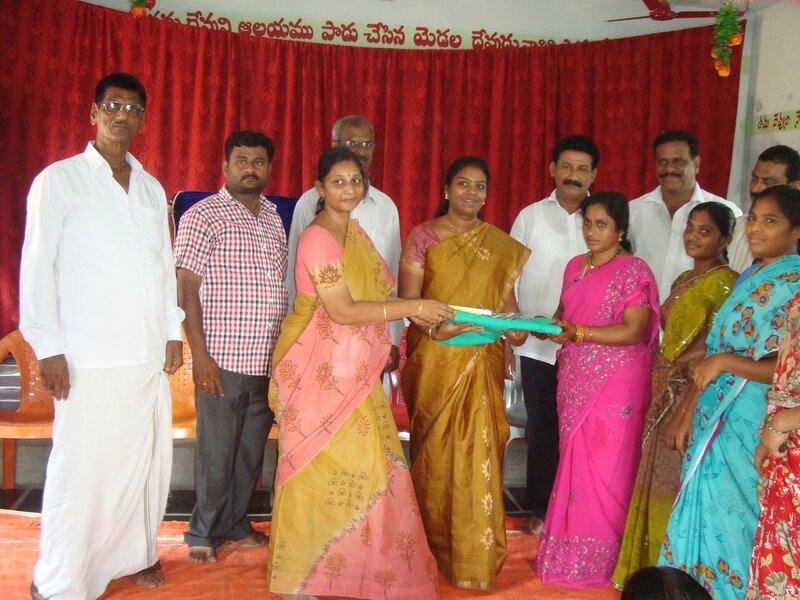 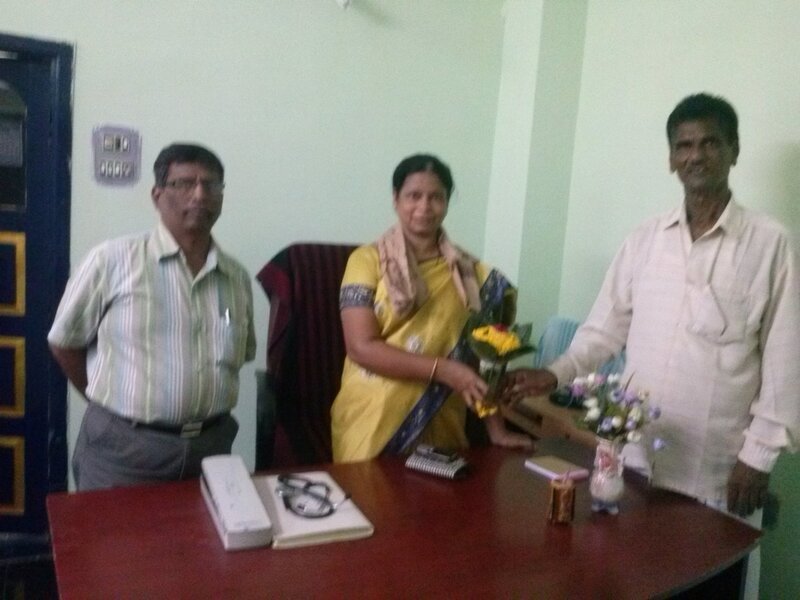 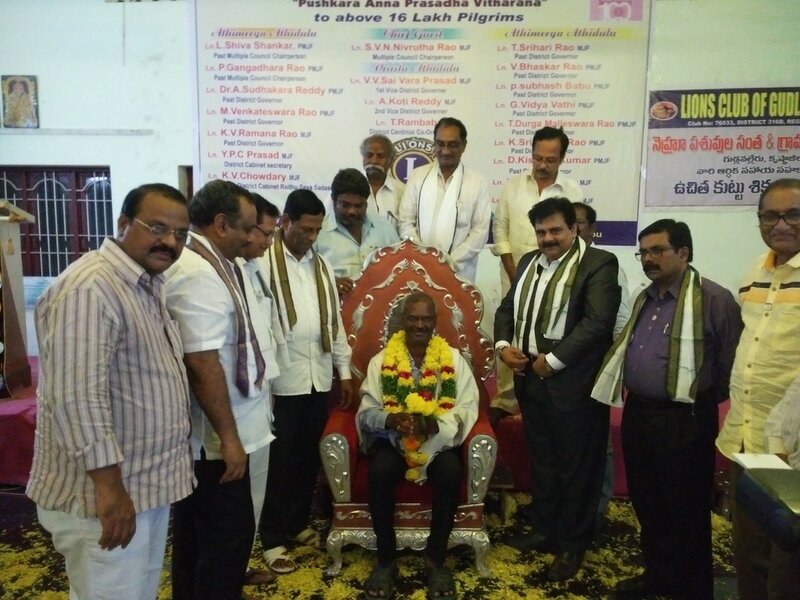 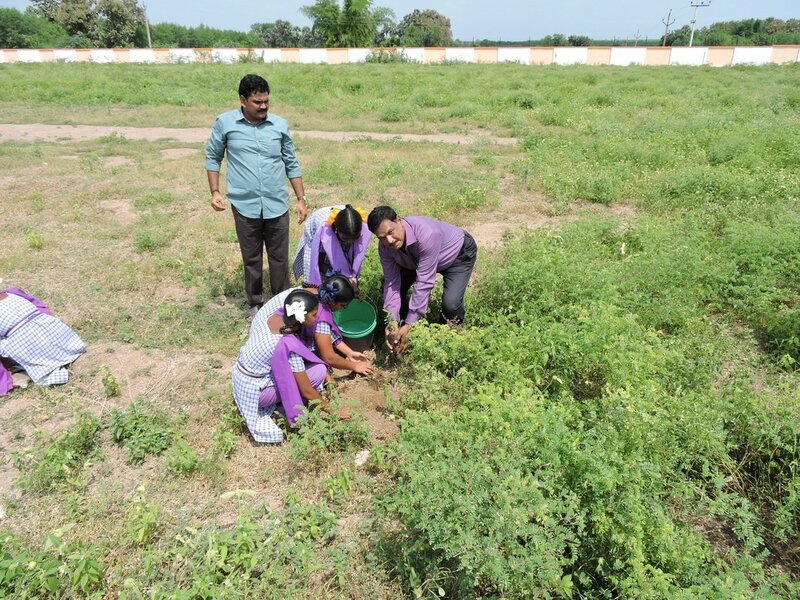 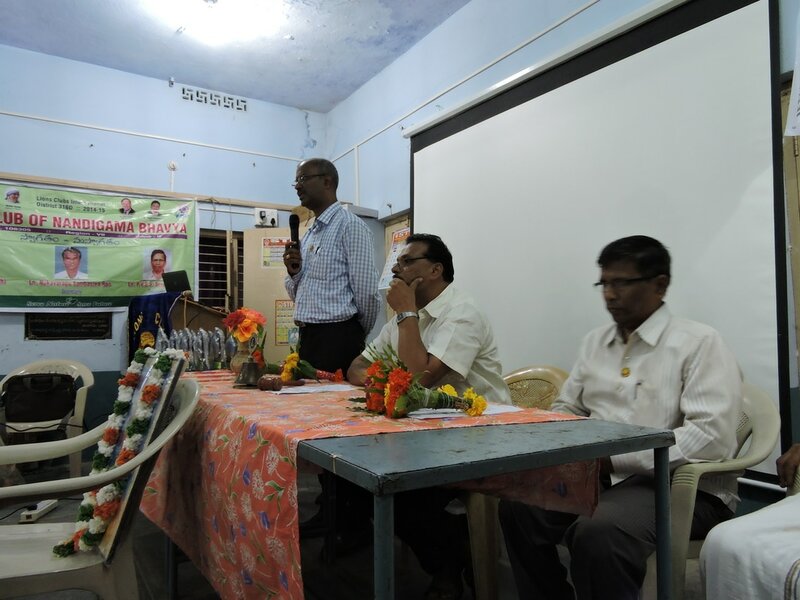 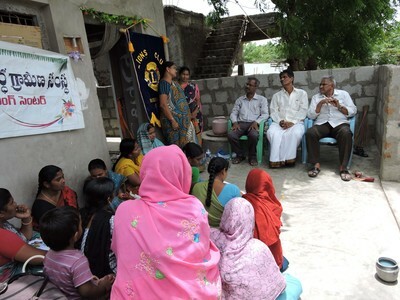 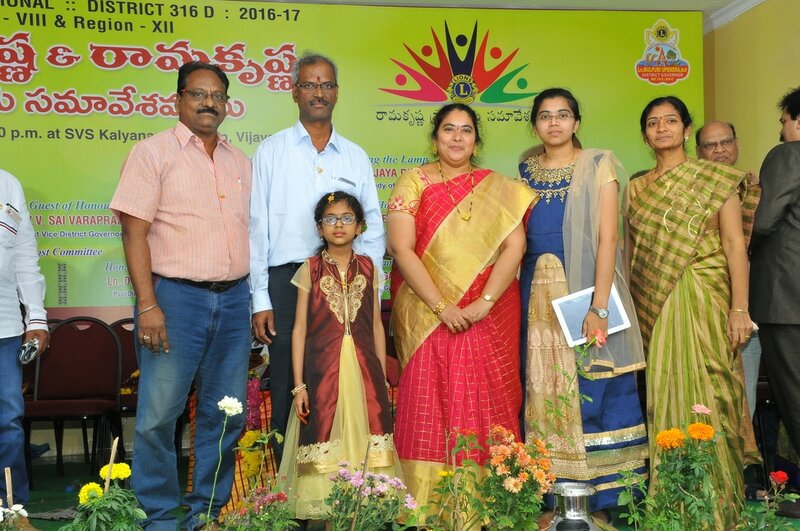 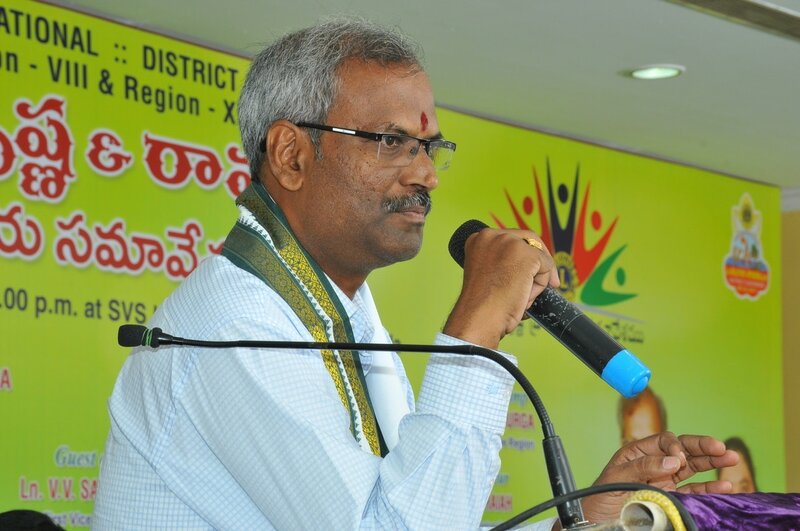 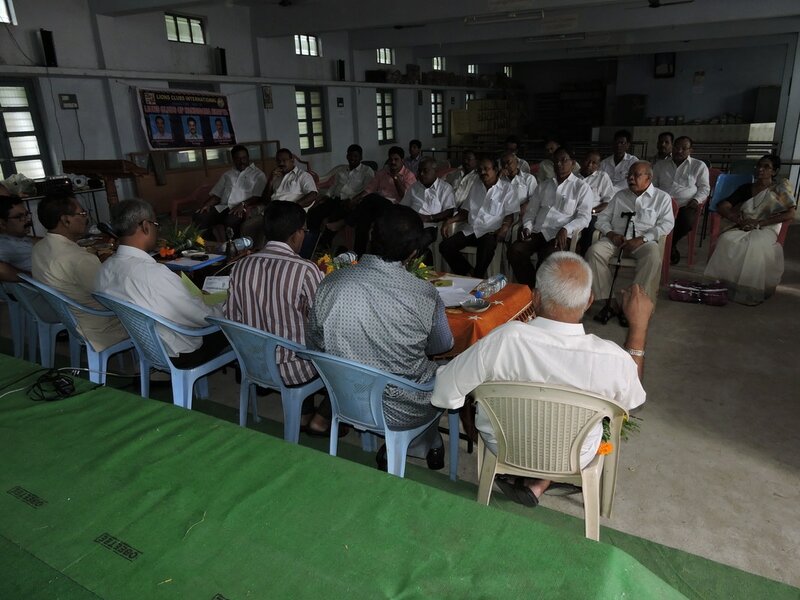 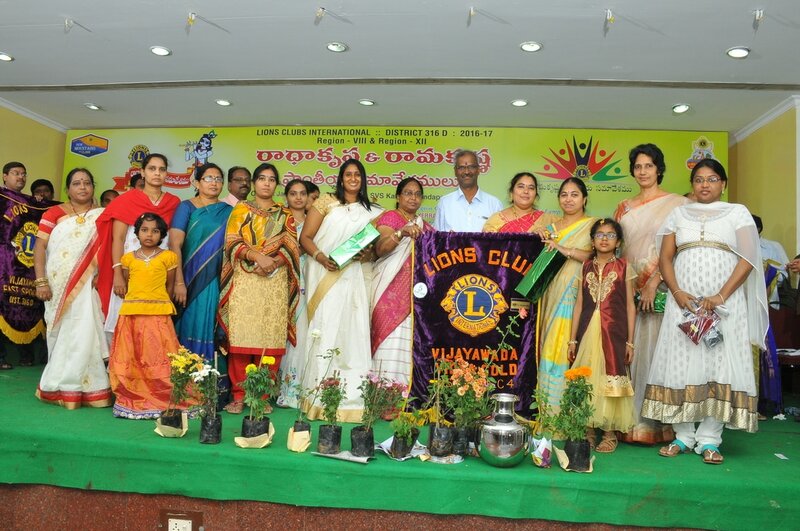 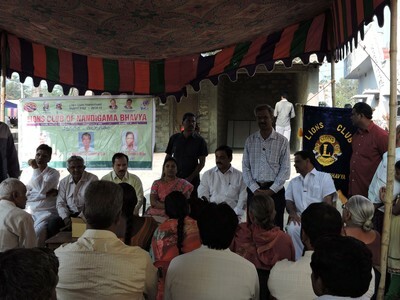 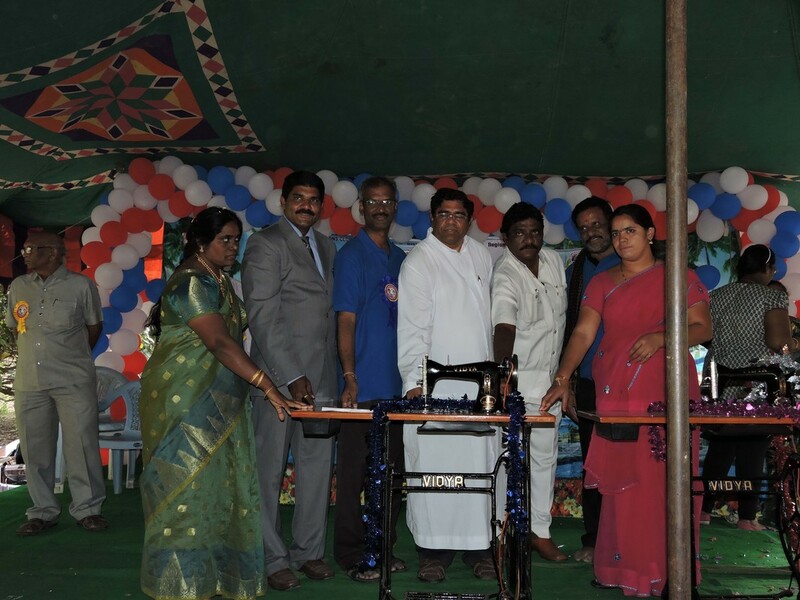 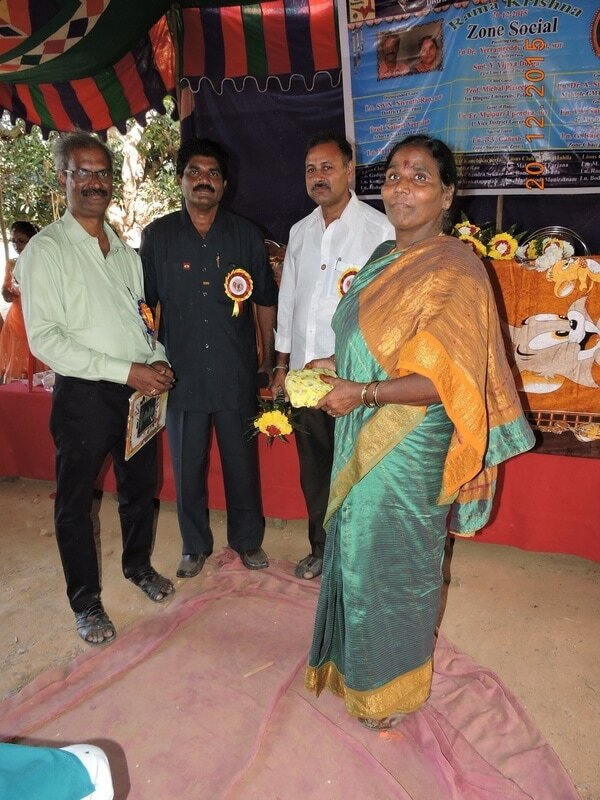 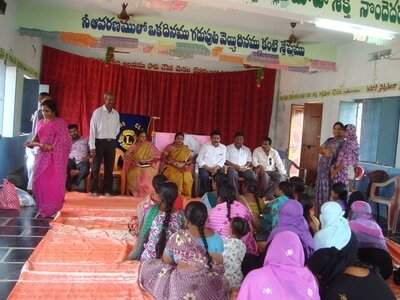 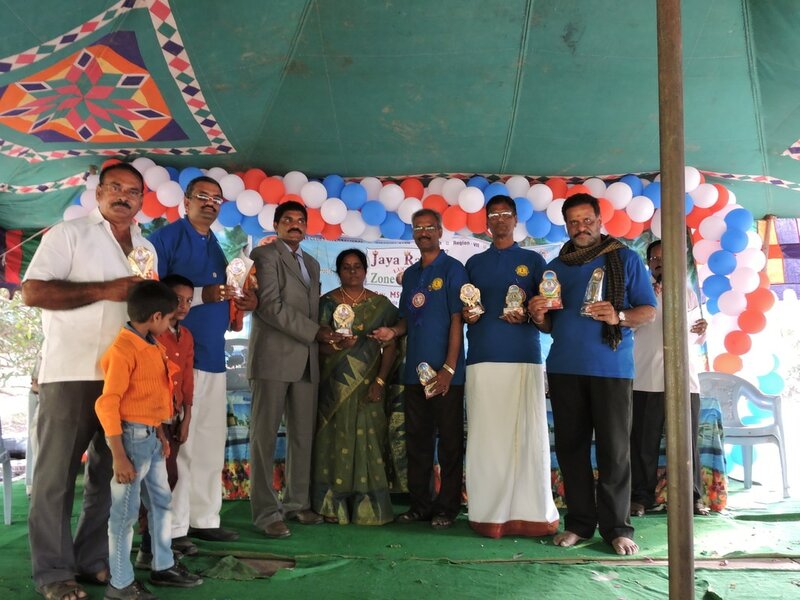 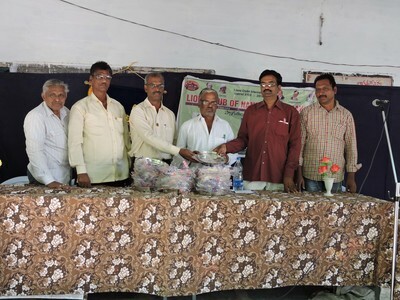 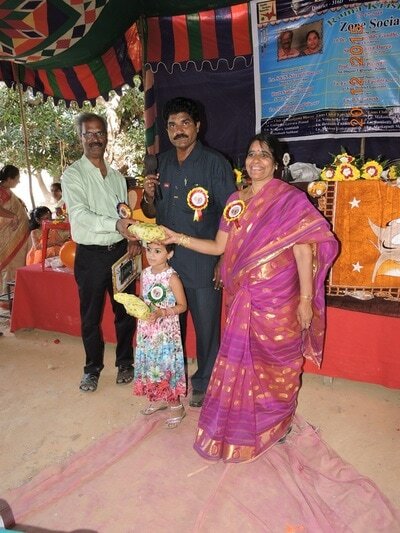 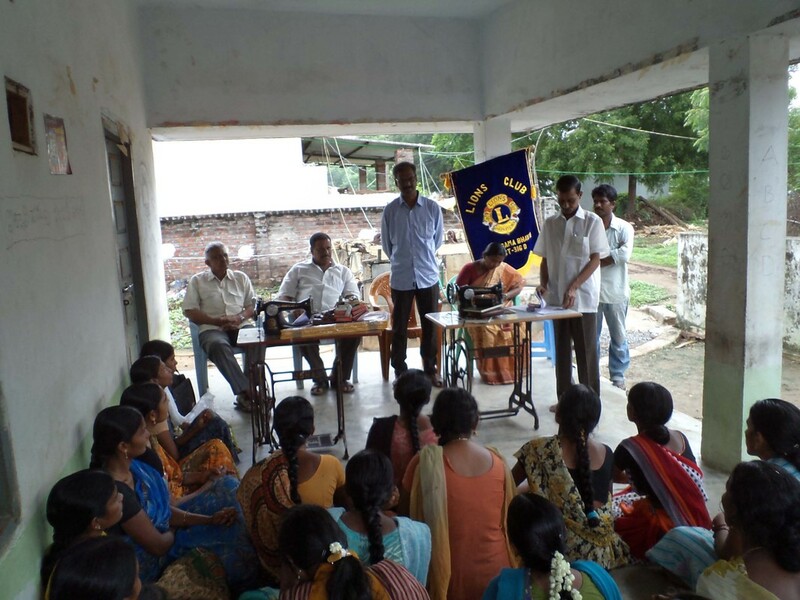 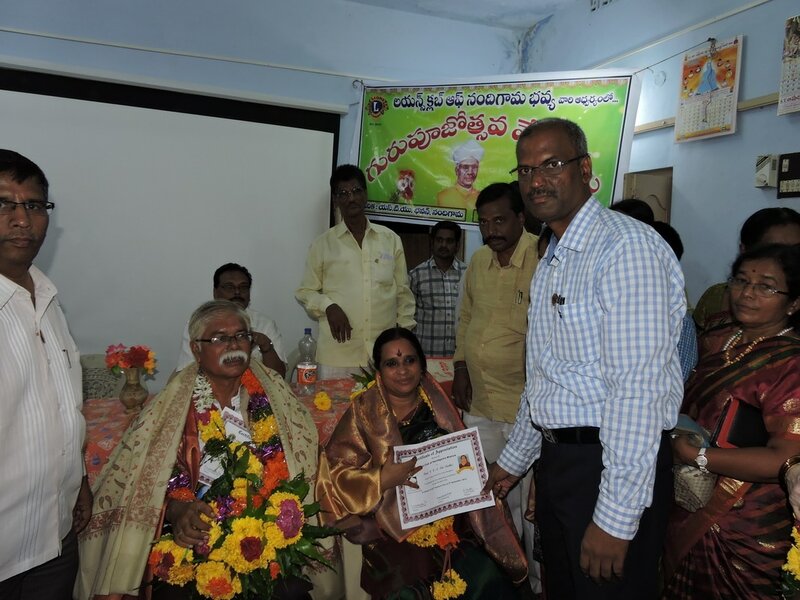 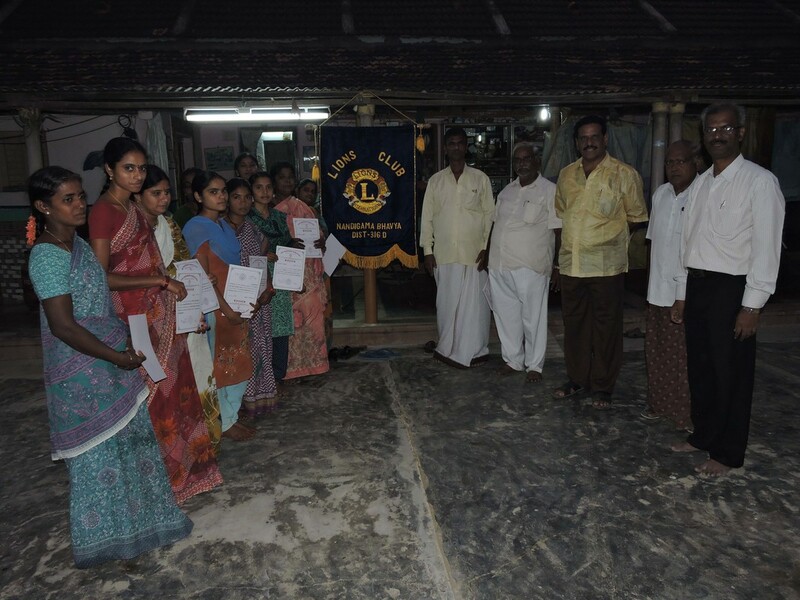 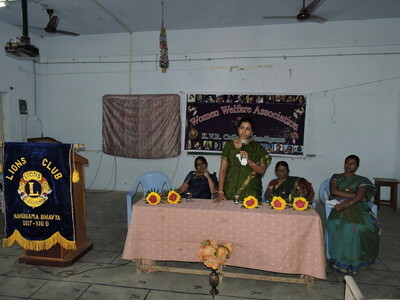 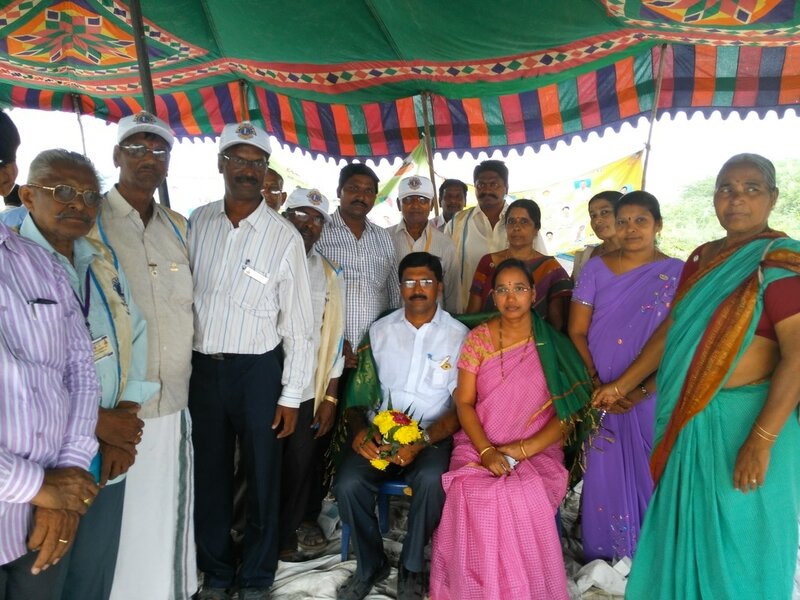 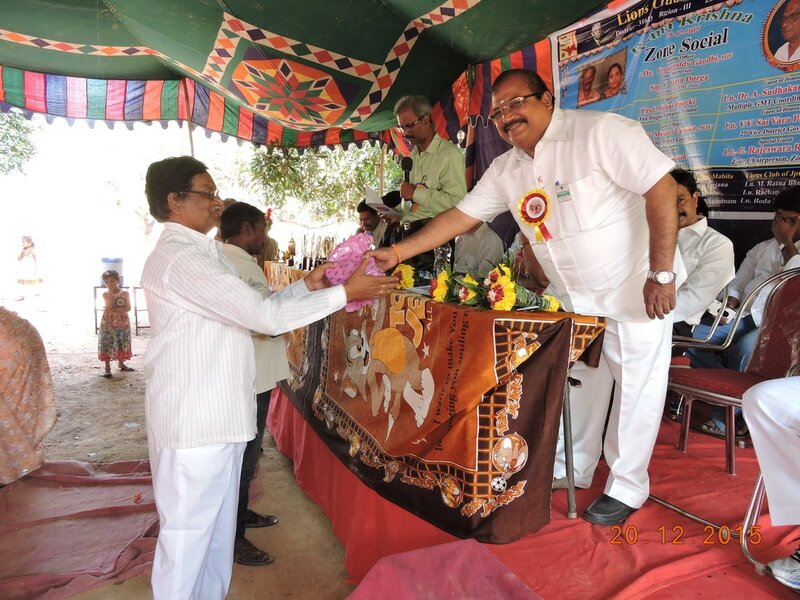 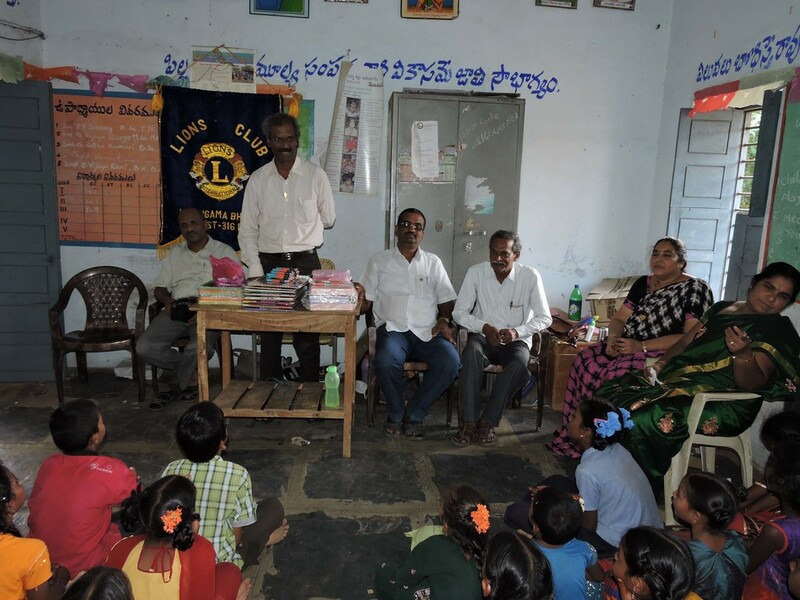 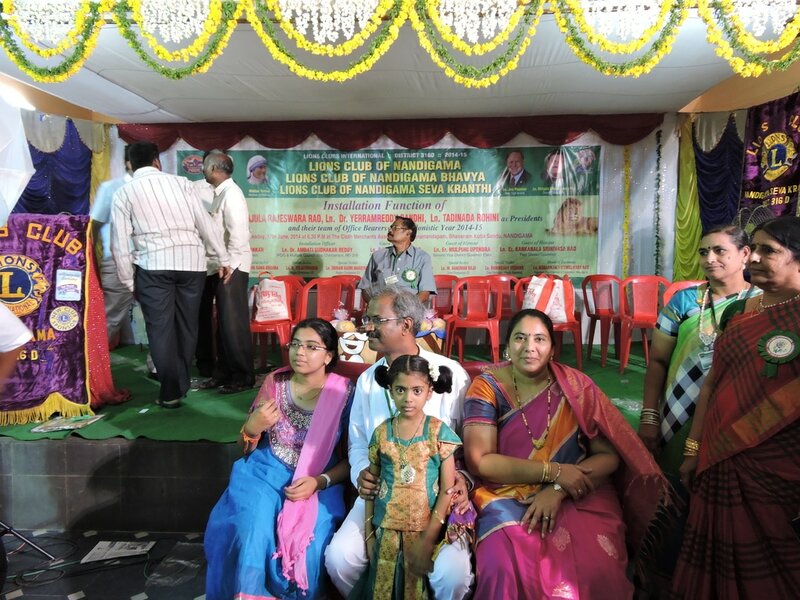 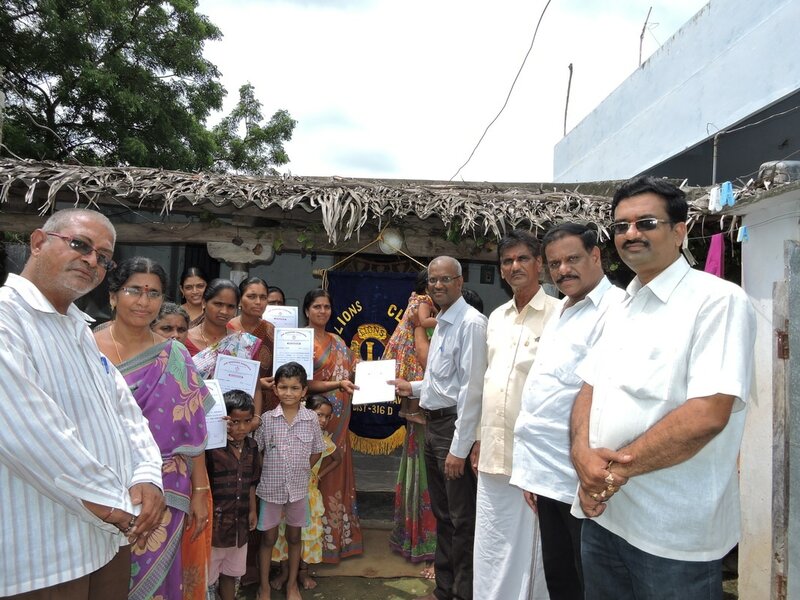 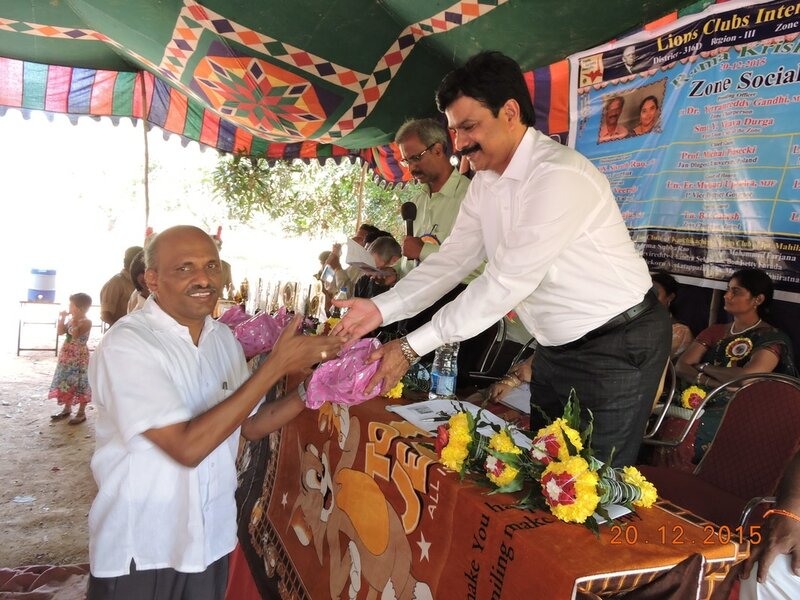 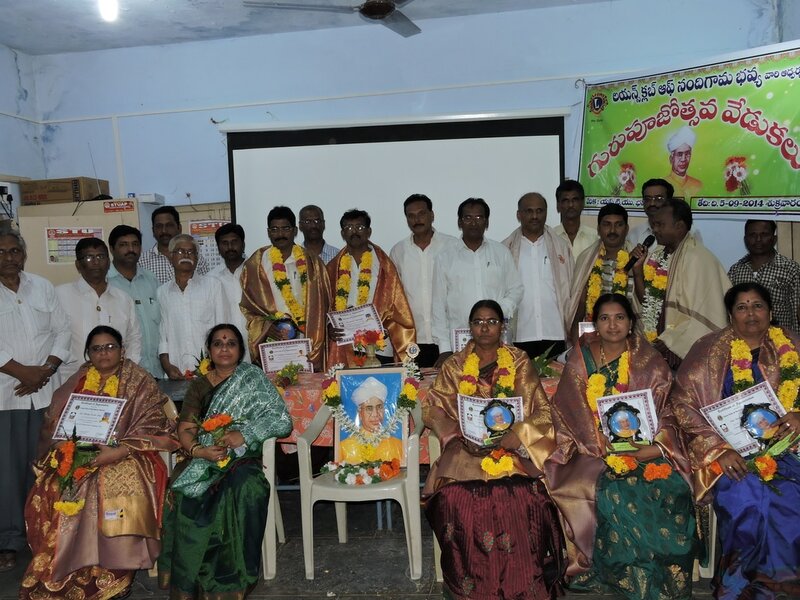 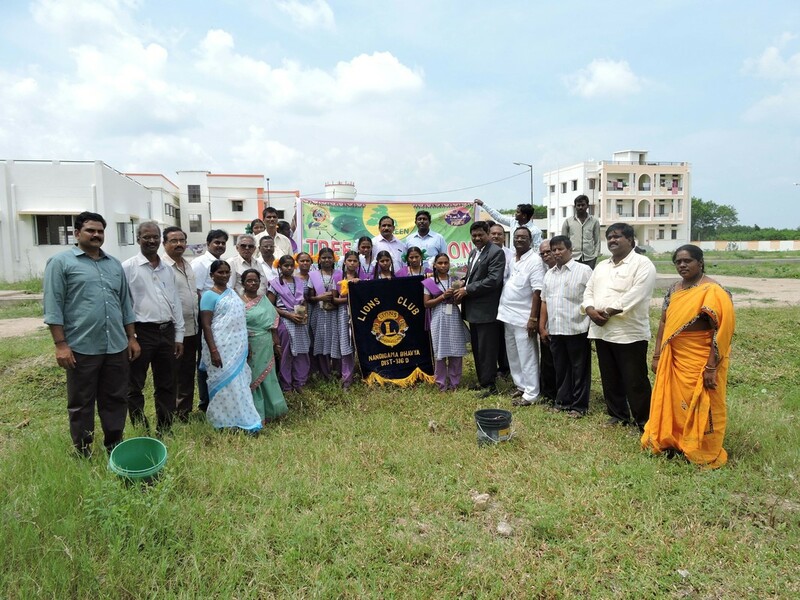 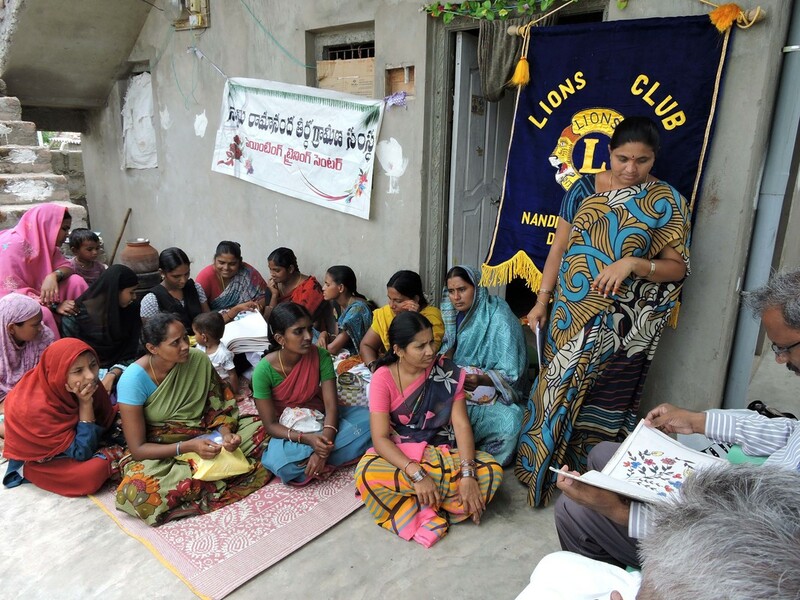 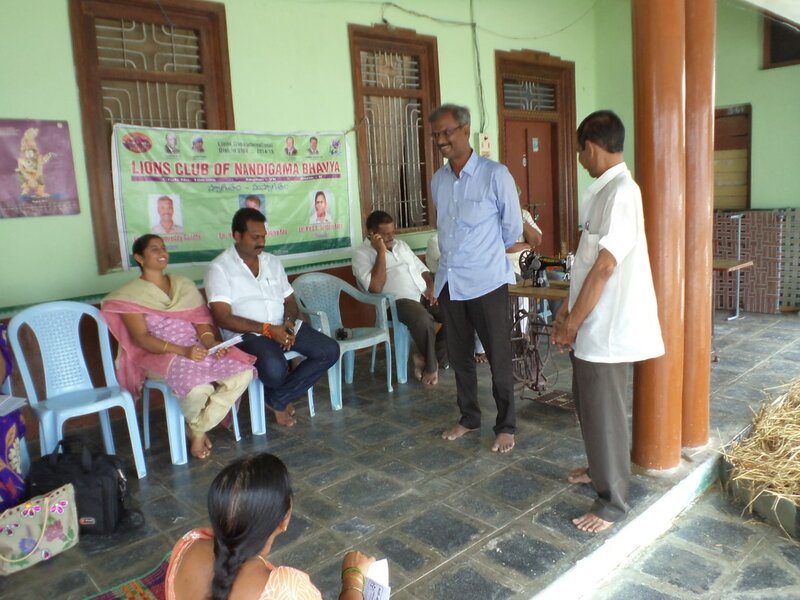 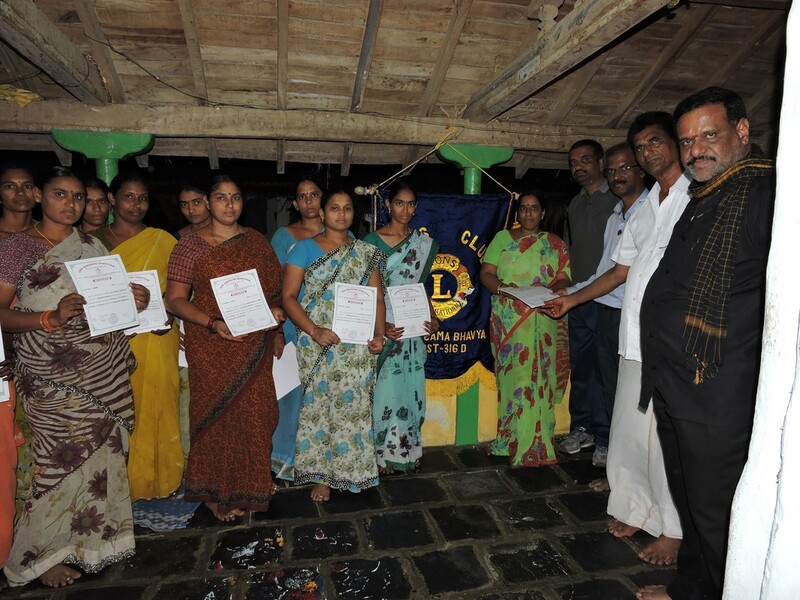 It is an administrative role to guide, motivate and supervise the given four clubs viz., Lions Club of Nandigama Bhavya, Lions Club of Kanchikacherla, Lions Club of Jaggayyapeta Mahila, Lions Club of Jaggayyapeta Abhaya. 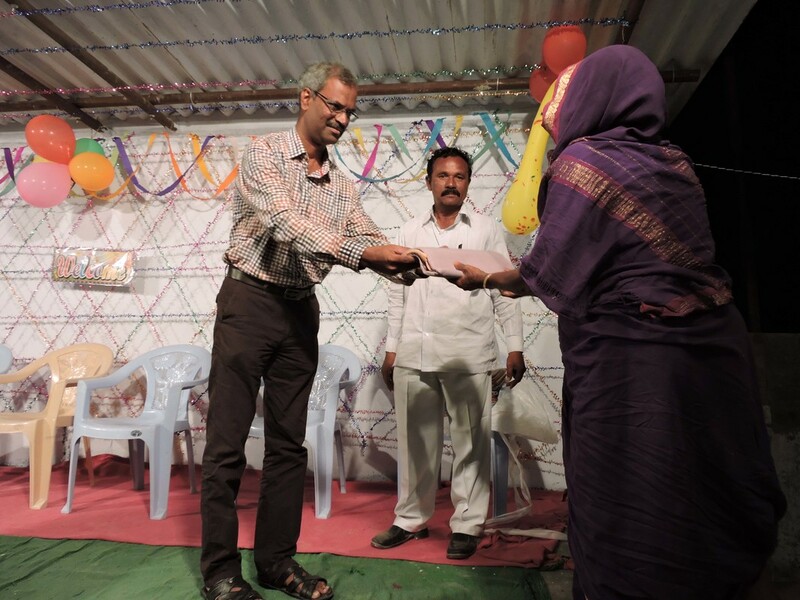 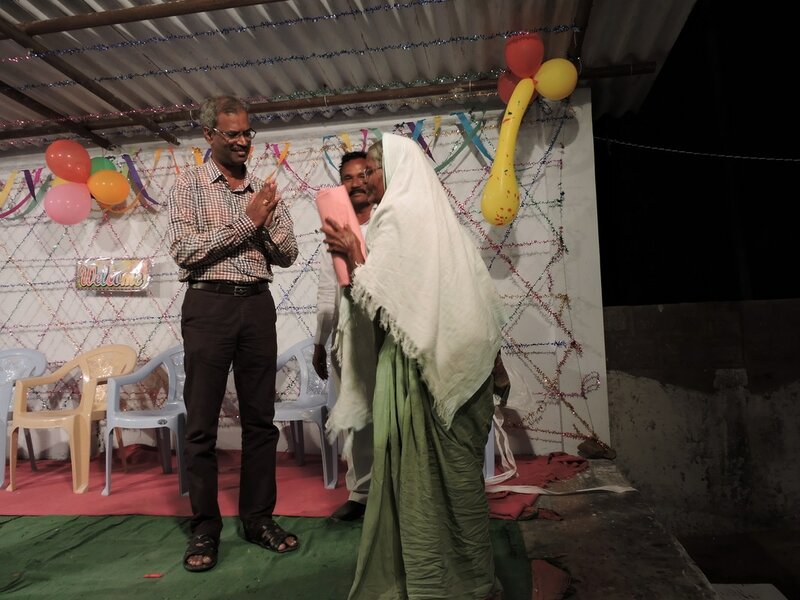 Zone Social organised as a family get together for the four clubs in the zone and to encourage the services rendered by the clubs. 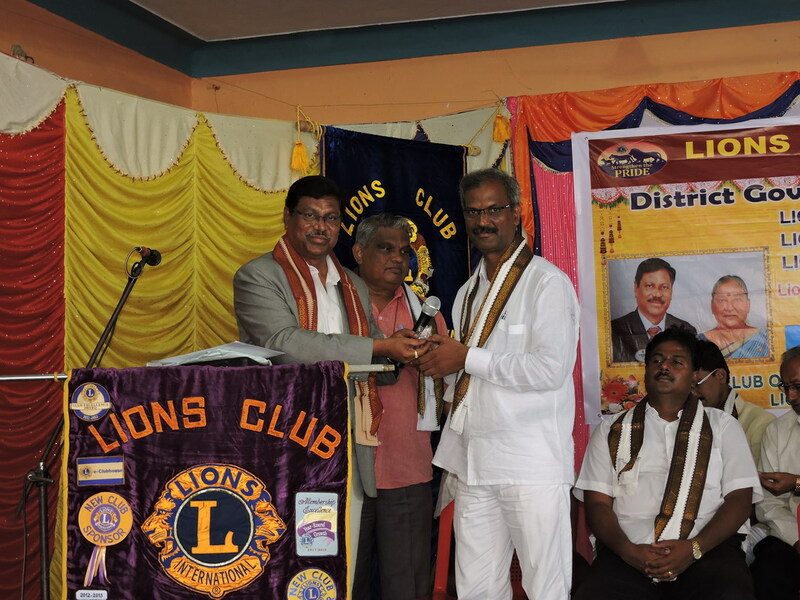 Lions District 316D Governor for 2016-17 Ln. 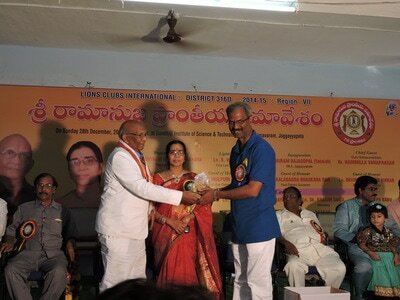 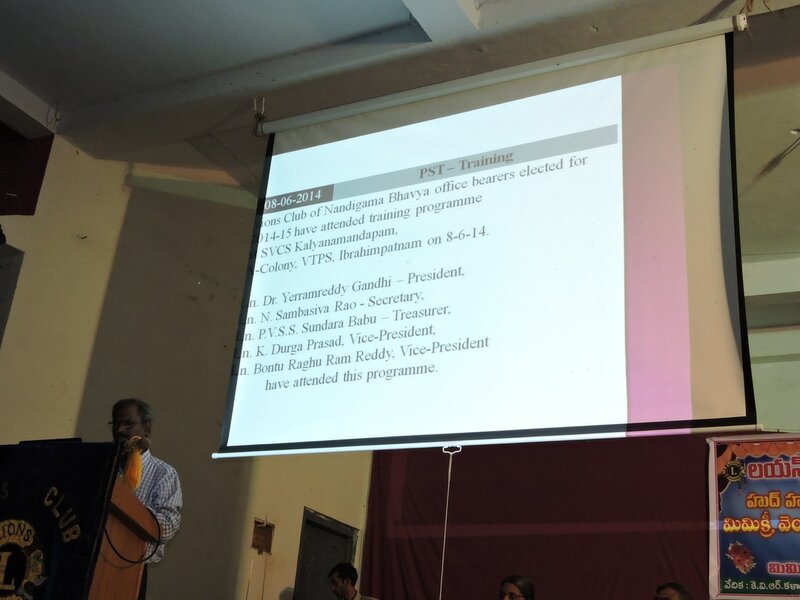 Mulpuri Upendra nominated me as Region Chairperson for Region XII. 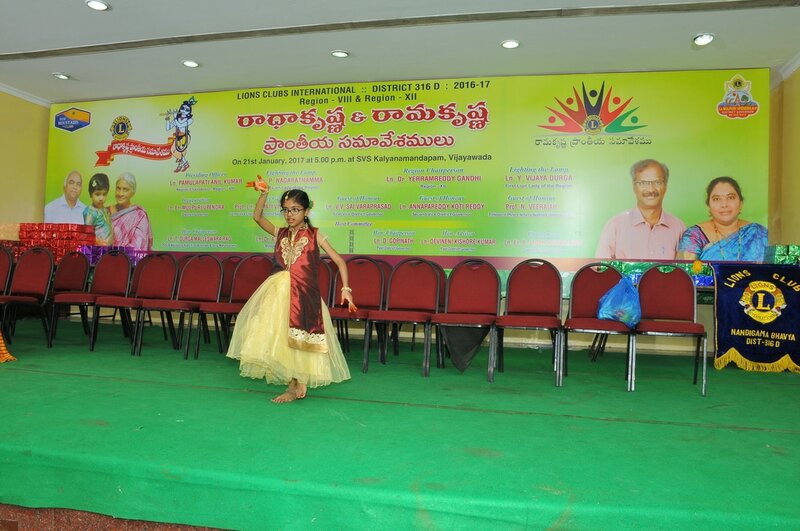 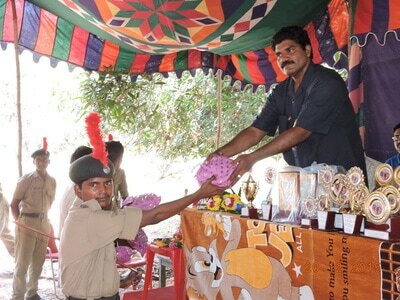 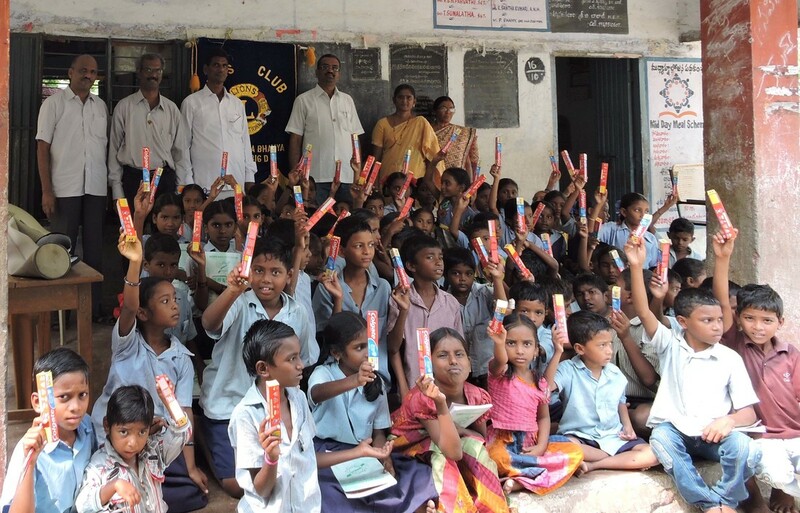 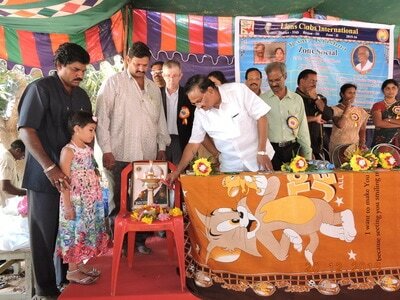 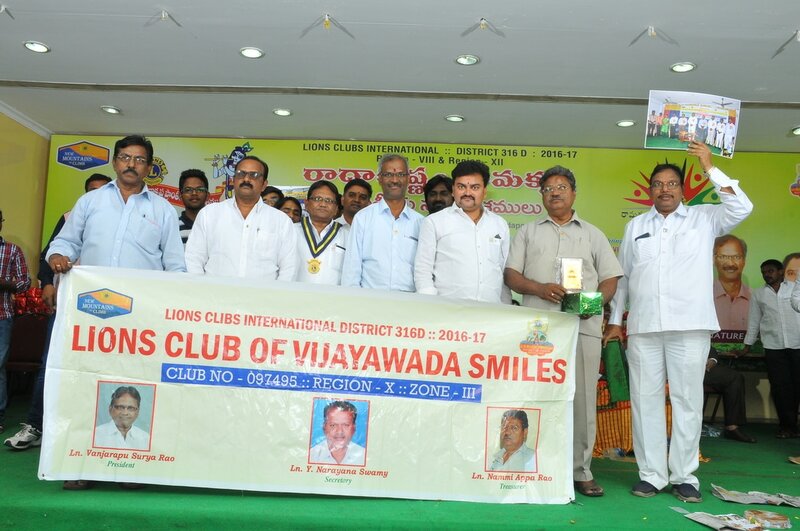 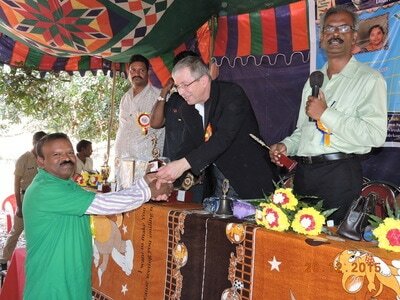 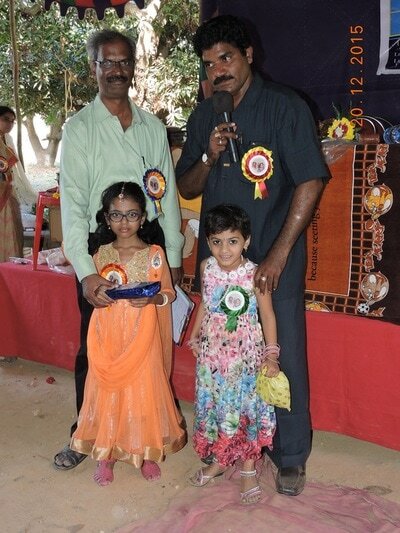 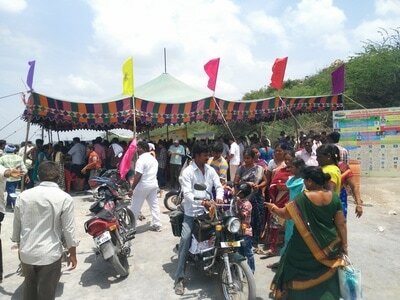 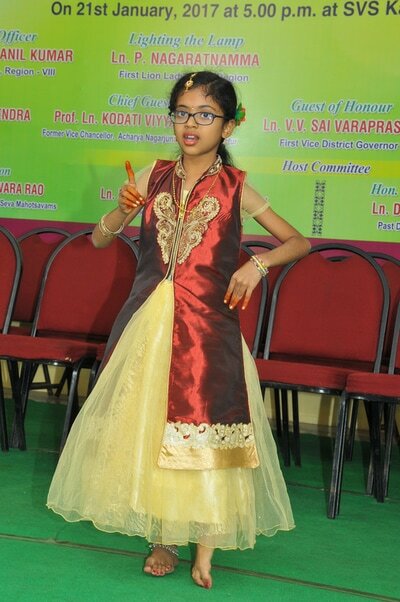 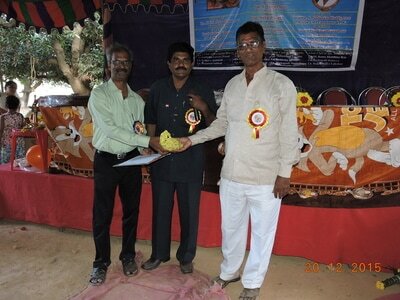 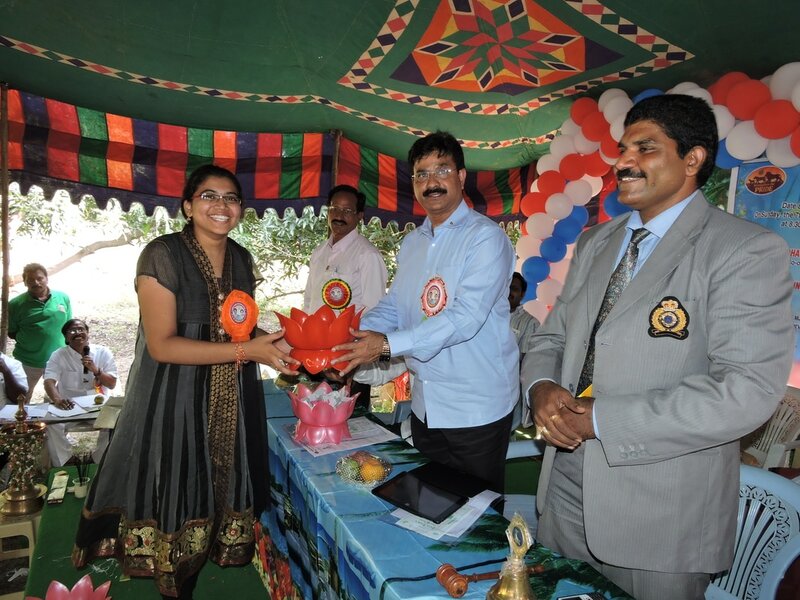 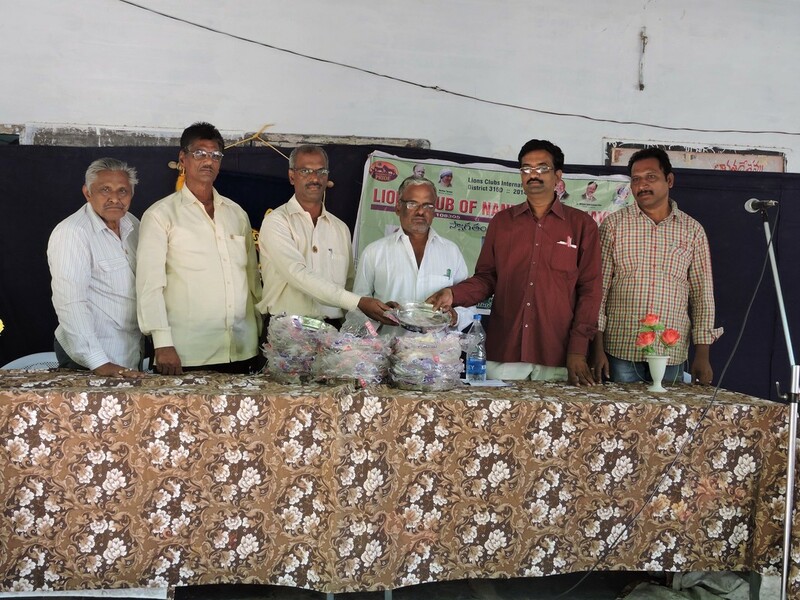 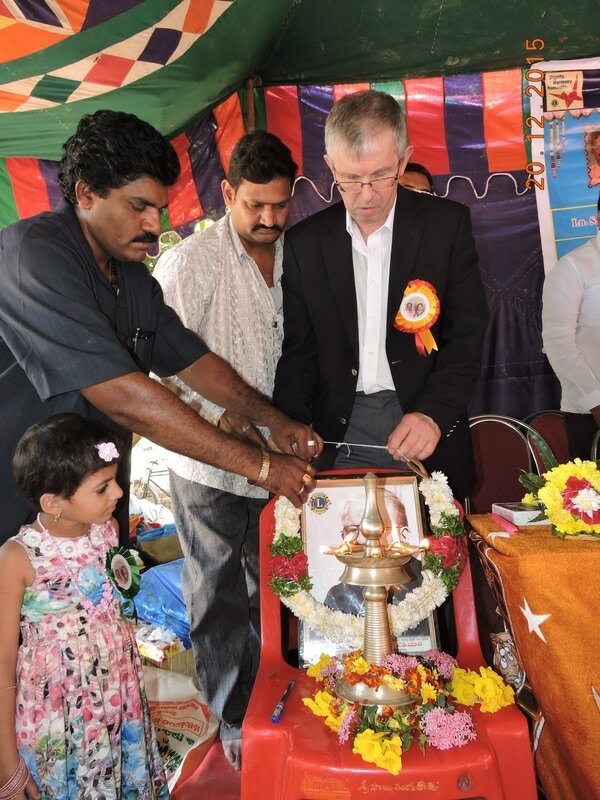 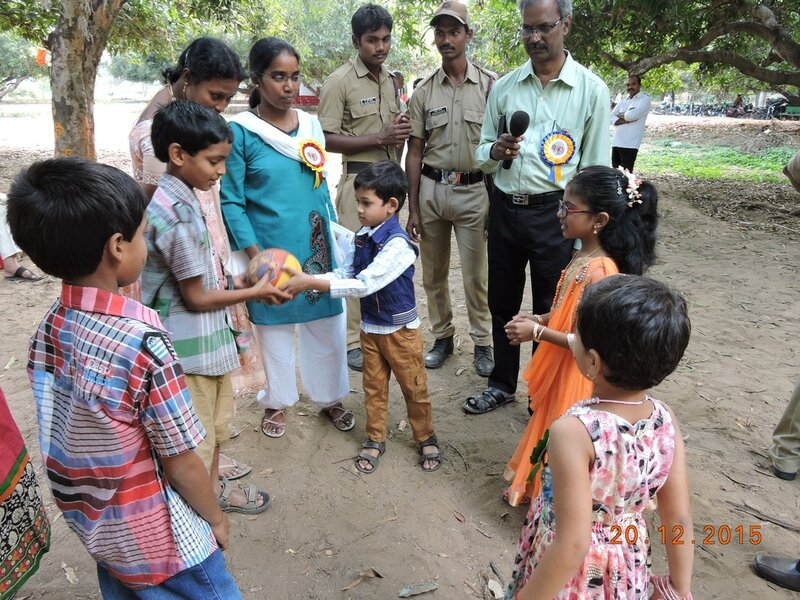 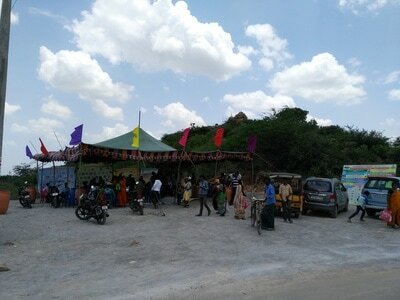 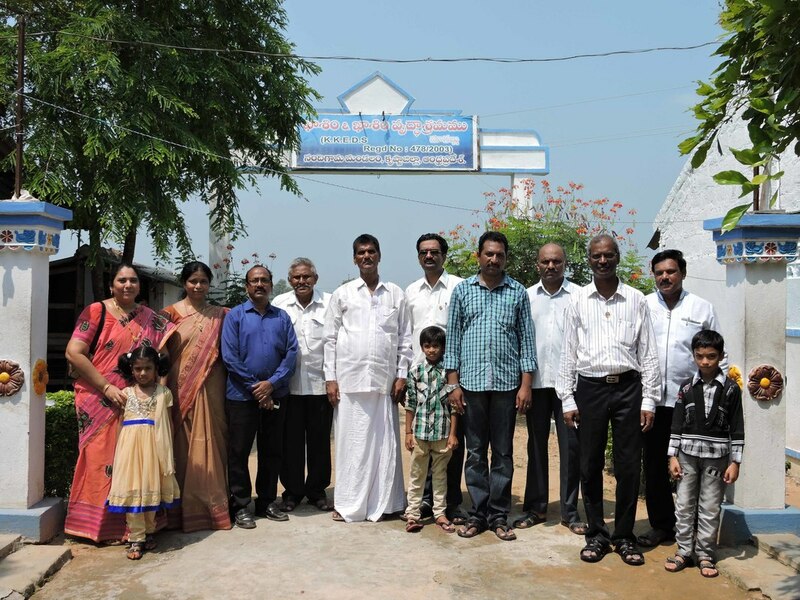 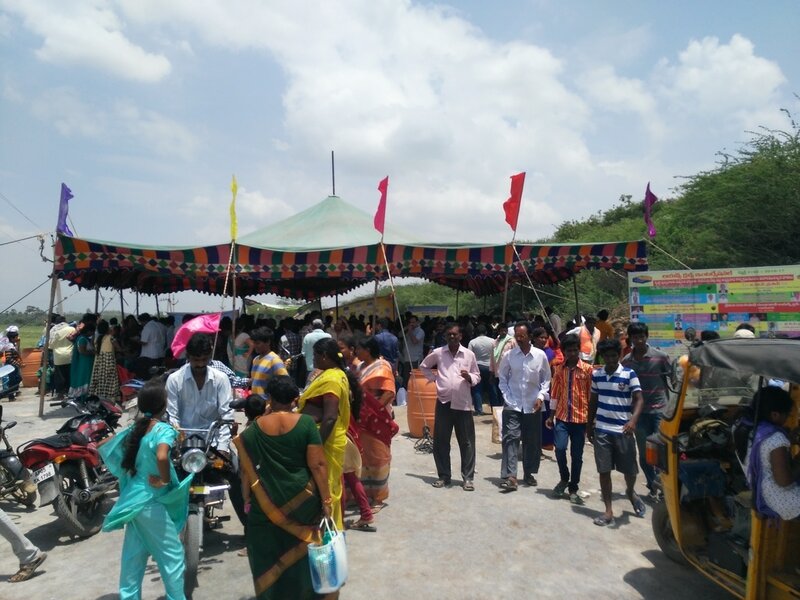 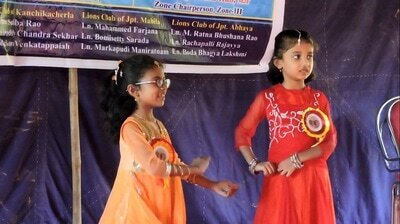 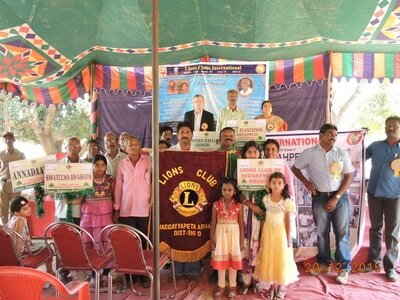 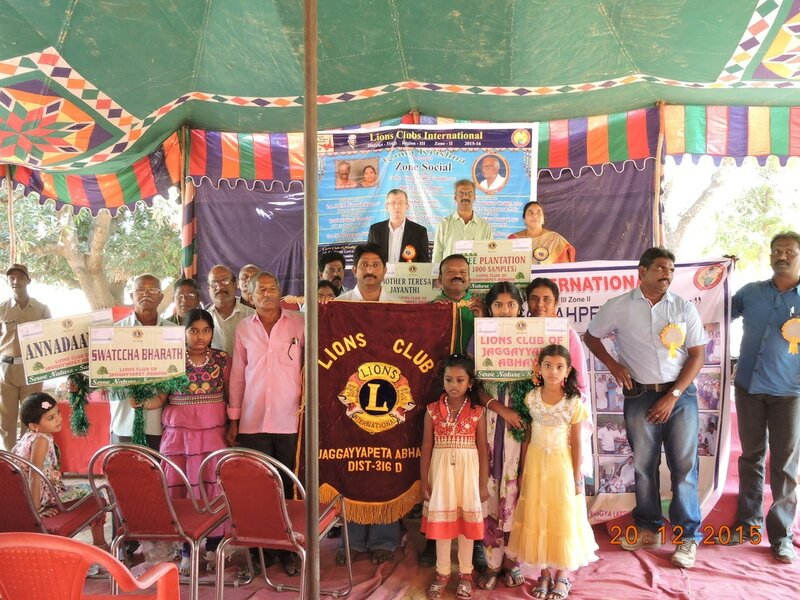 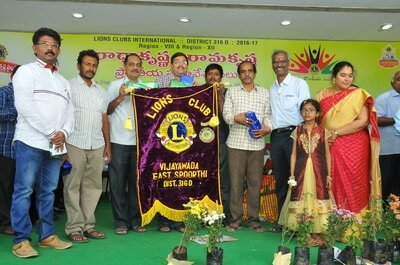 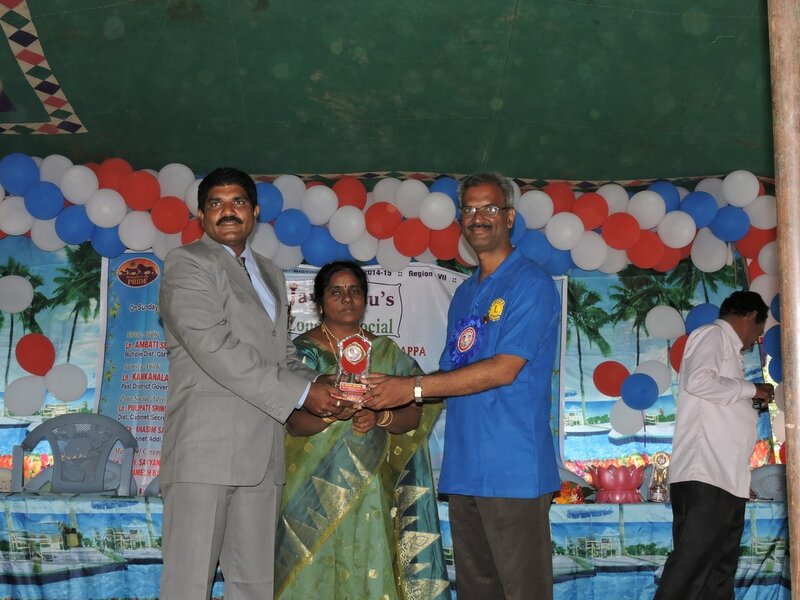 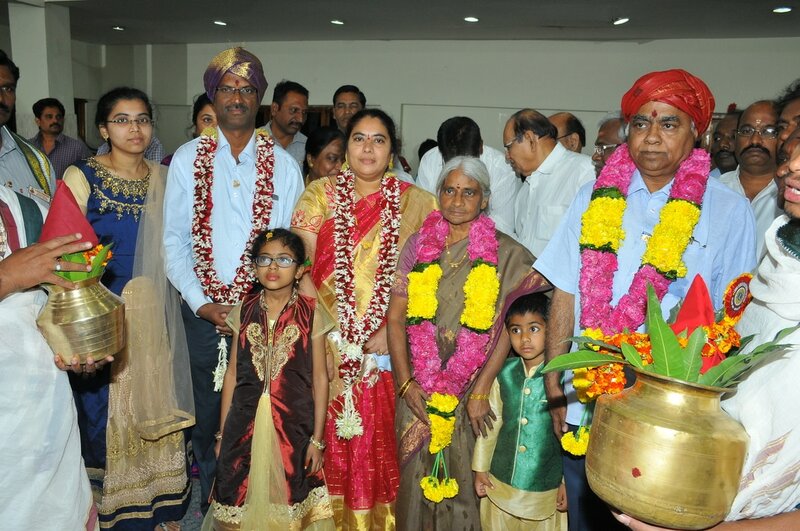 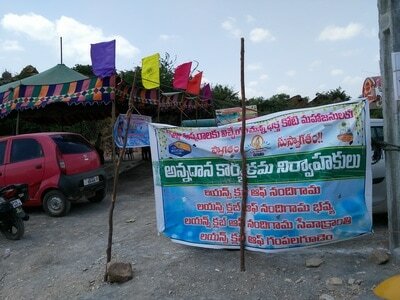 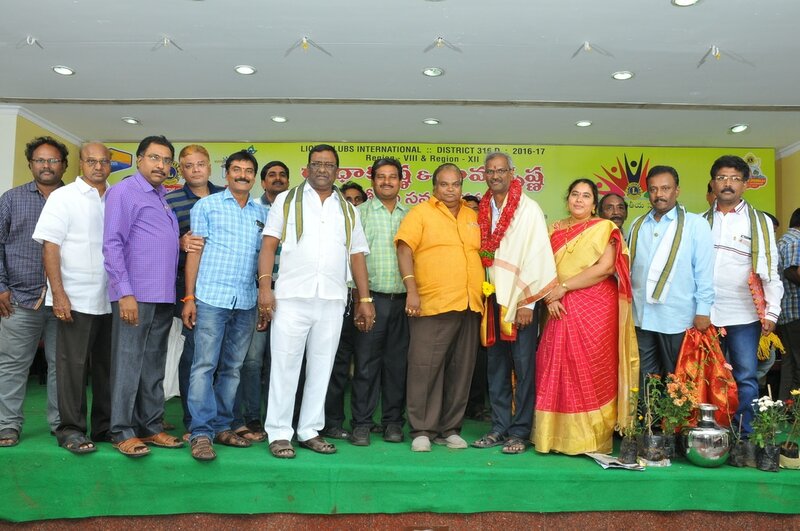 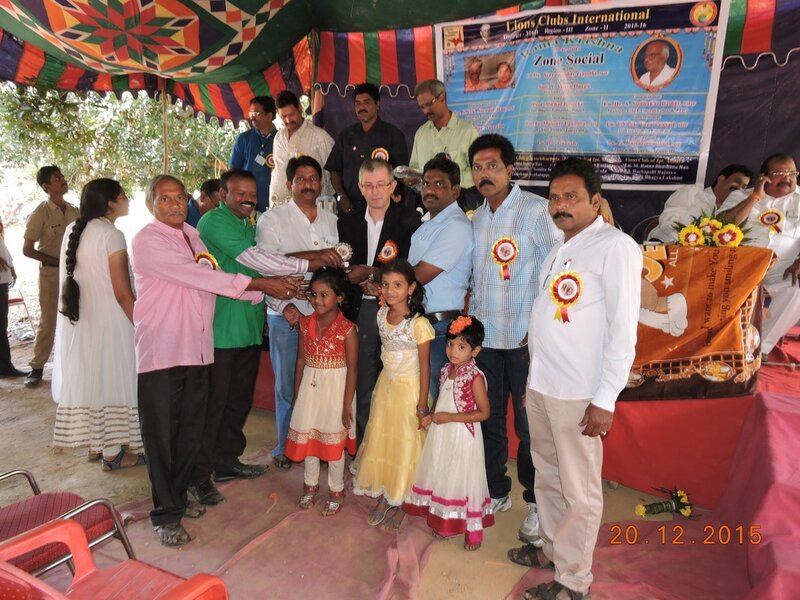 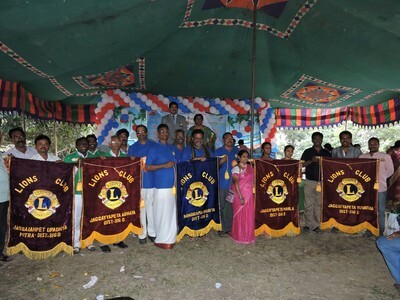 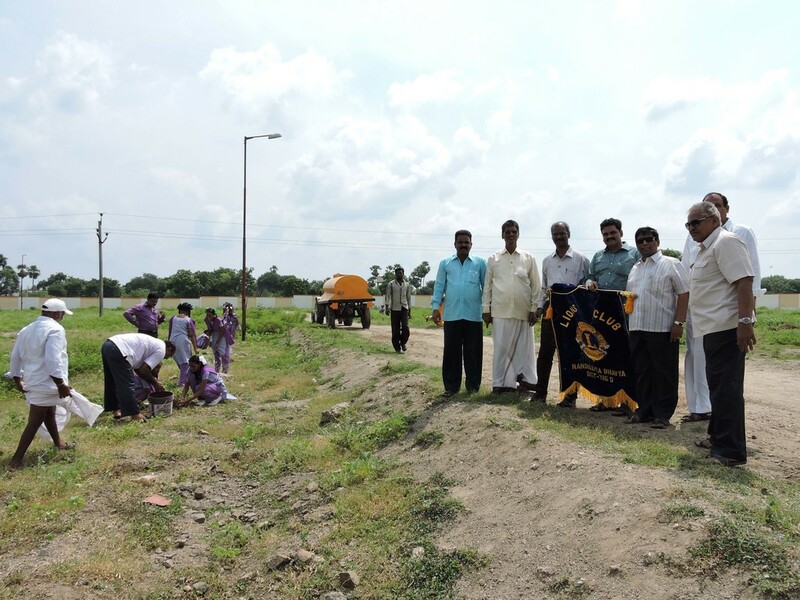 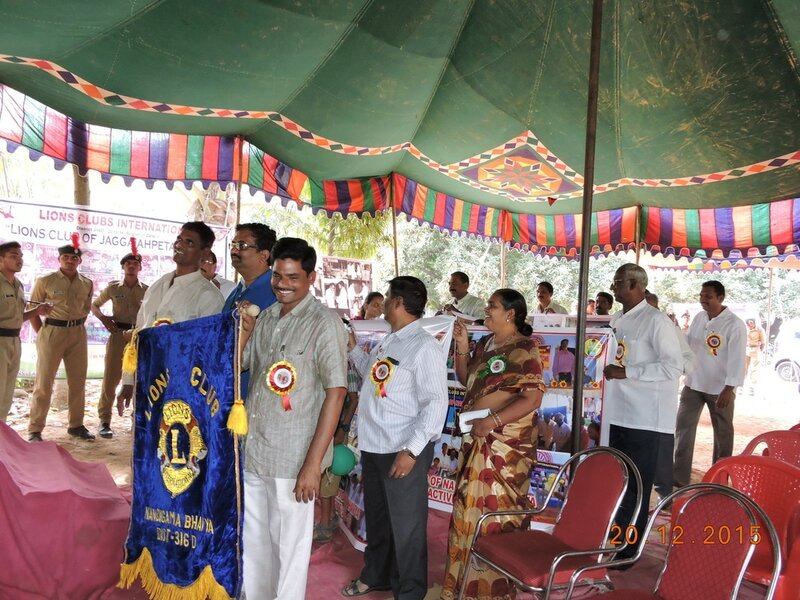 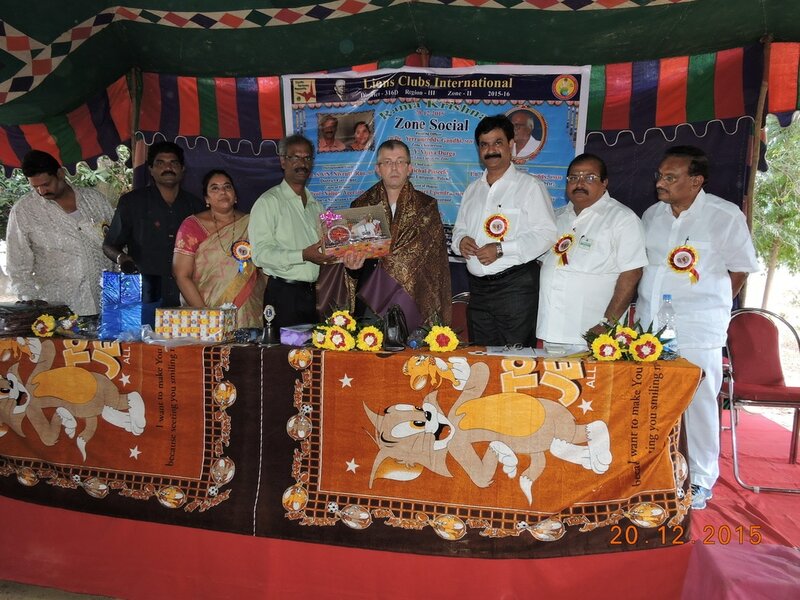 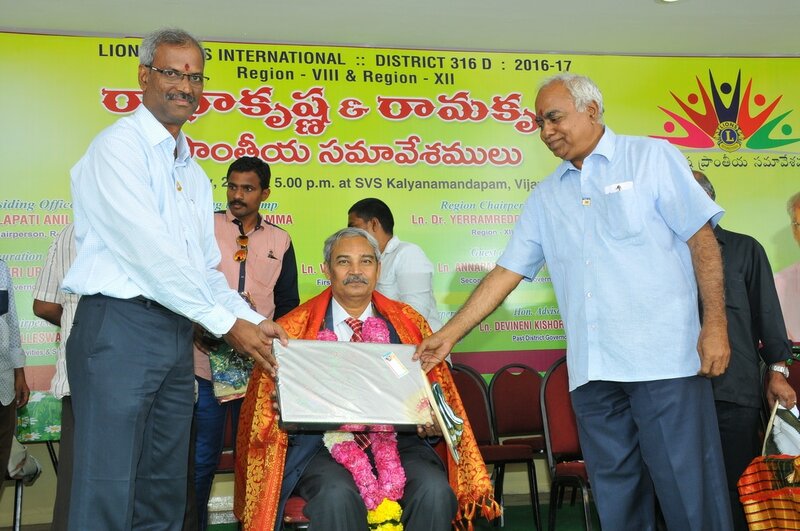 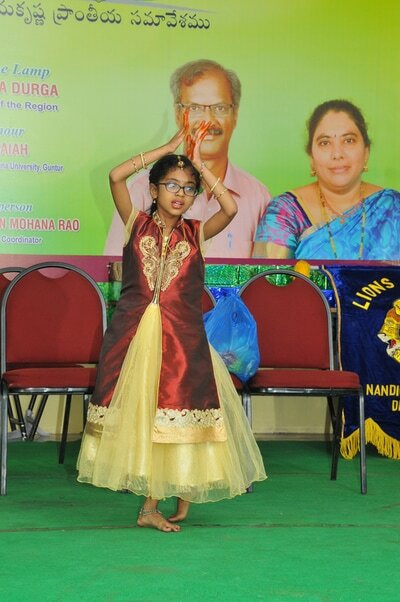 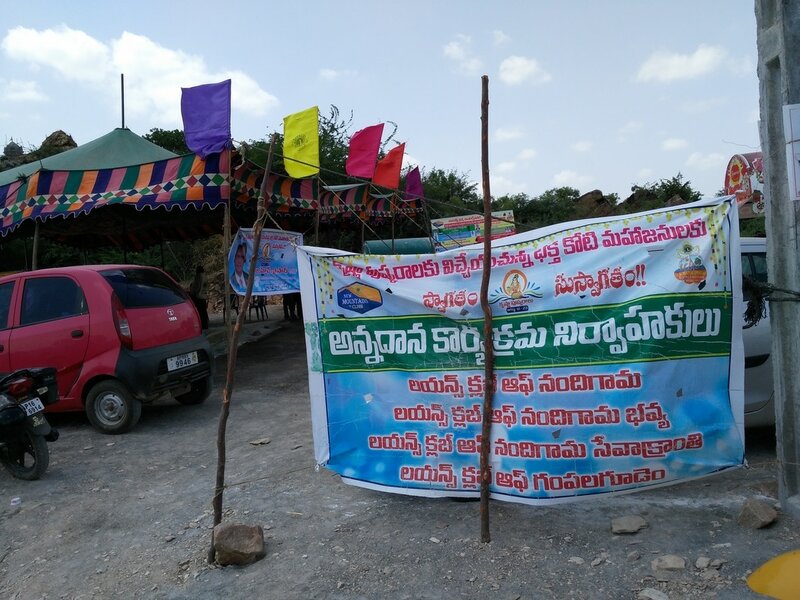 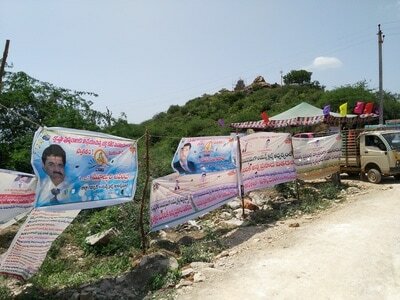 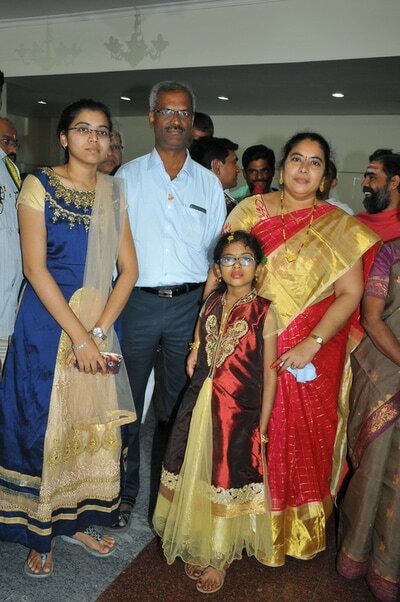 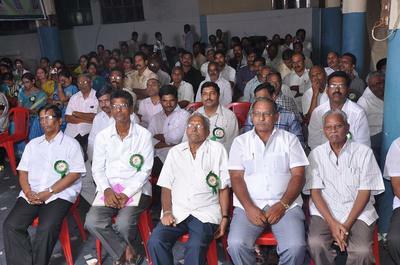 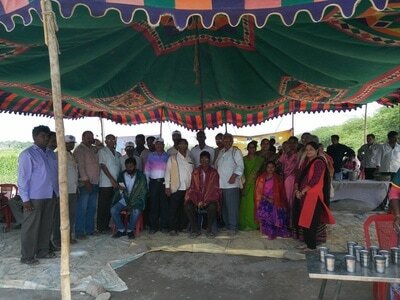 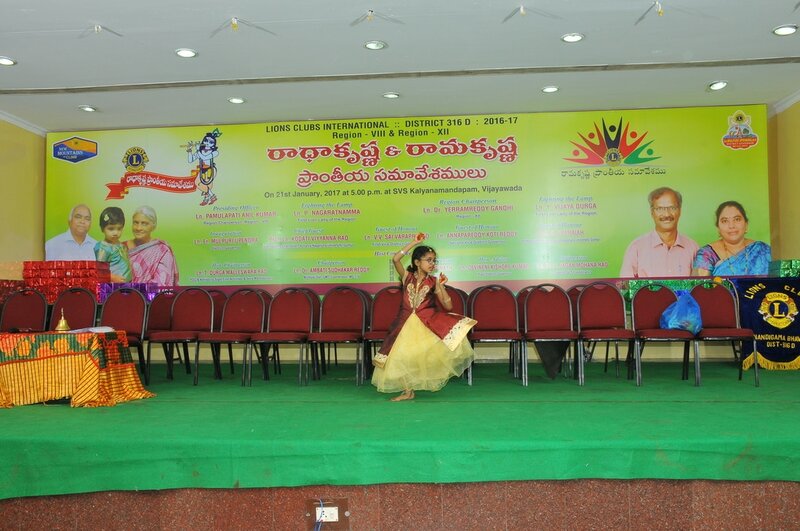 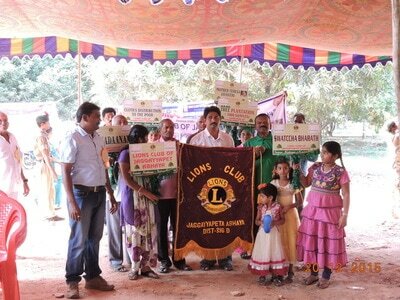 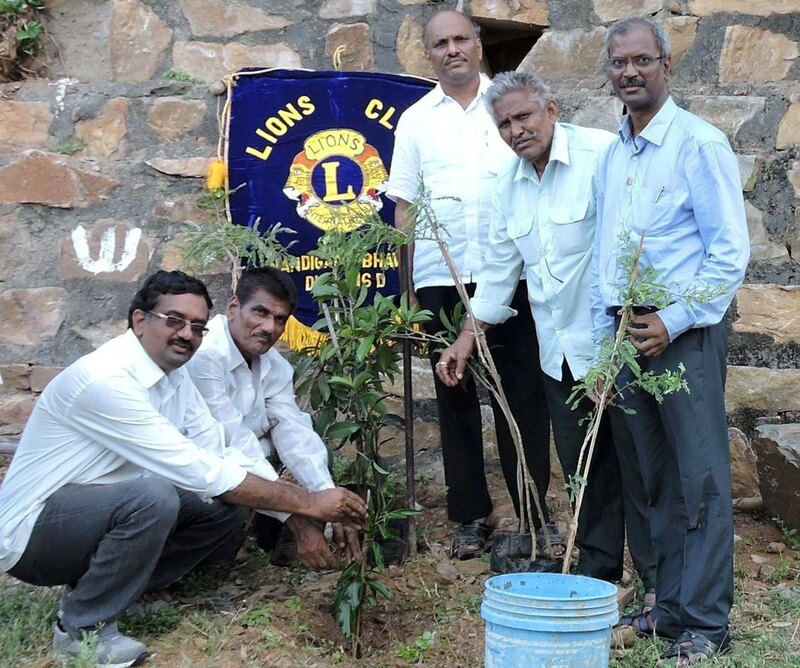 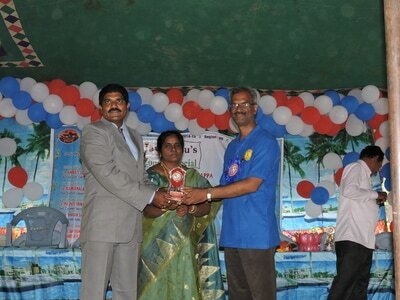 In this region there are three zones with nine clubs viz., Lions Club of Nandigama Bhavya, Lions Club of Kondapalli, Lions Club of Gampalagudem, Lions Club of Vijayawada East, Lions Club of Vidya Gold, Lions Club of Smiles, Lions Club of Vijayawada North, Lions Club of East Spoorthi, Lions Club of Madhura Nagar Excellance. 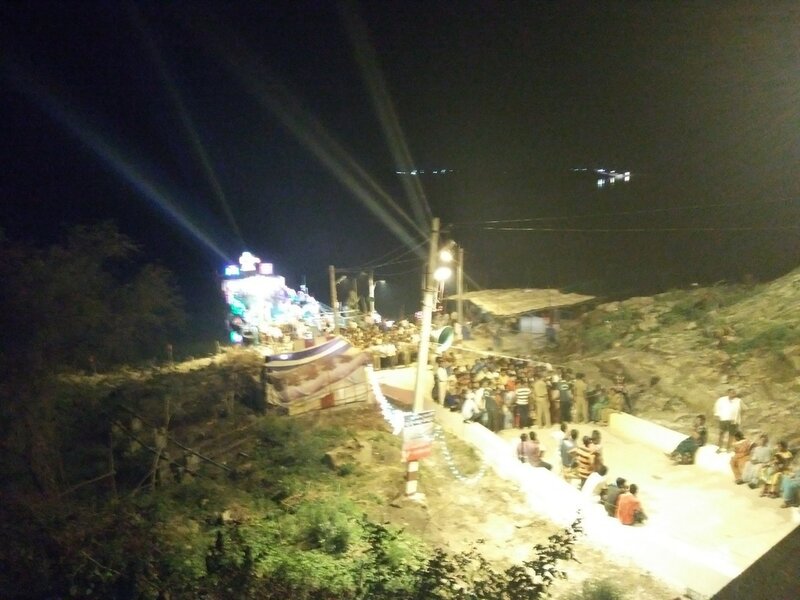 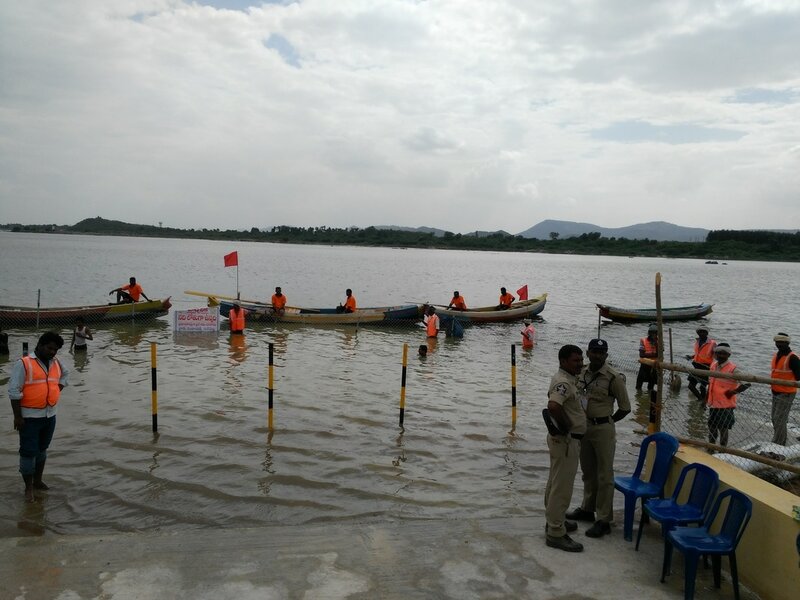 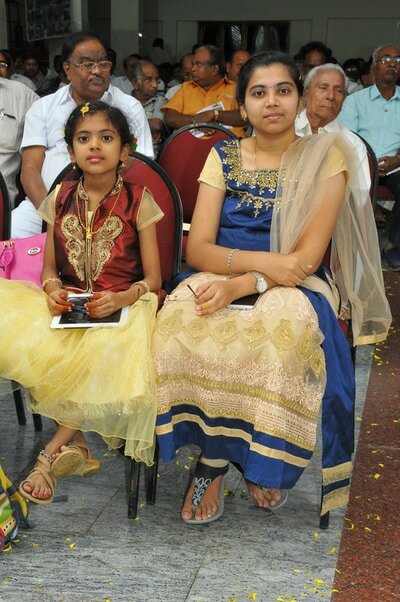 Krishna Pushkaralu held from 12th to 23rd August 2016. 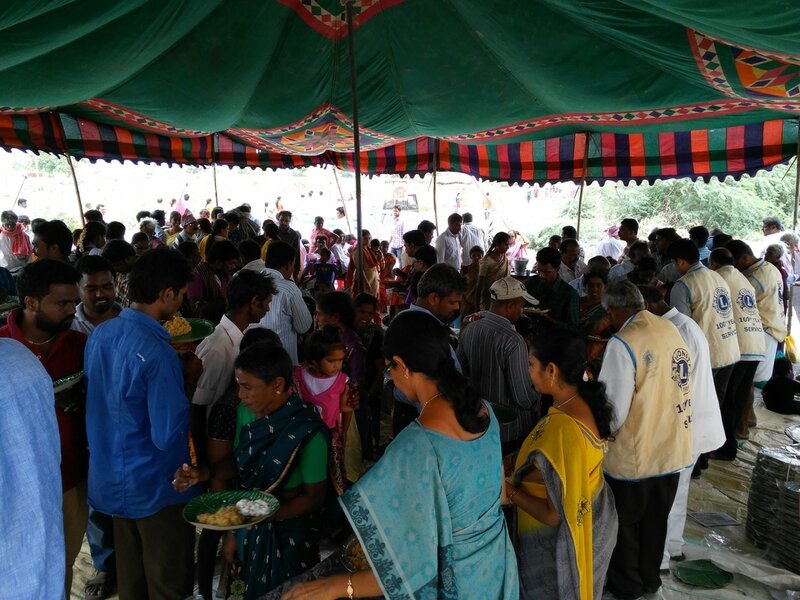 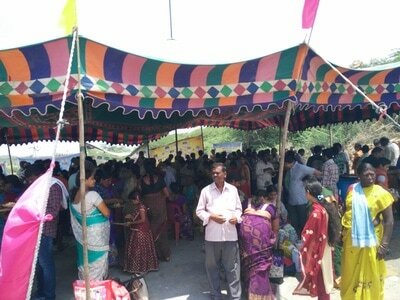 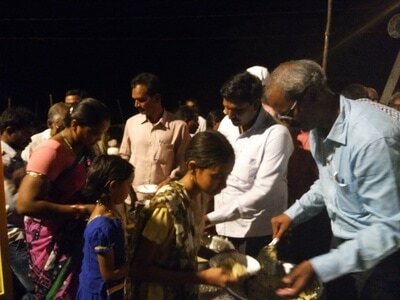 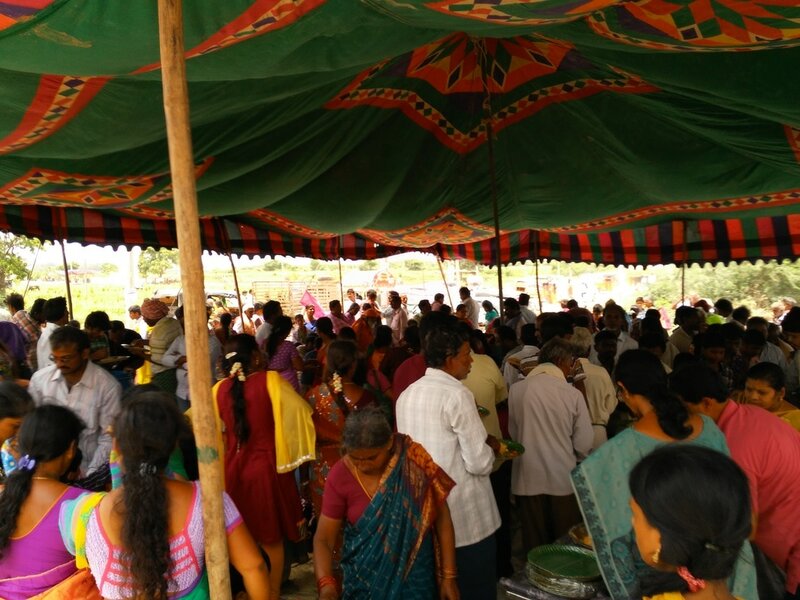 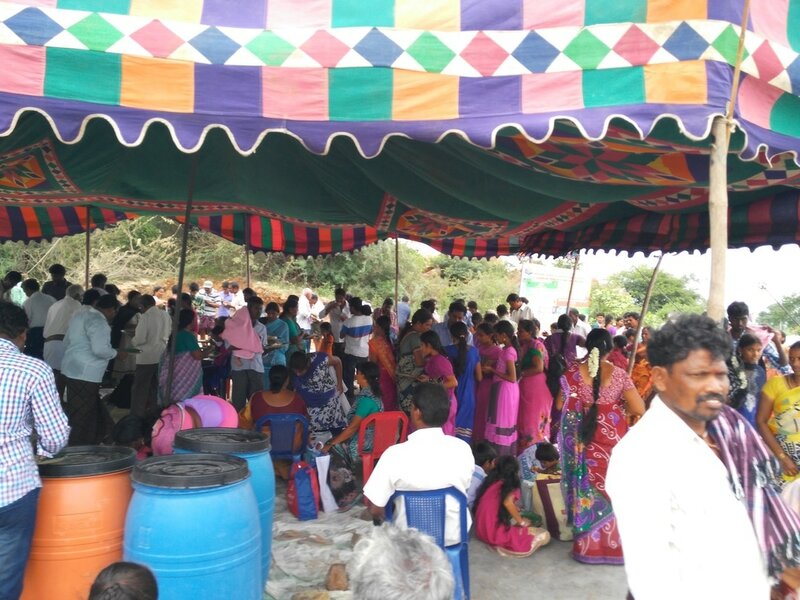 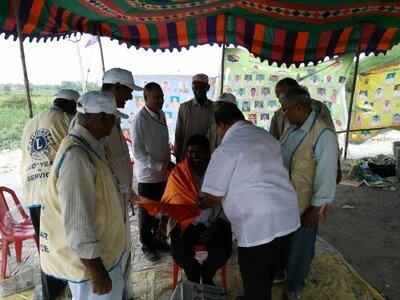 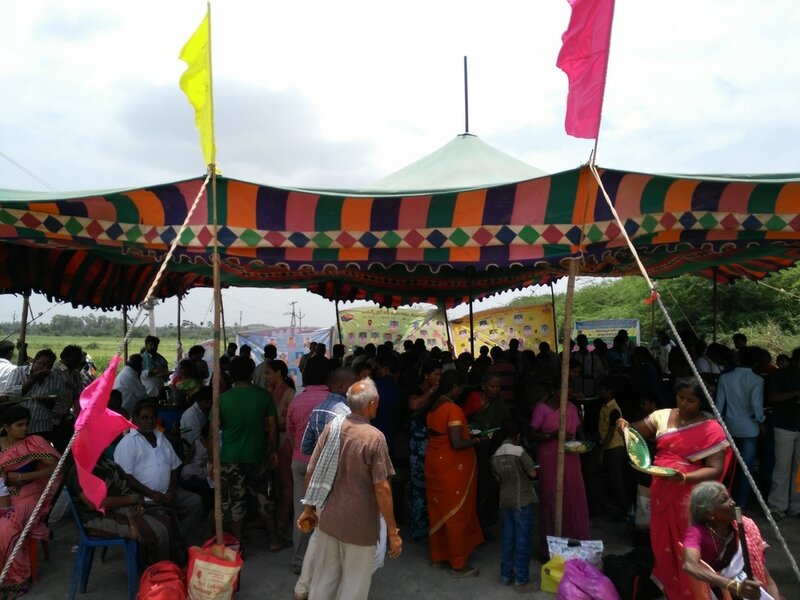 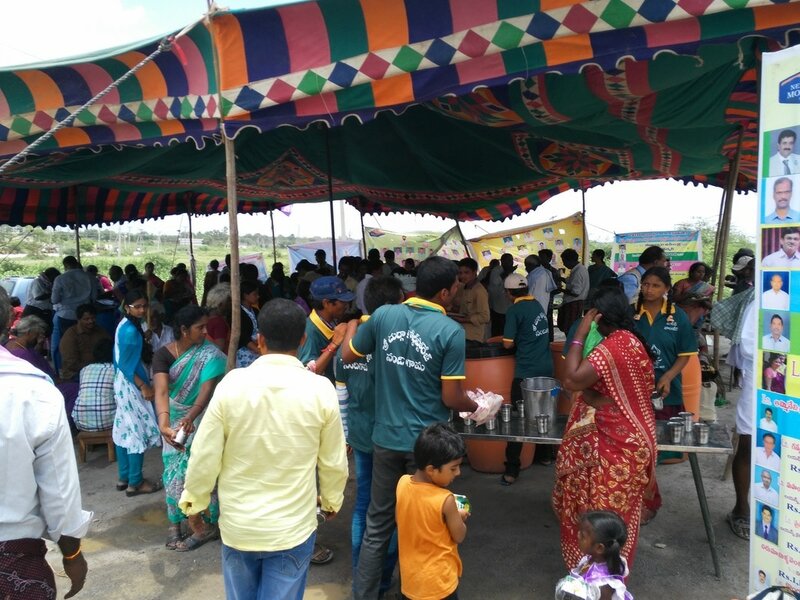 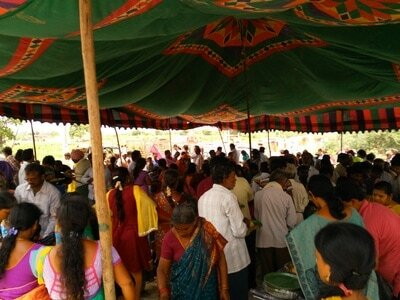 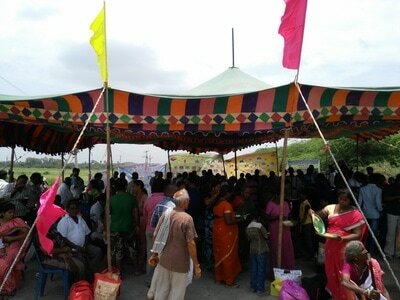 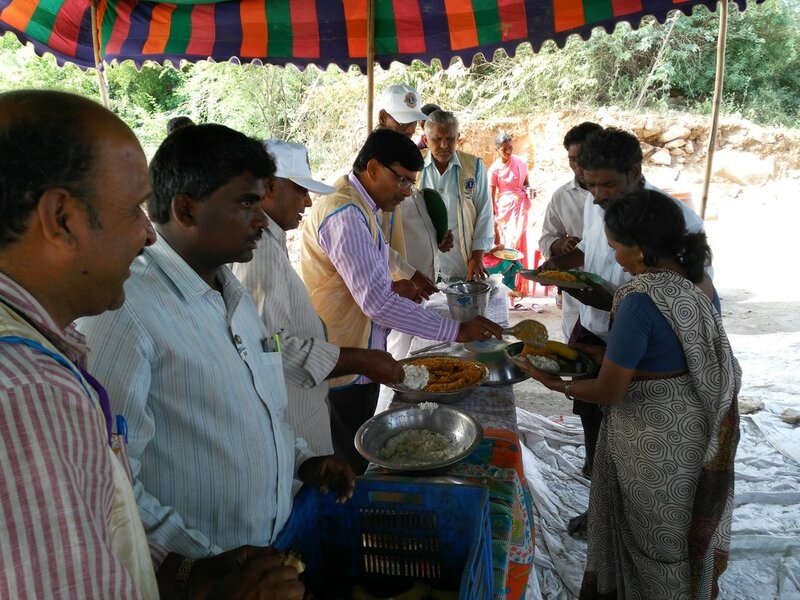 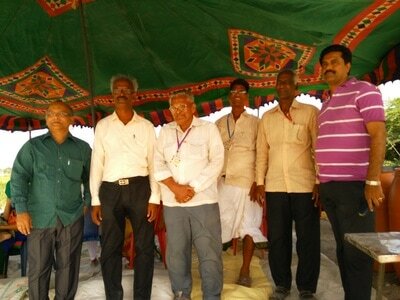 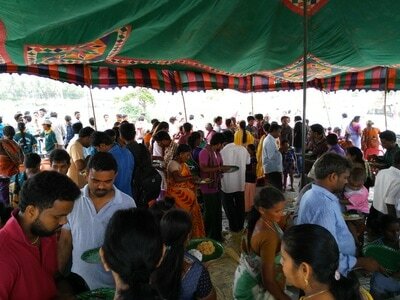 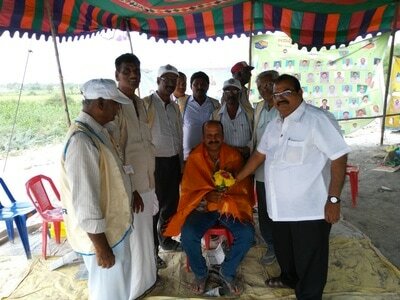 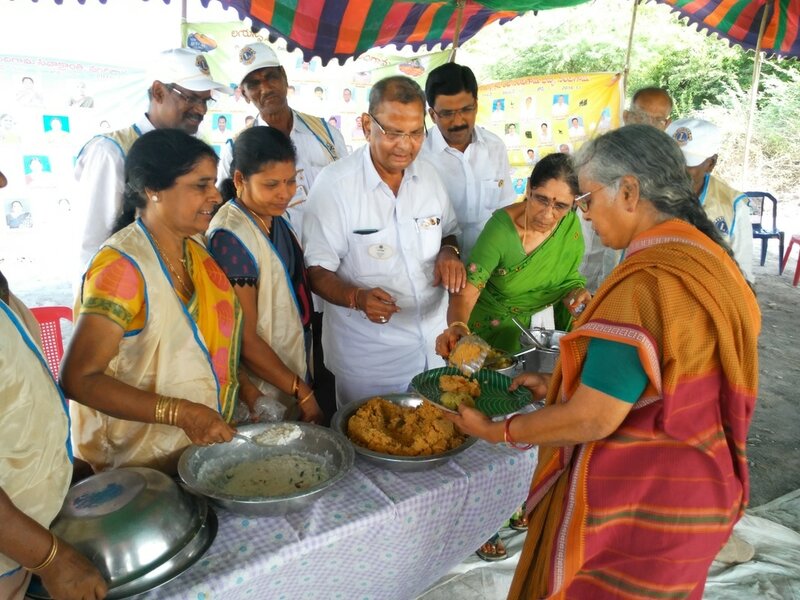 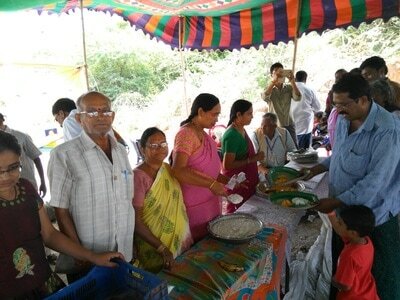 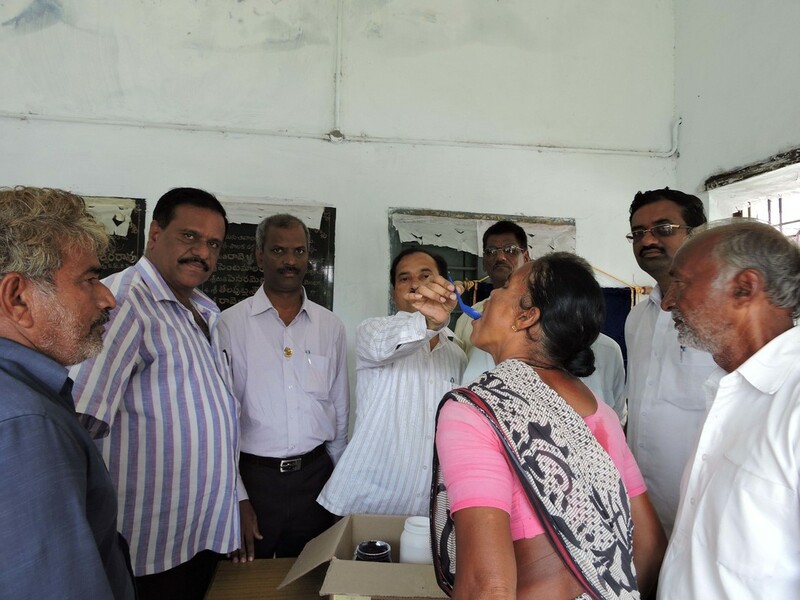 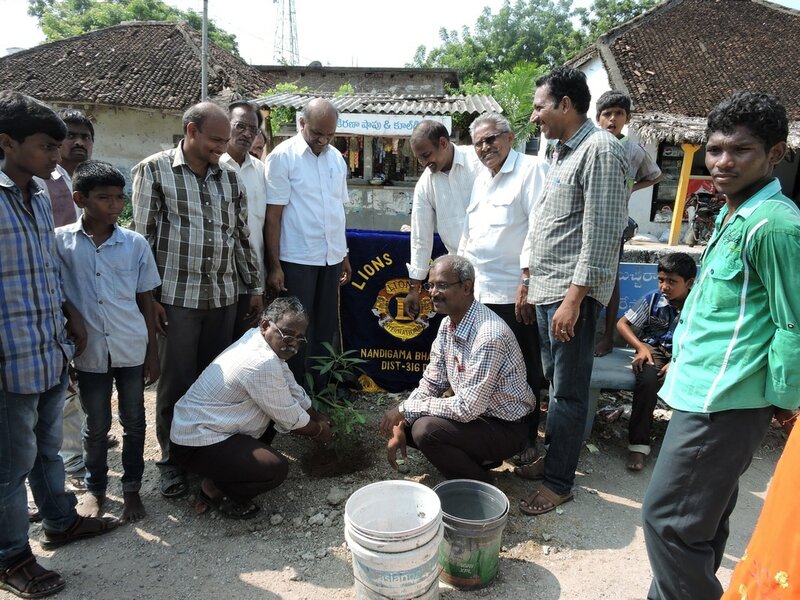 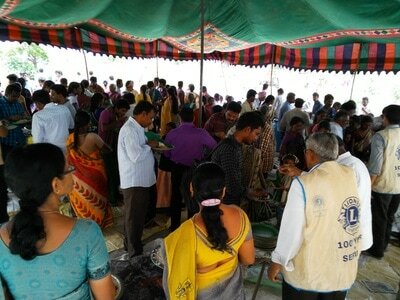 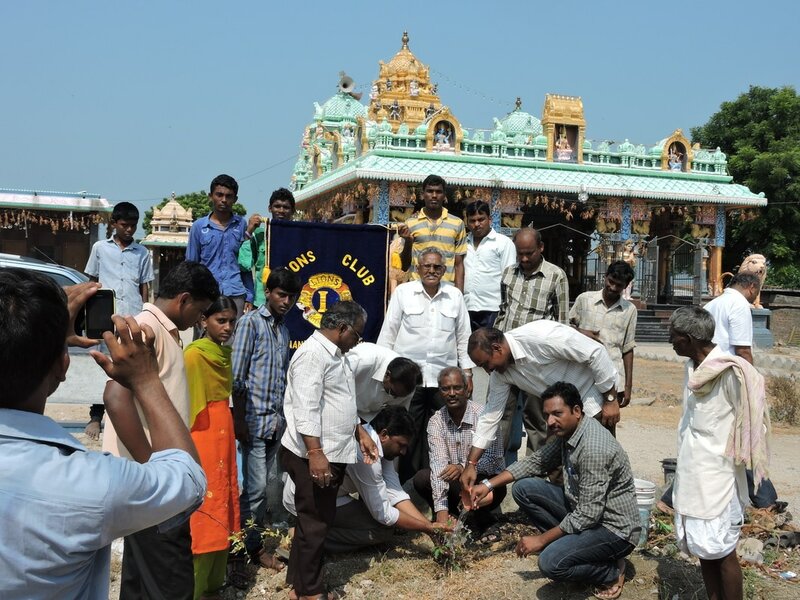 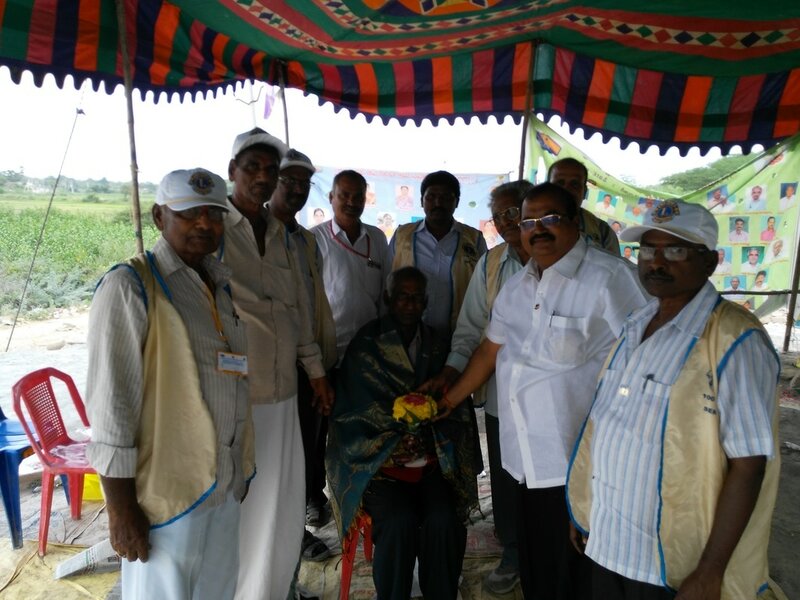 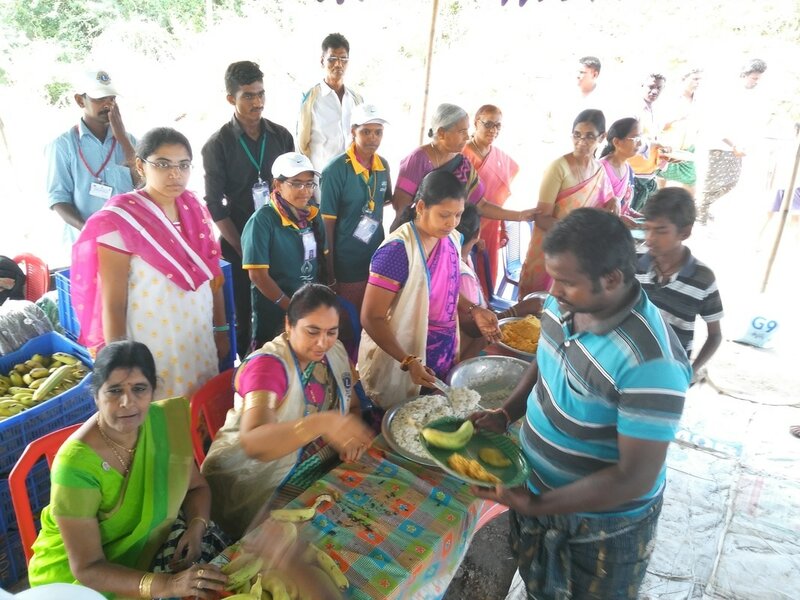 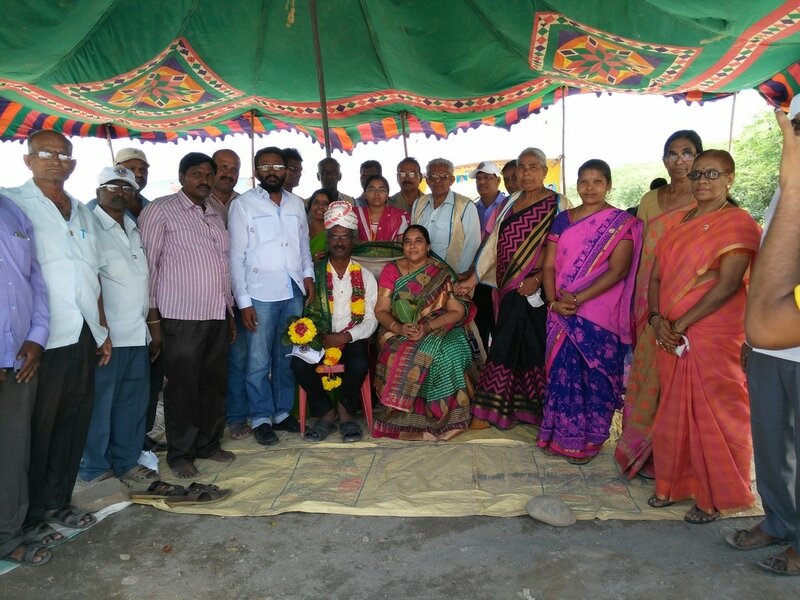 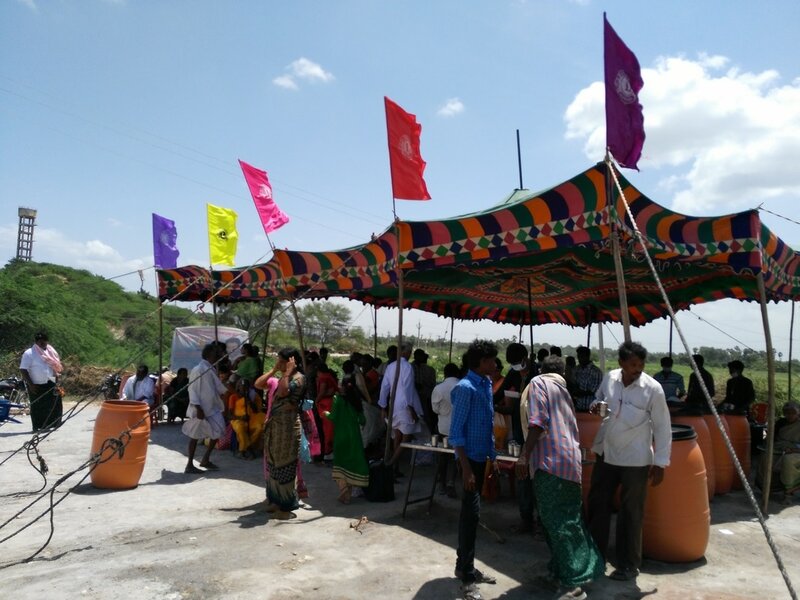 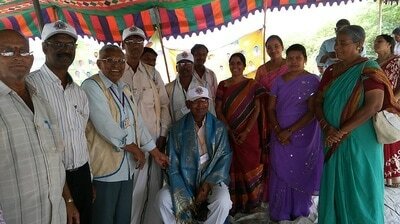 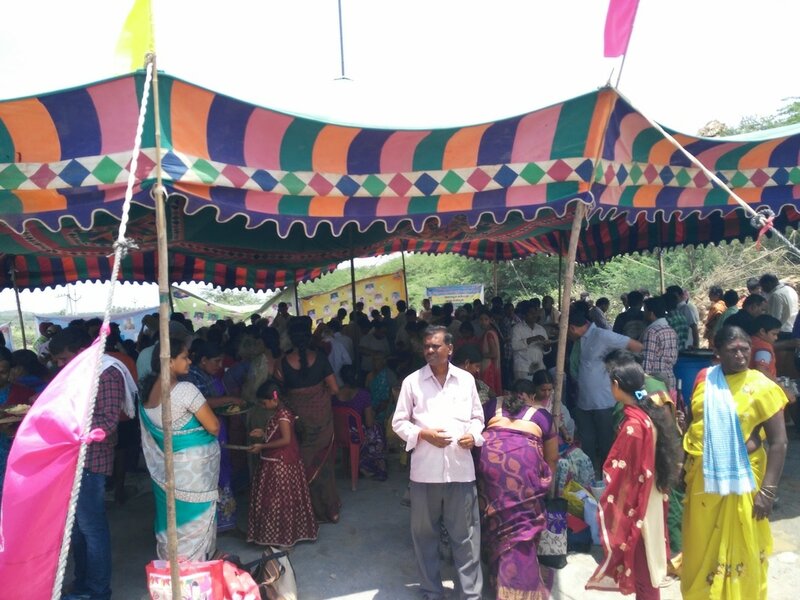 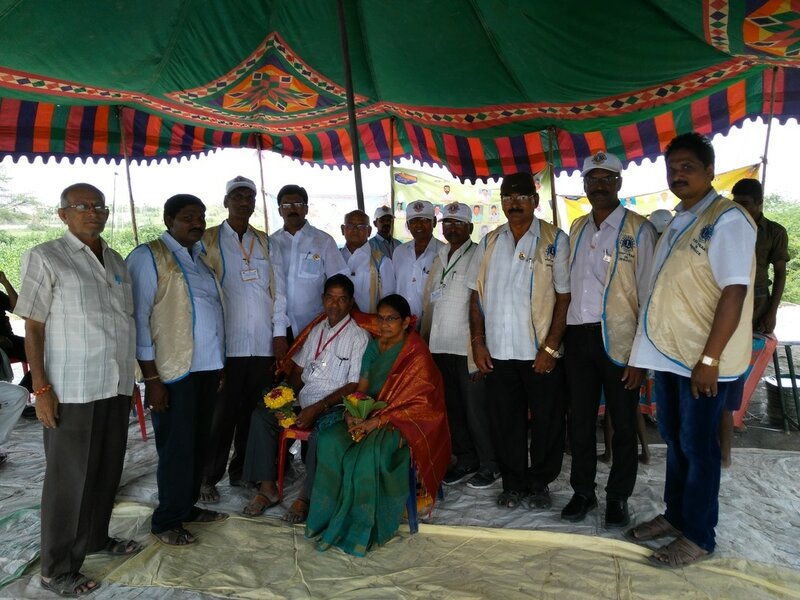 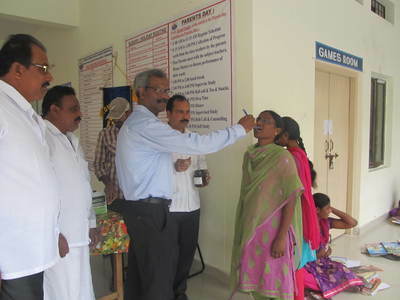 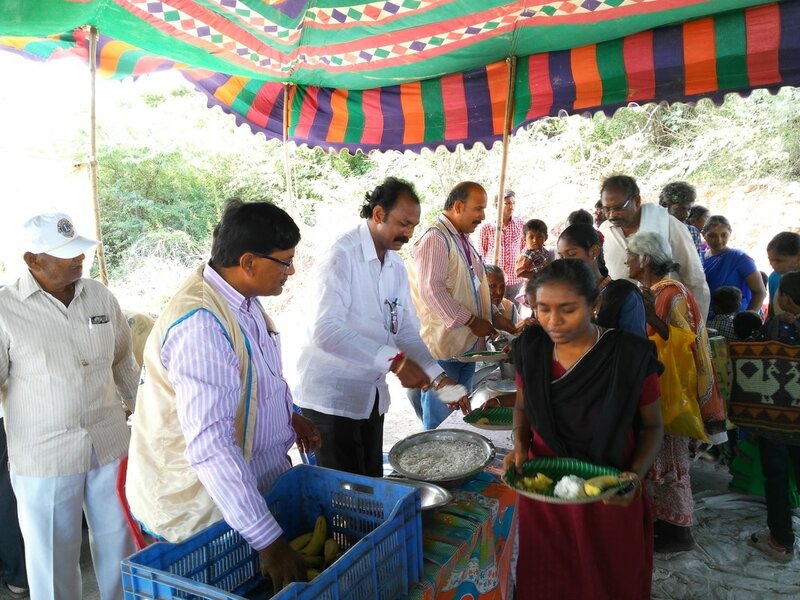 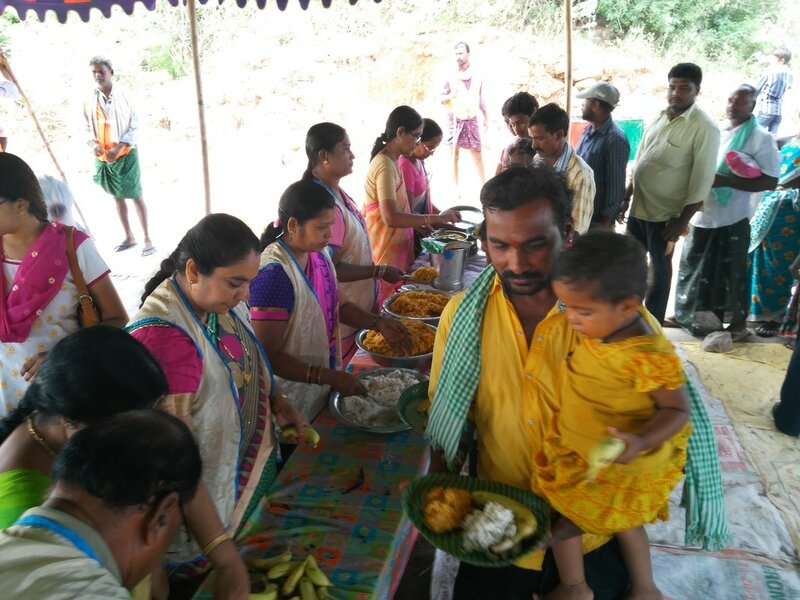 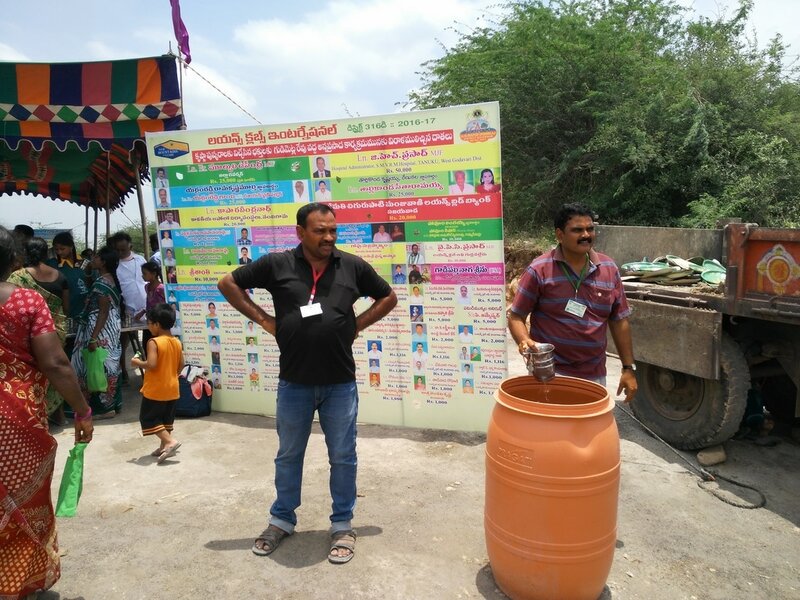 During this period Lions Clubs International District 316D served food to pilgrims at about 20 ghats in Krishna district. 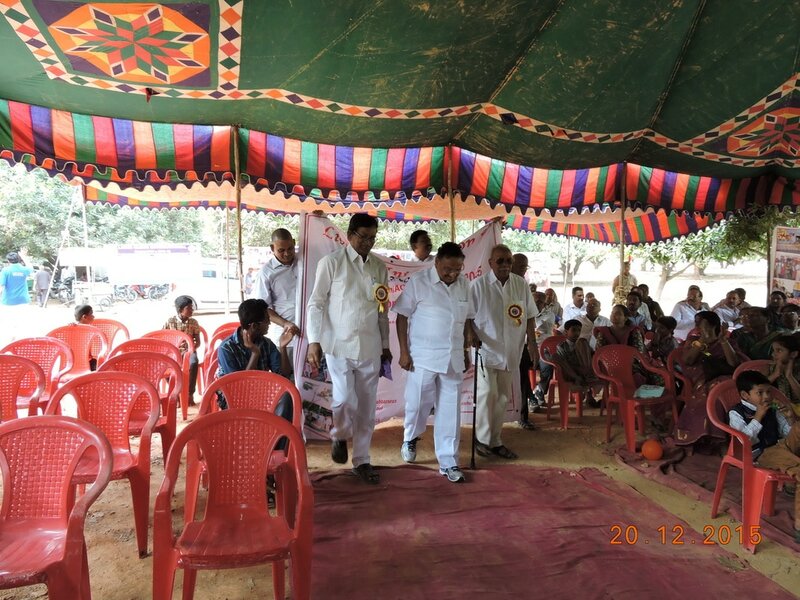 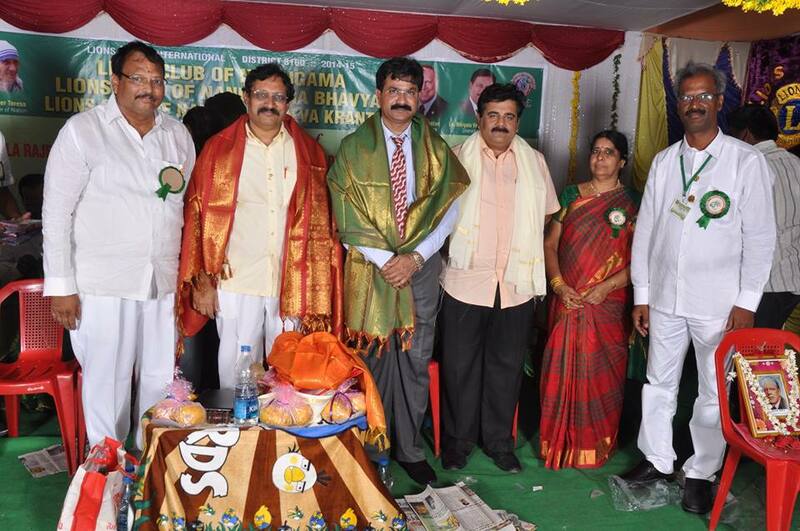 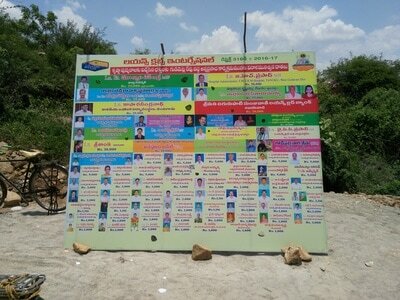 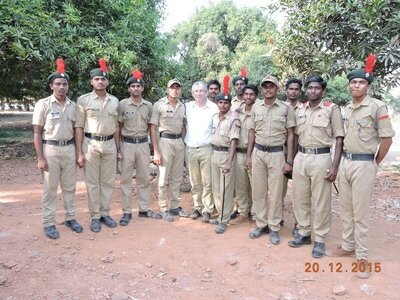 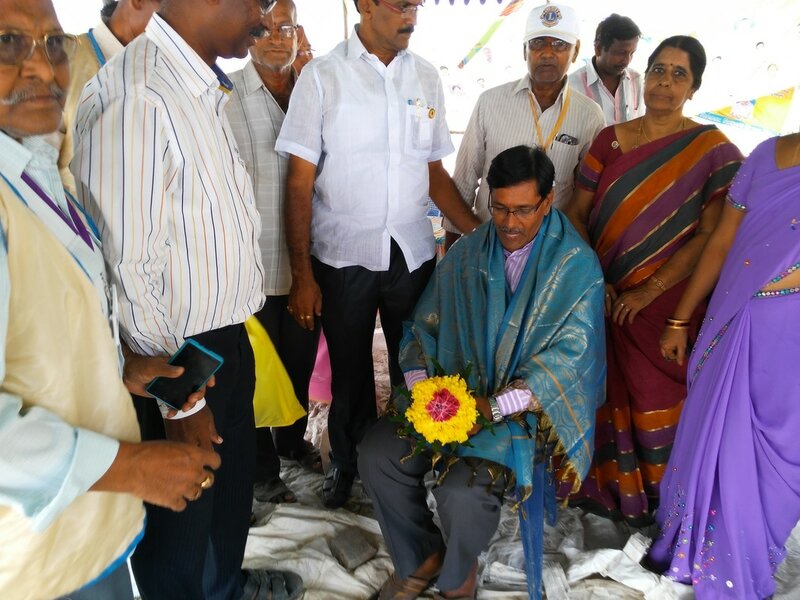 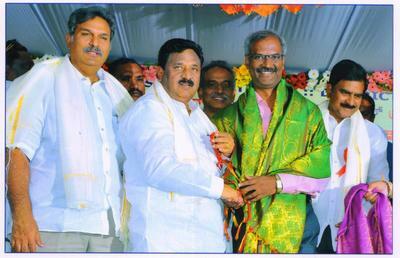 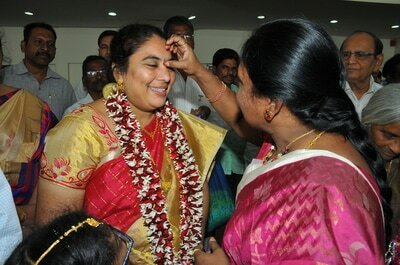 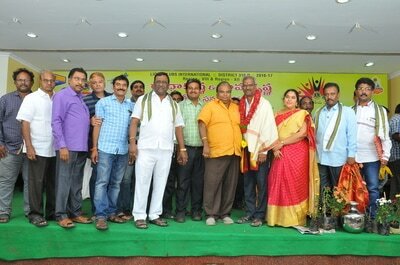 Being a Region Chairperson I was given in-charge for Ramannapet Ghat near Nandigama. 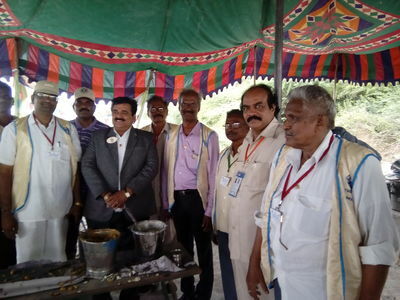 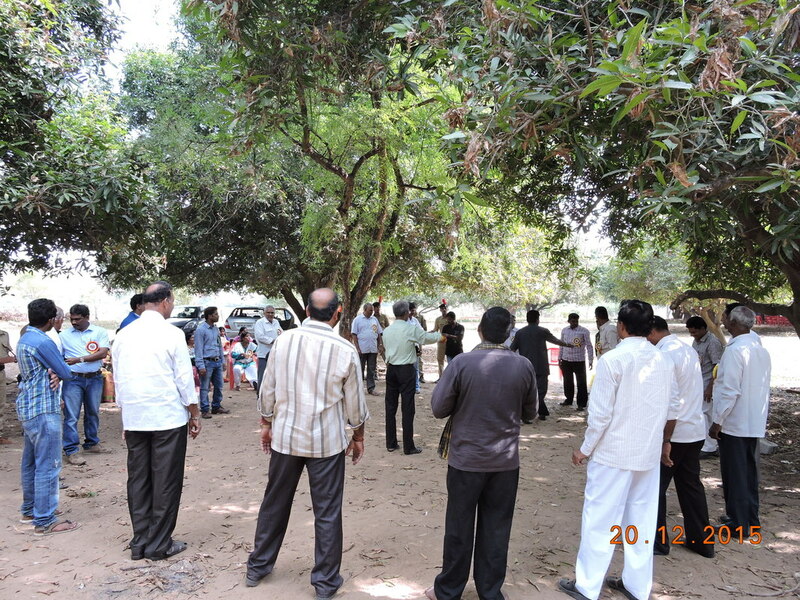 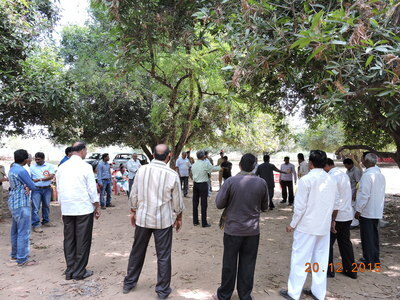 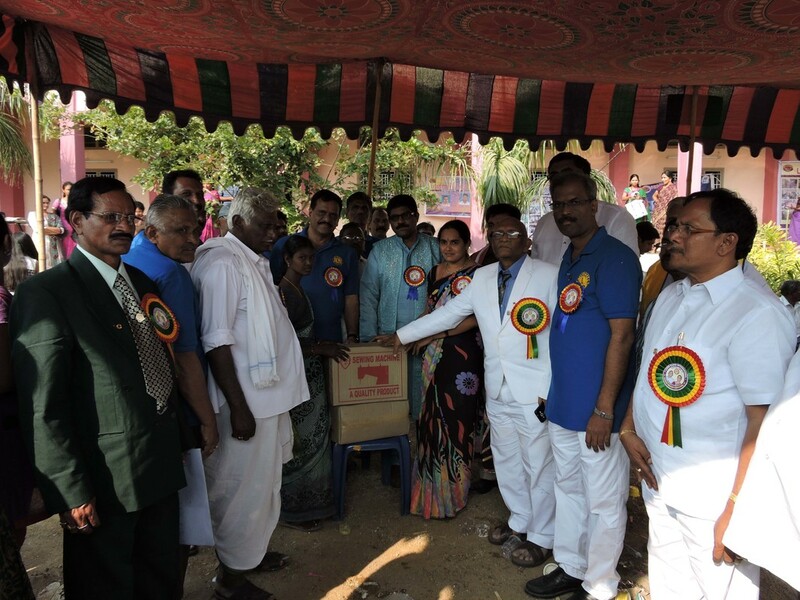 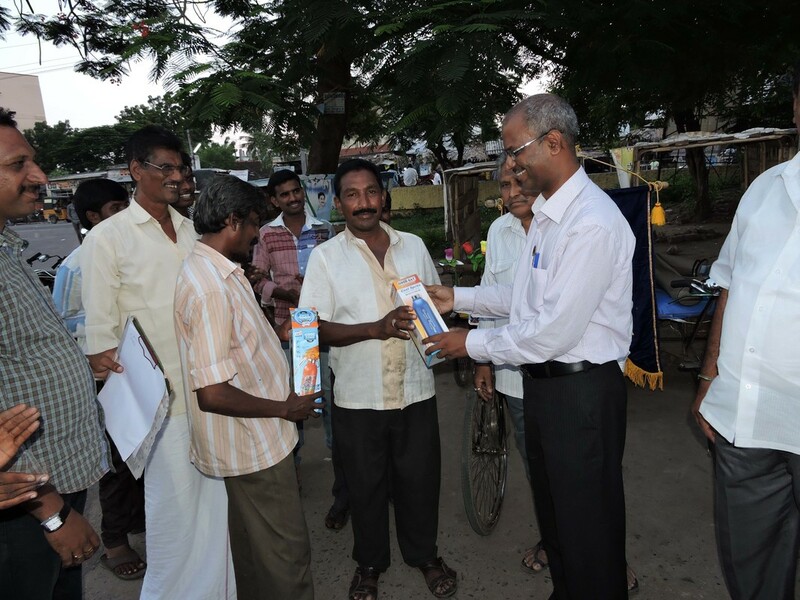 Our local clubs extended their fullest cooperation towards contribution, service during these twelve days and food distributed to the pilgrims from 8 a.m. to 4 p.m. Some of my friends and philanthropists have also contributed for this purpose, my sincere thanks to all of them.